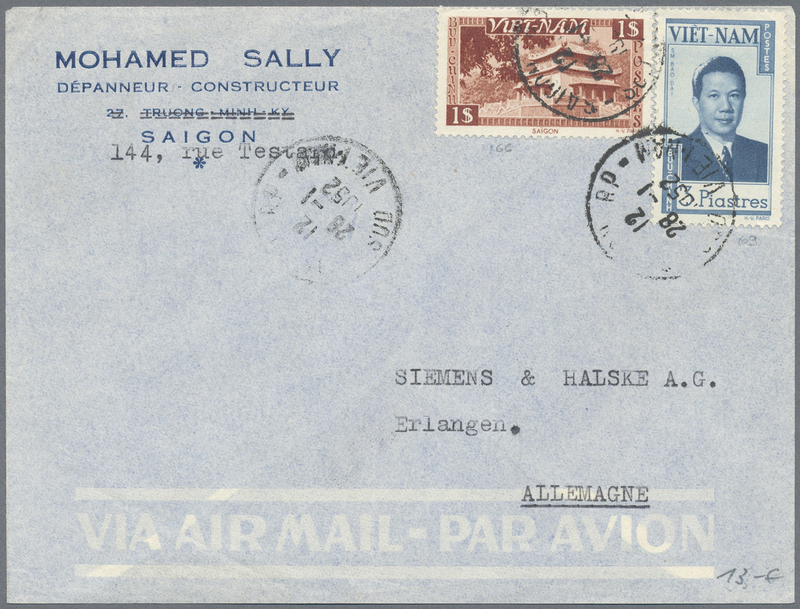 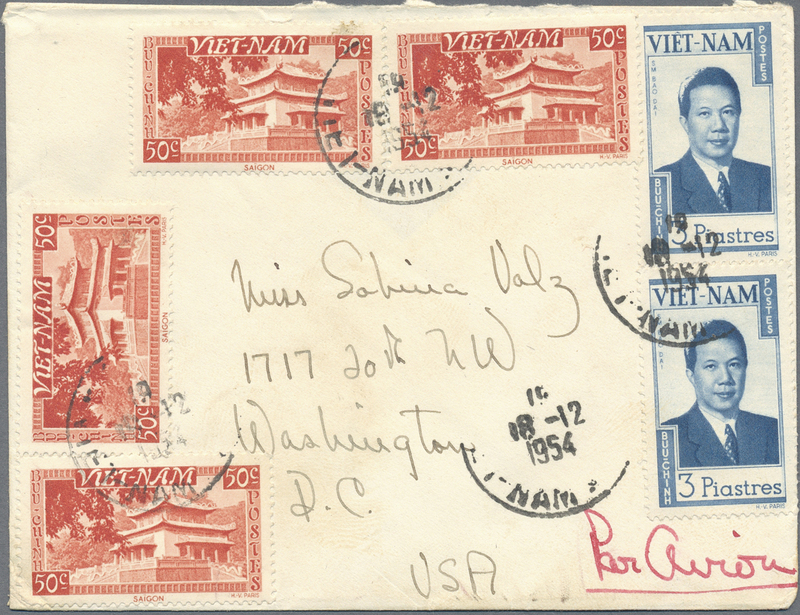 38245 Brief (cover) 1952/96, 32 covers and 6 labels of South Vietnam, as well as covers after unification, some in mixed condition. 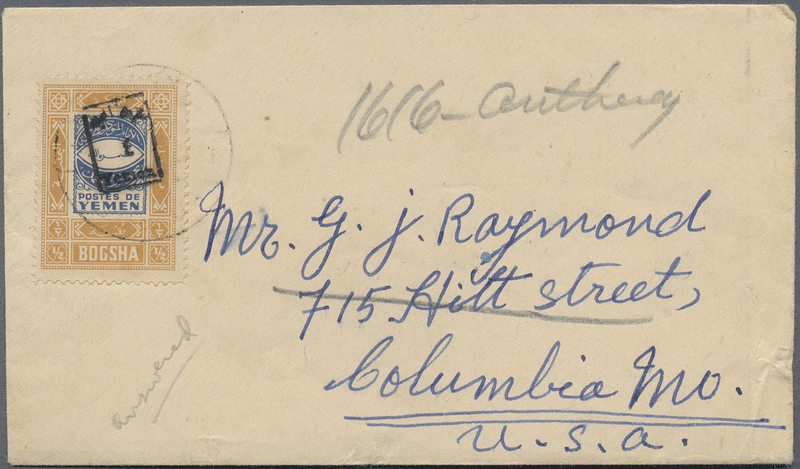 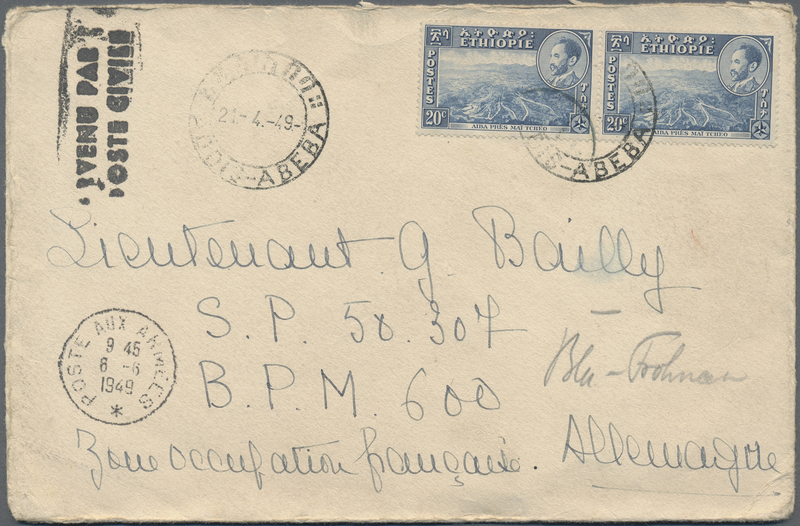 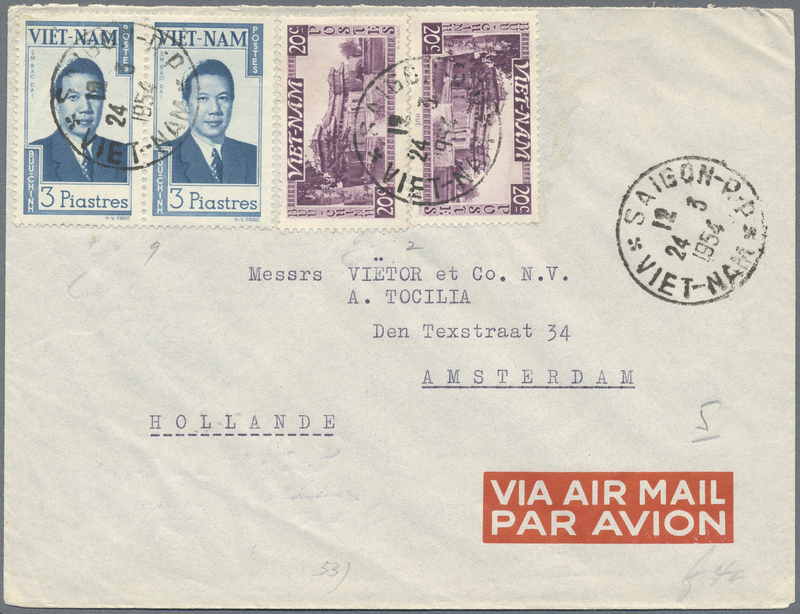 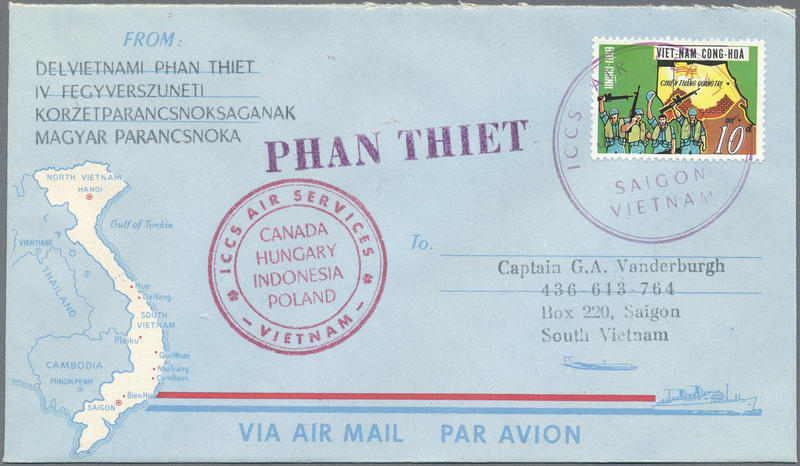 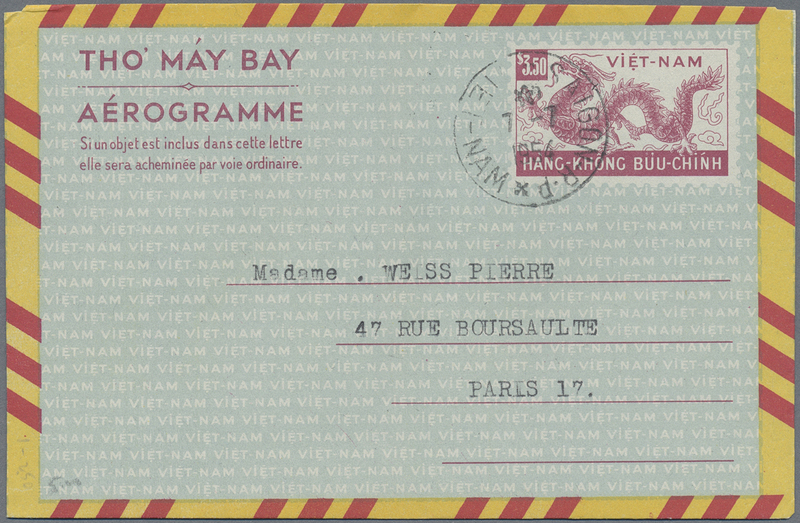 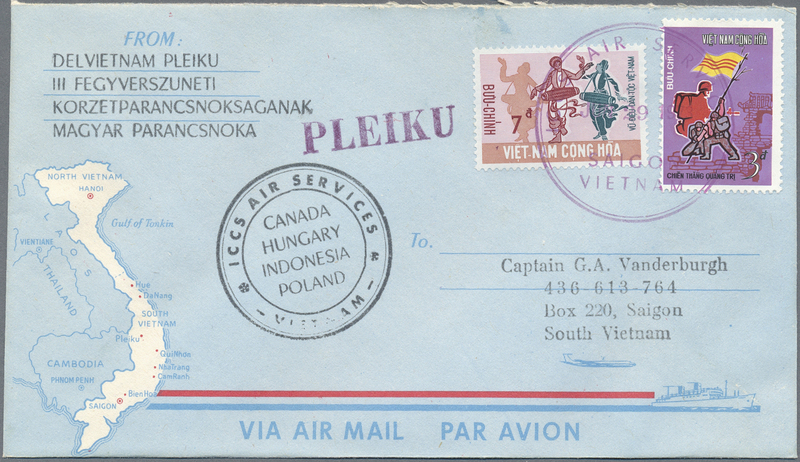 38246 Brief (cover) 1954/73, 14 covers and 5 labels of North and South Vietnam, some in mixed condition. 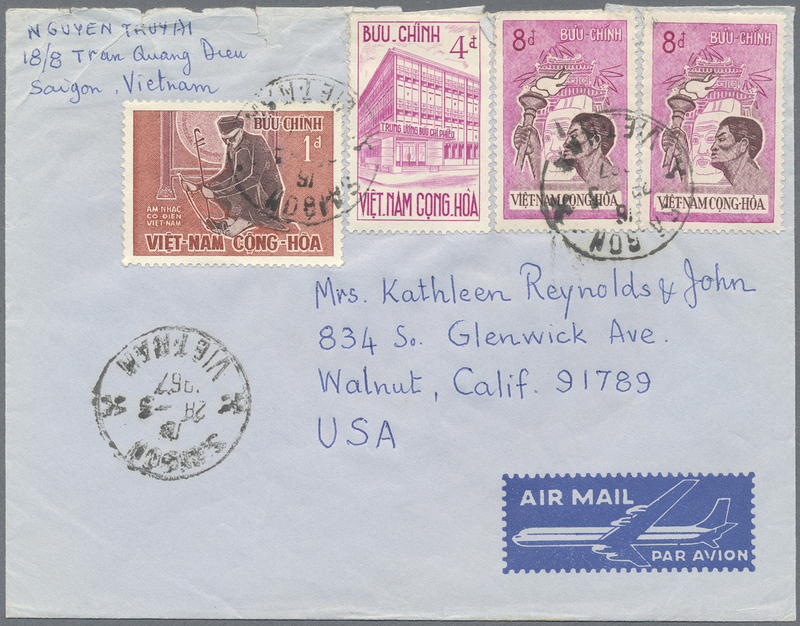 38247 Brief (cover) 1959/96, 32 covers and 6 labels of North and South Vietnam, as well as covers after unification, some in mixed condition. 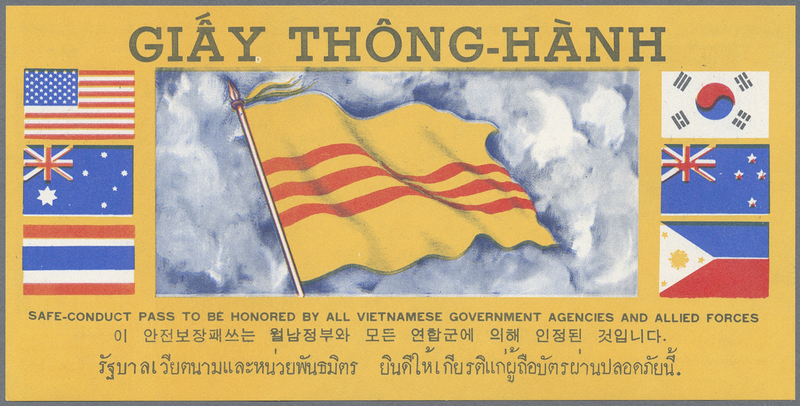 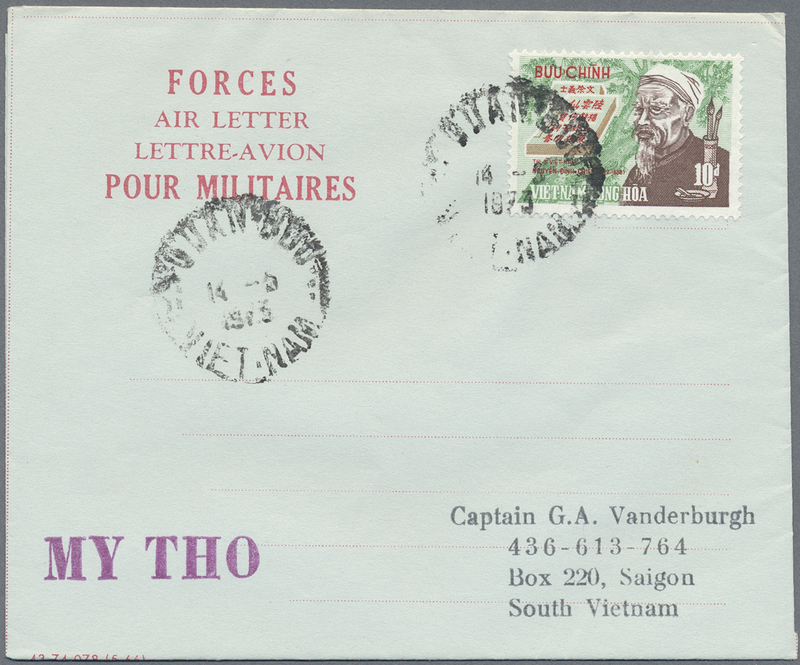 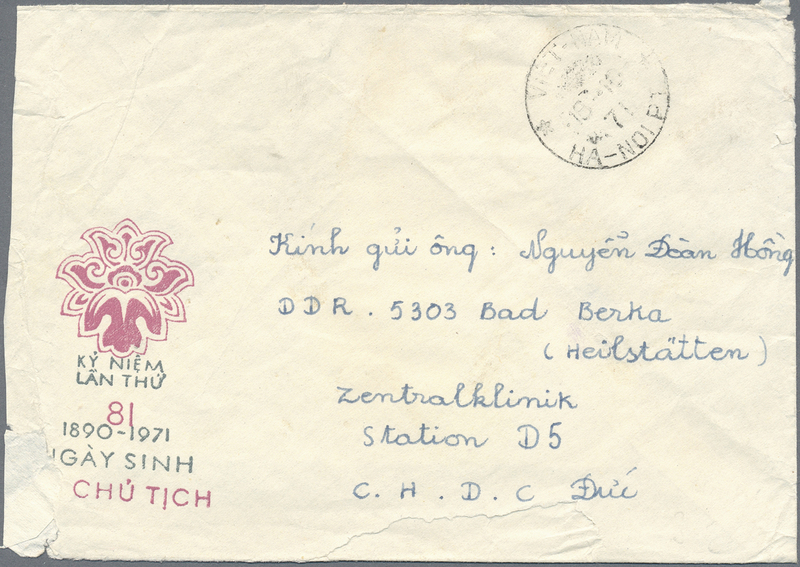 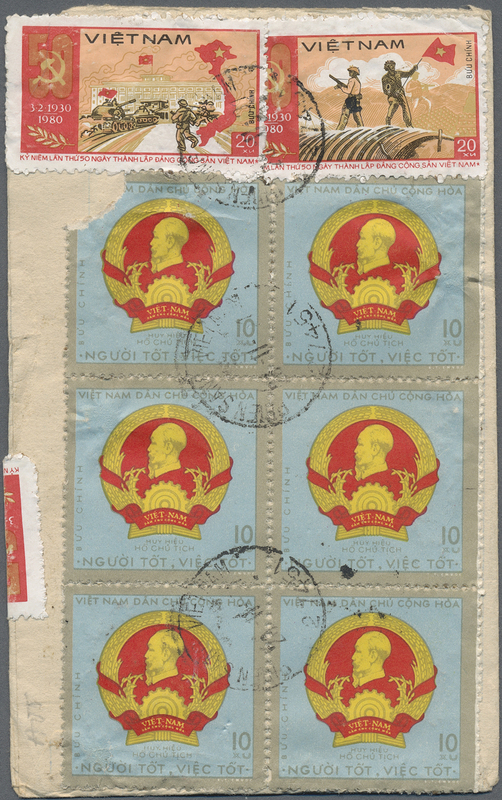 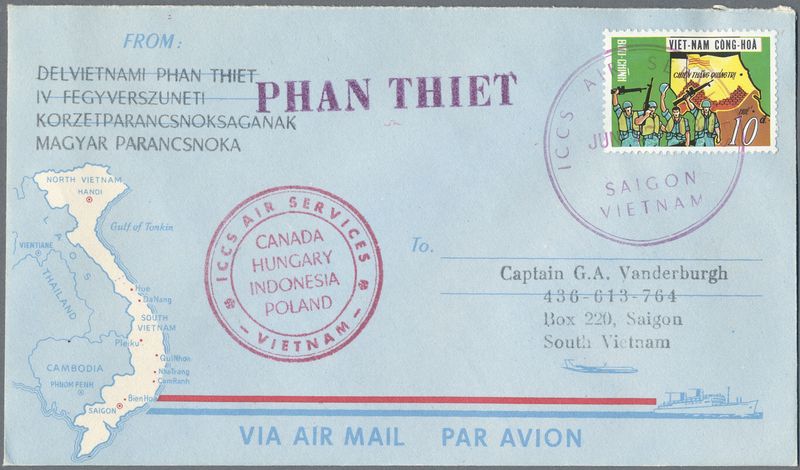 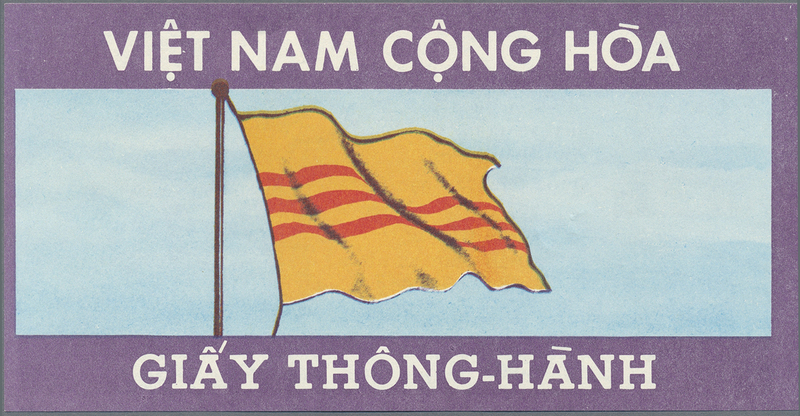 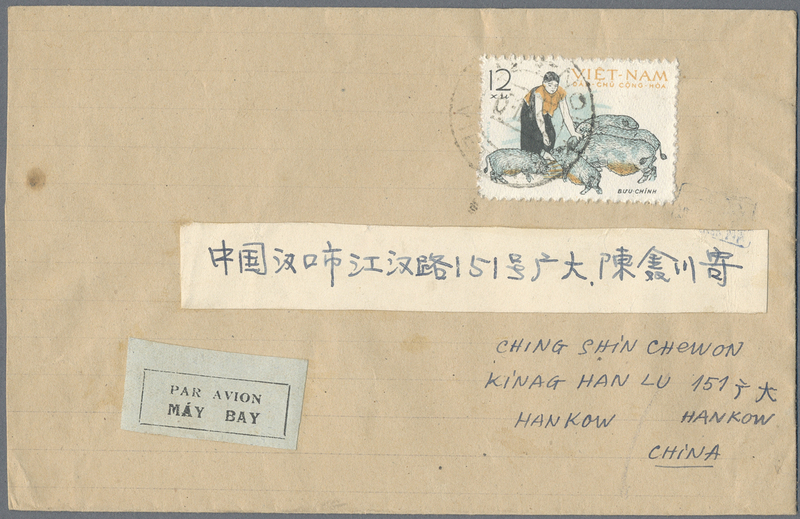 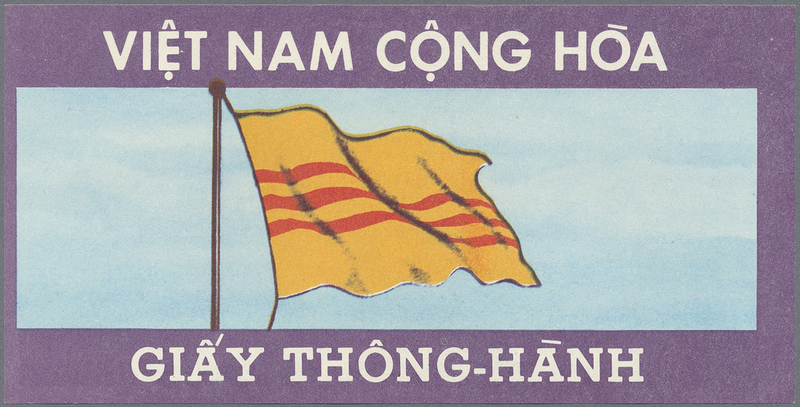 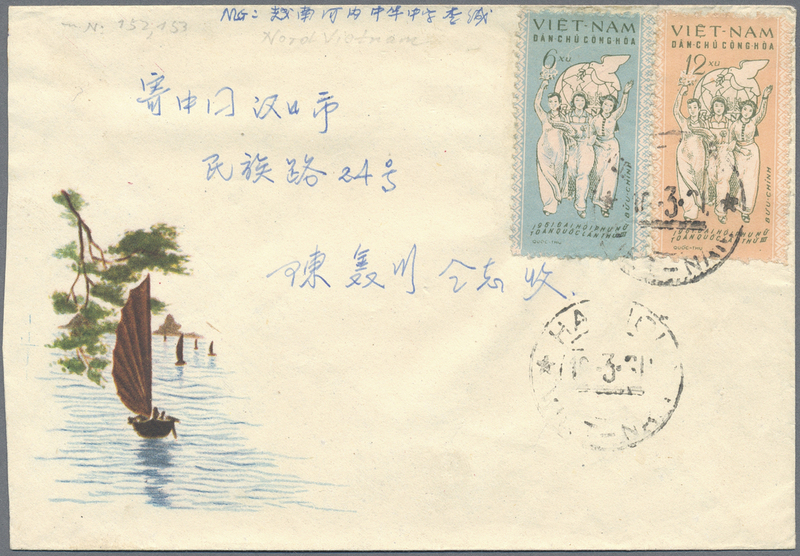 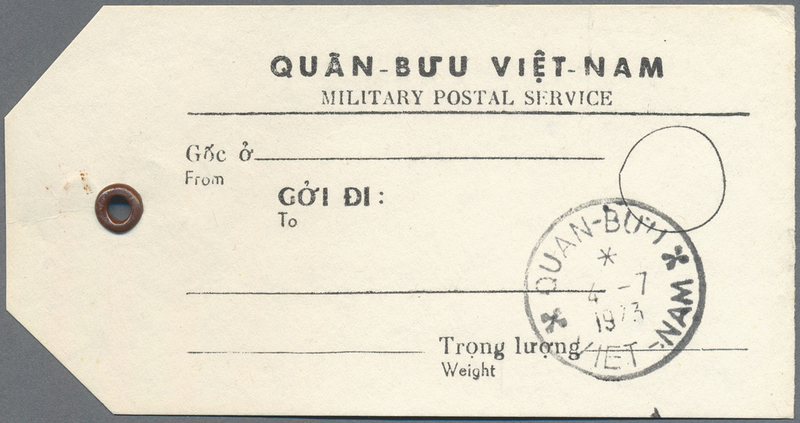 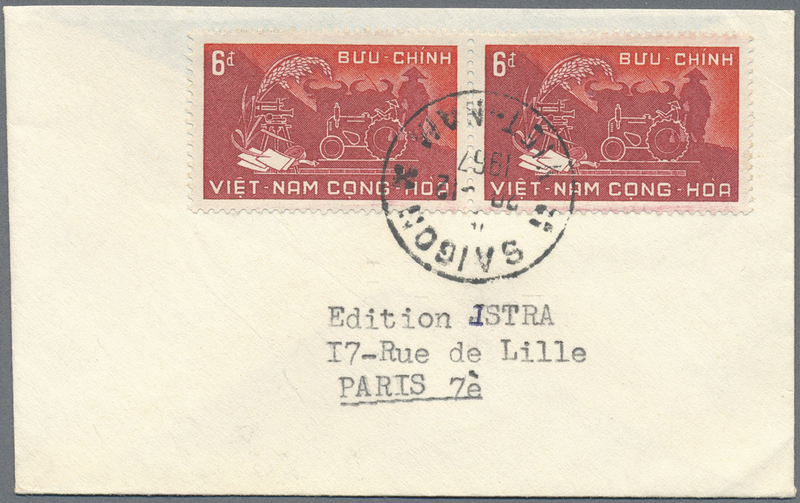 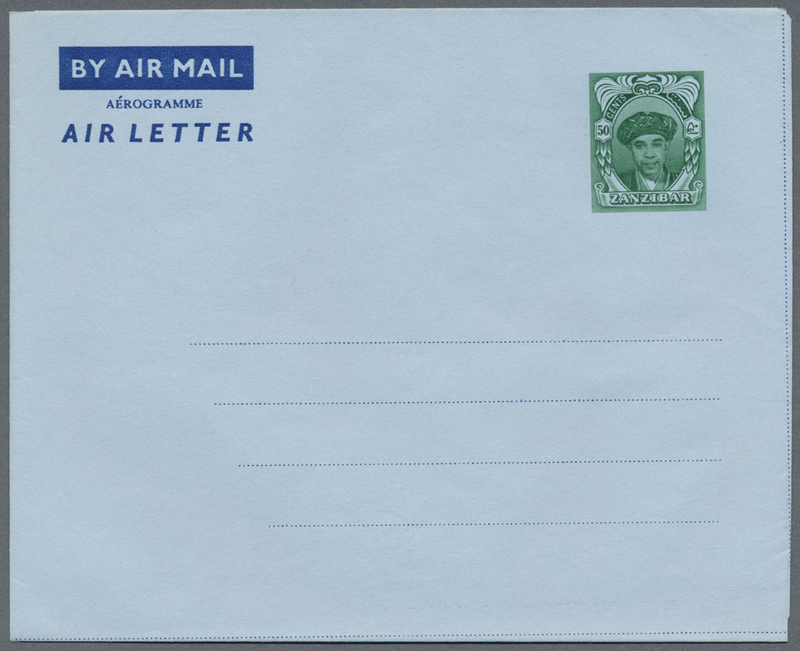 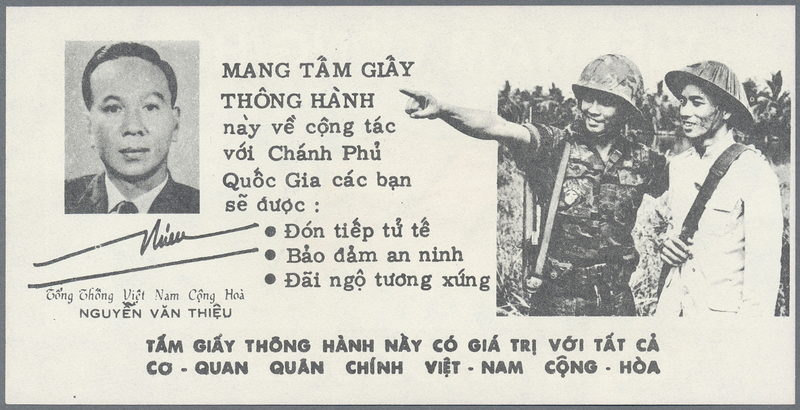 38248 Brief (cover) 1967/96, 32 covers and 6 labels of North and South Vietnam, as well as covers after unification, some in mixed condition. 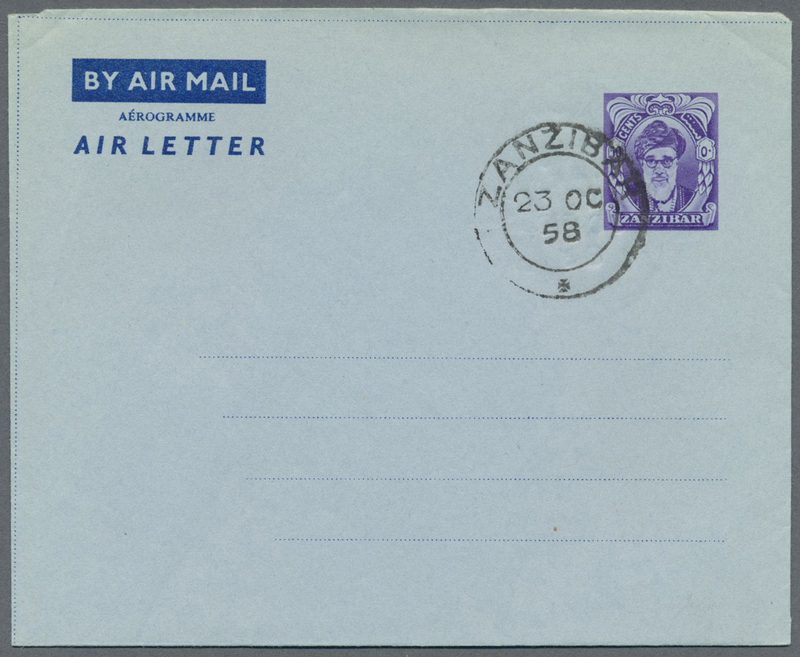 38250 Ganzsache (Complete) 1953/1963 (ca. 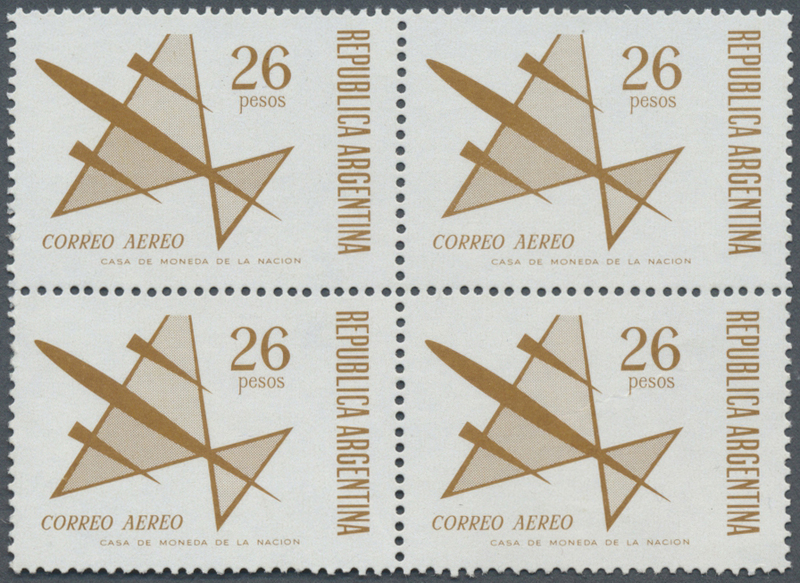 ), AEROGRAMMES: accumulation with about 210 unused and CTO (only a few commerc. 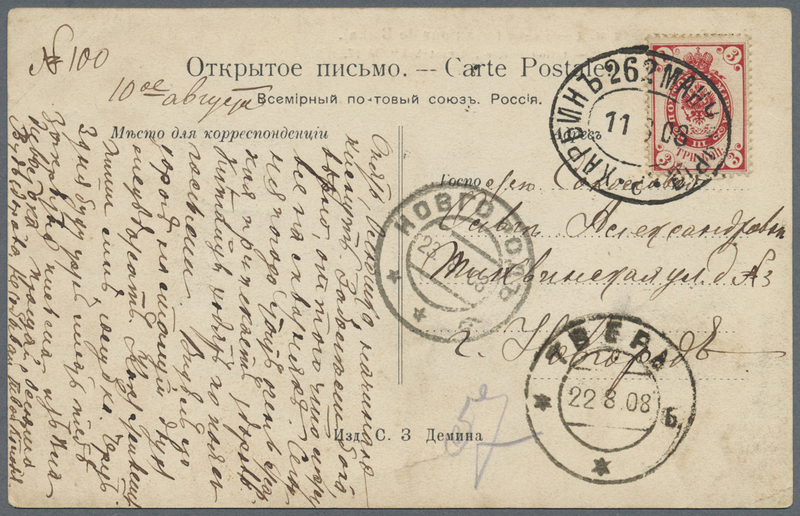 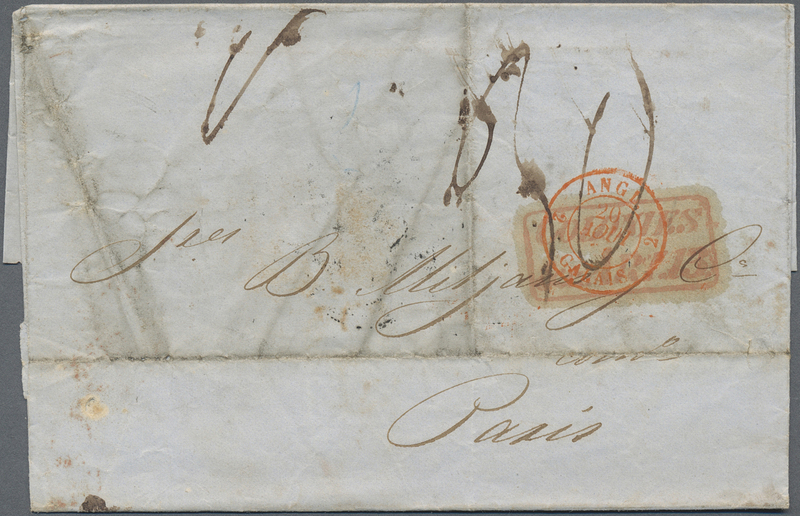 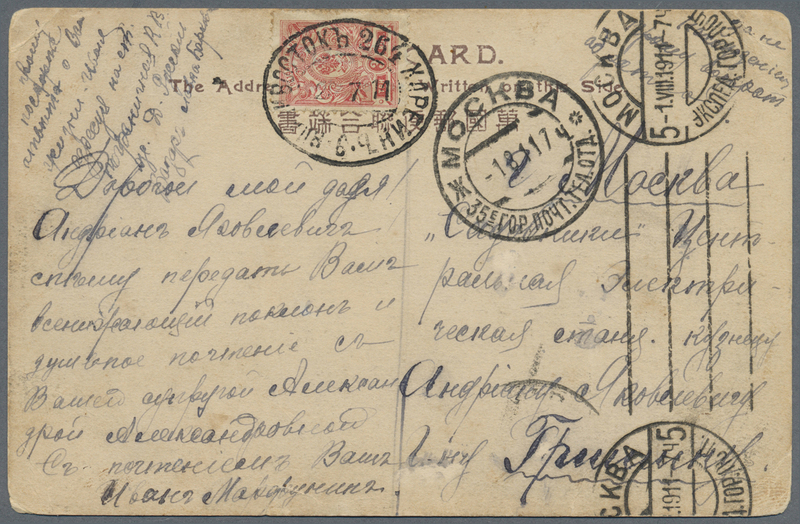 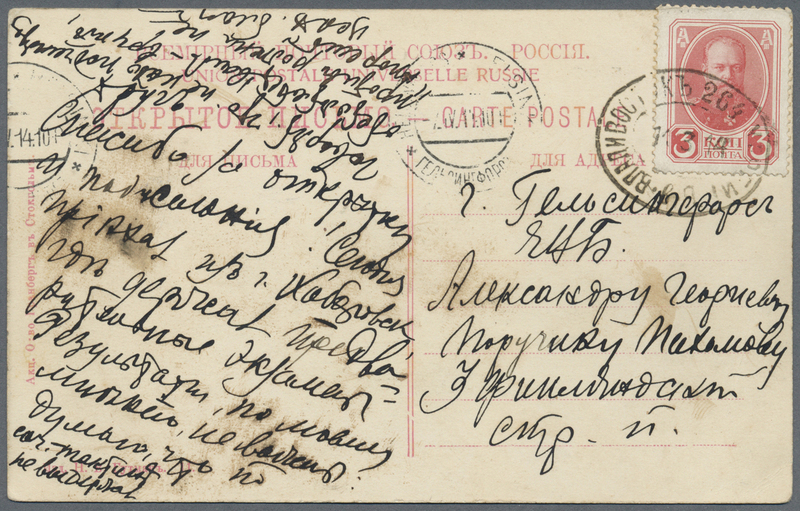 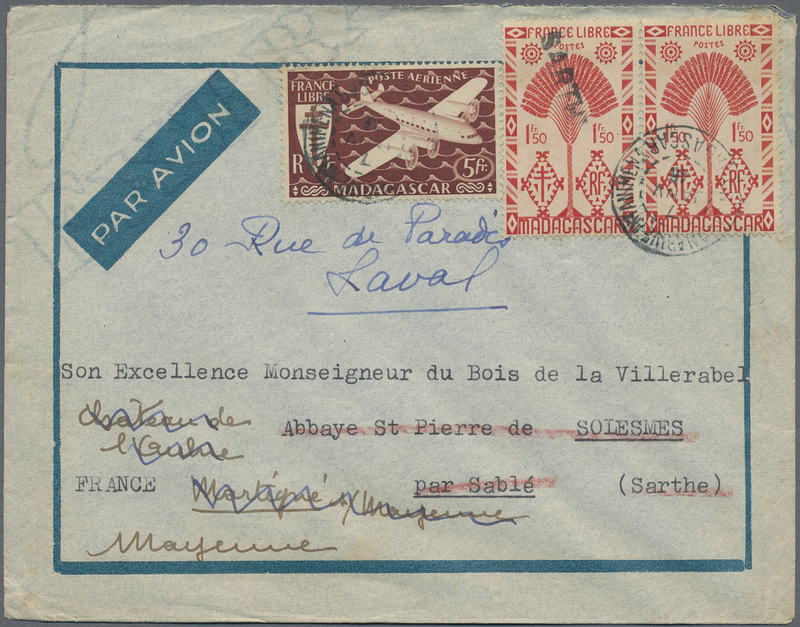 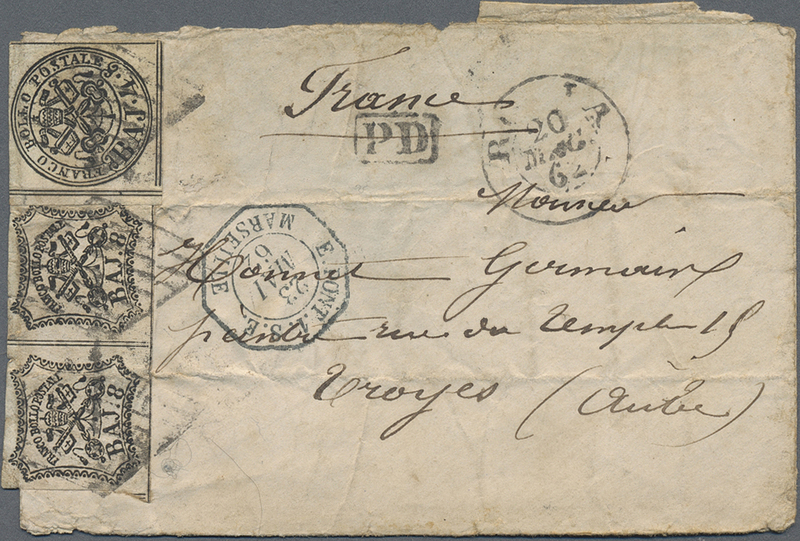 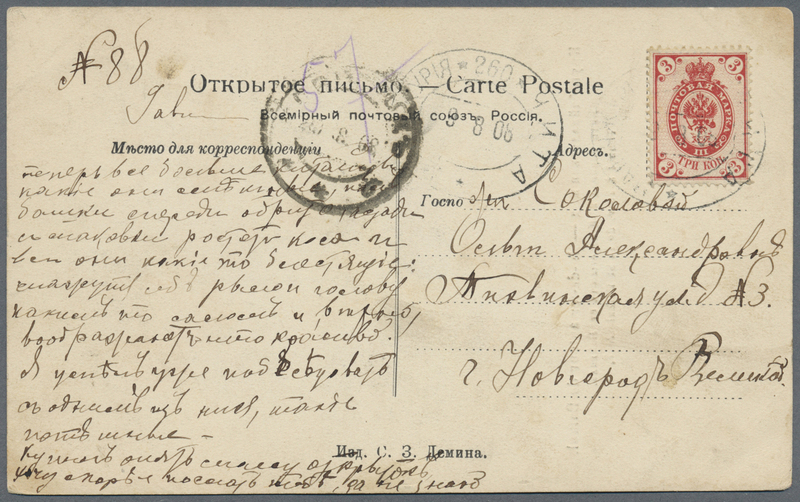 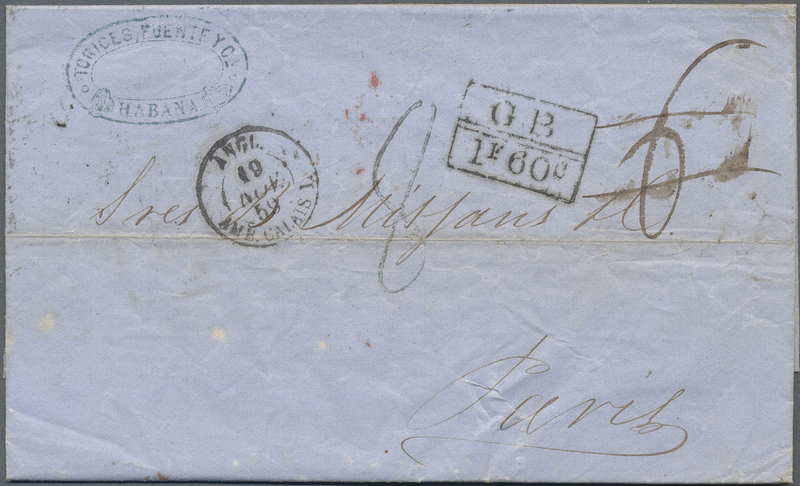 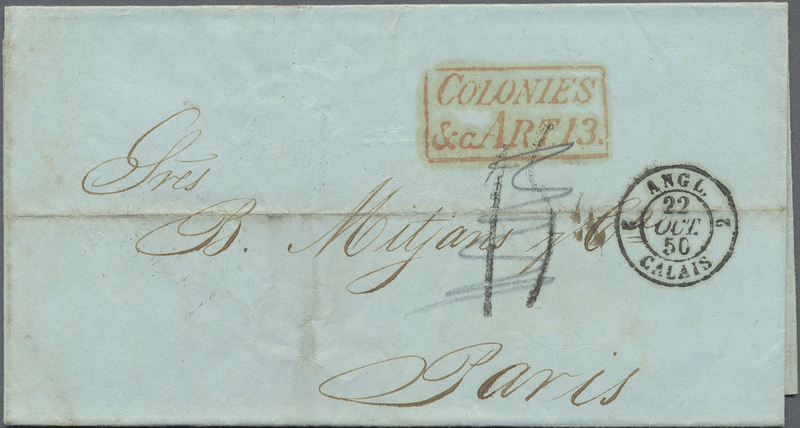 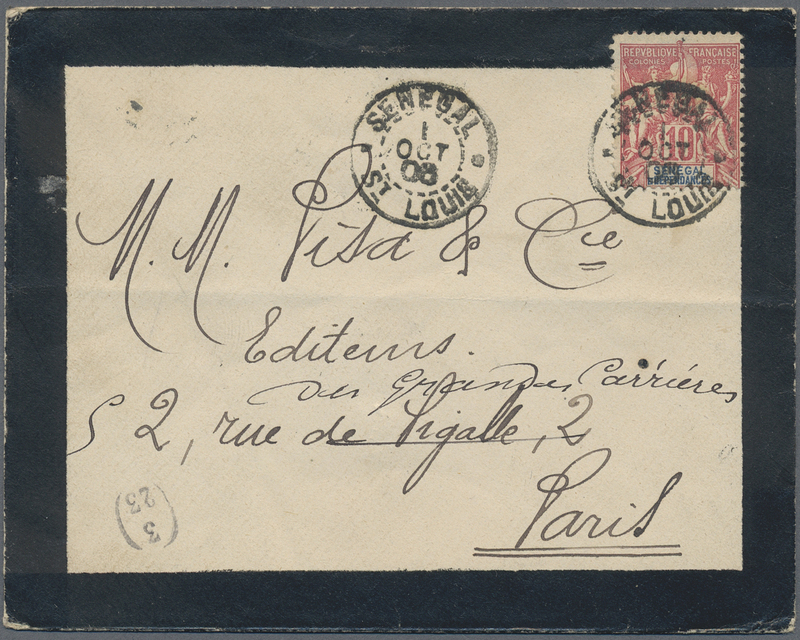 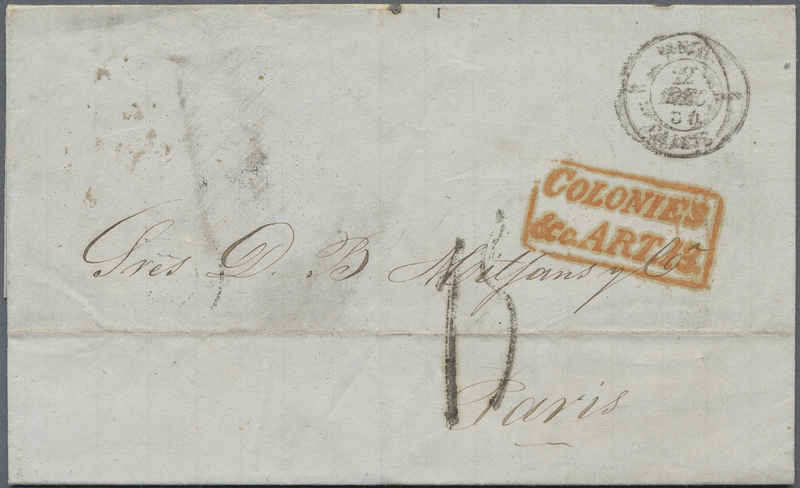 used) airletters in four different types and values with some in larger quantity, seldom offered study lot in fine condition! 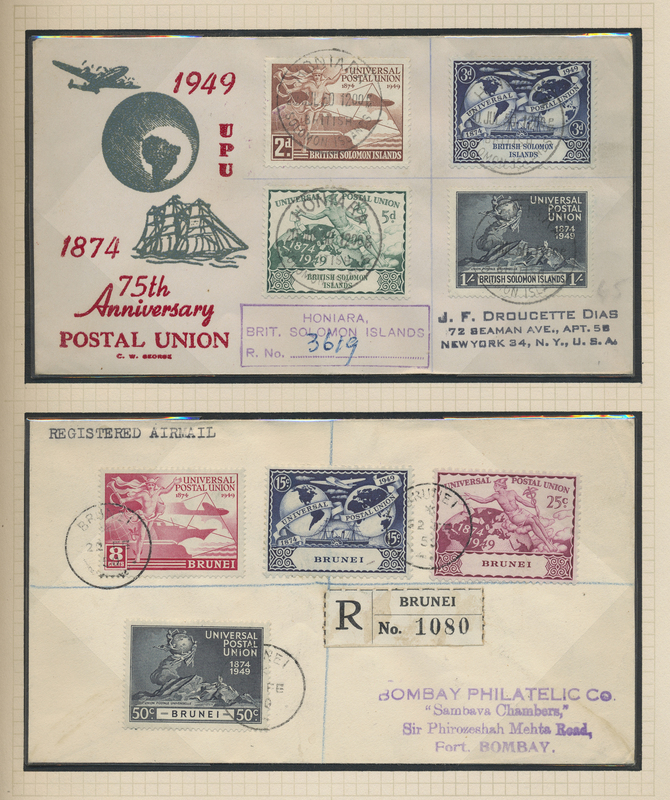 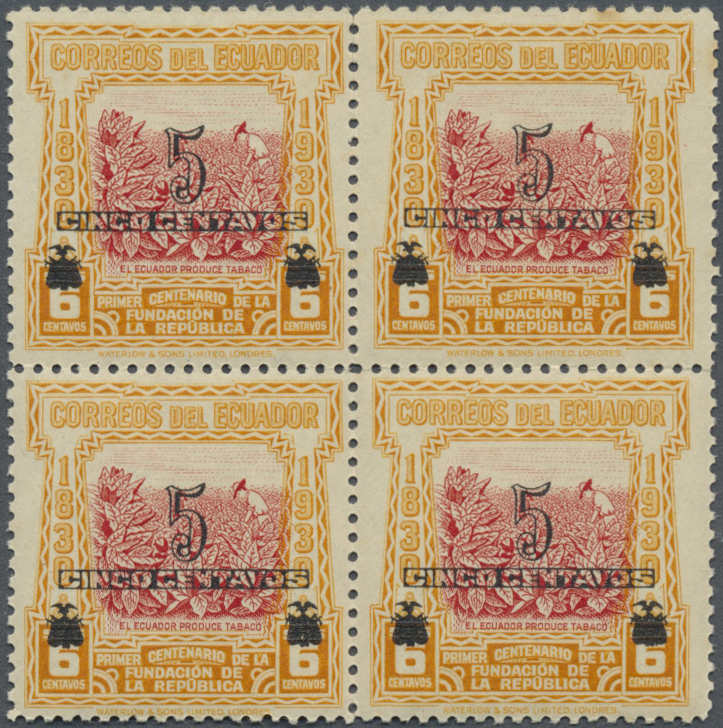 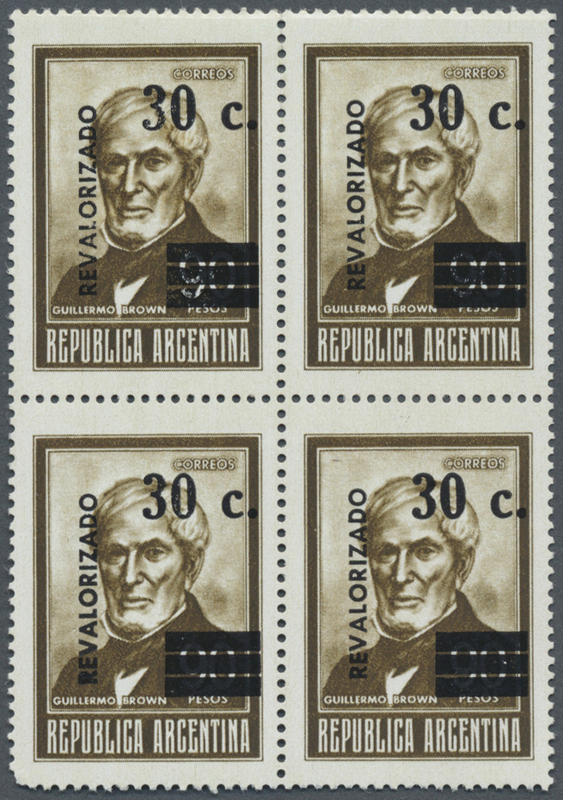 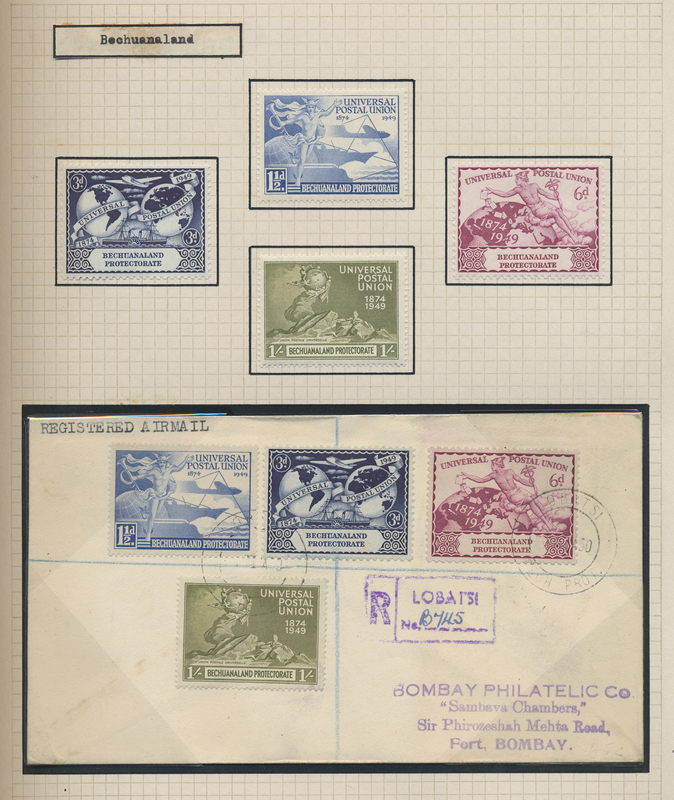 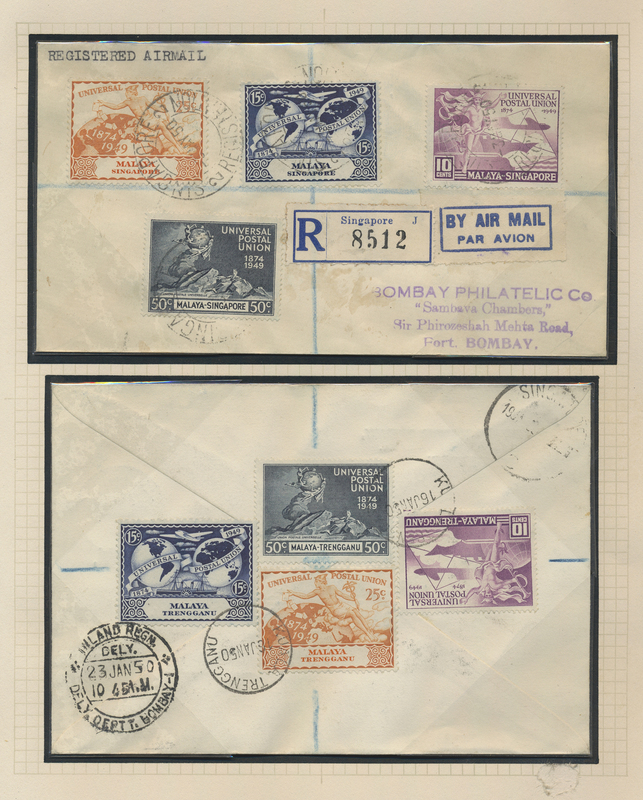 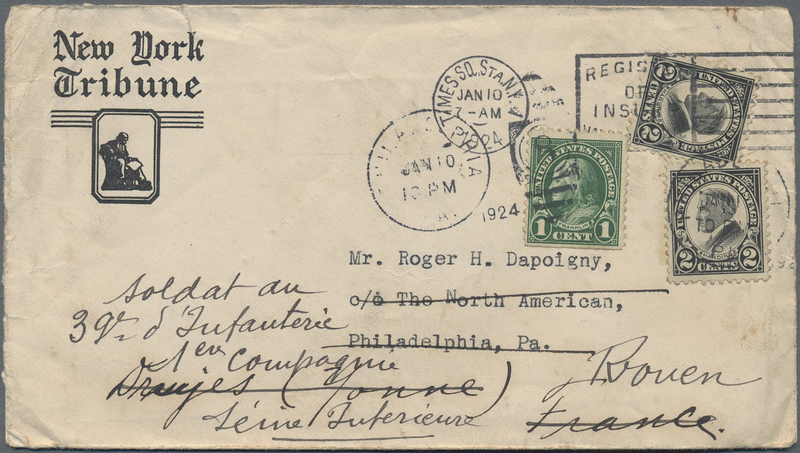 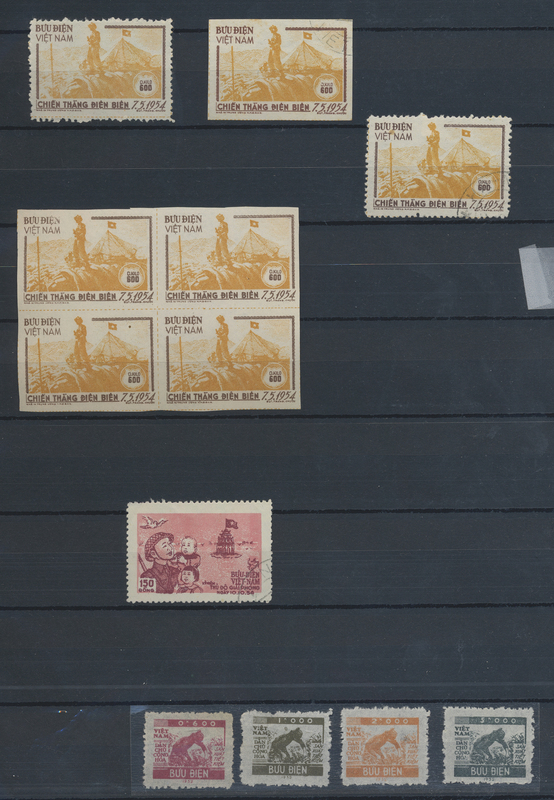 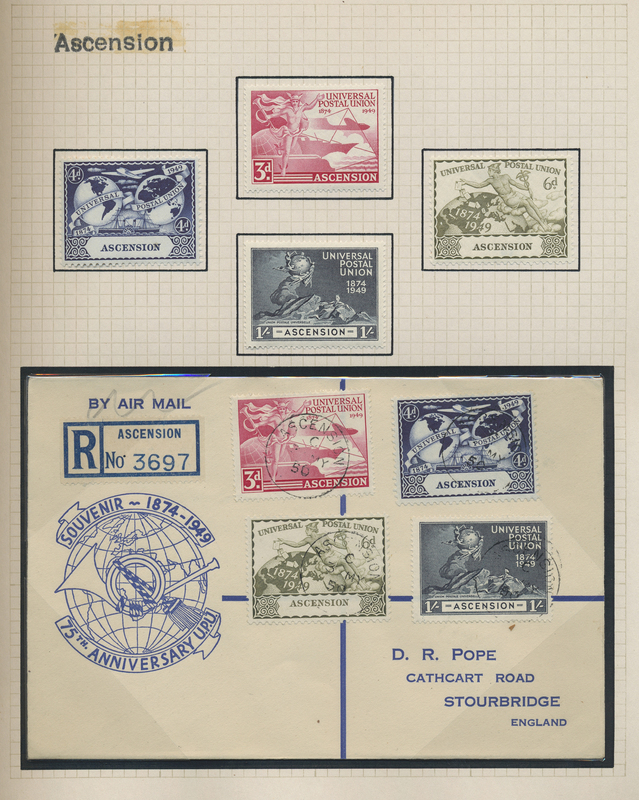 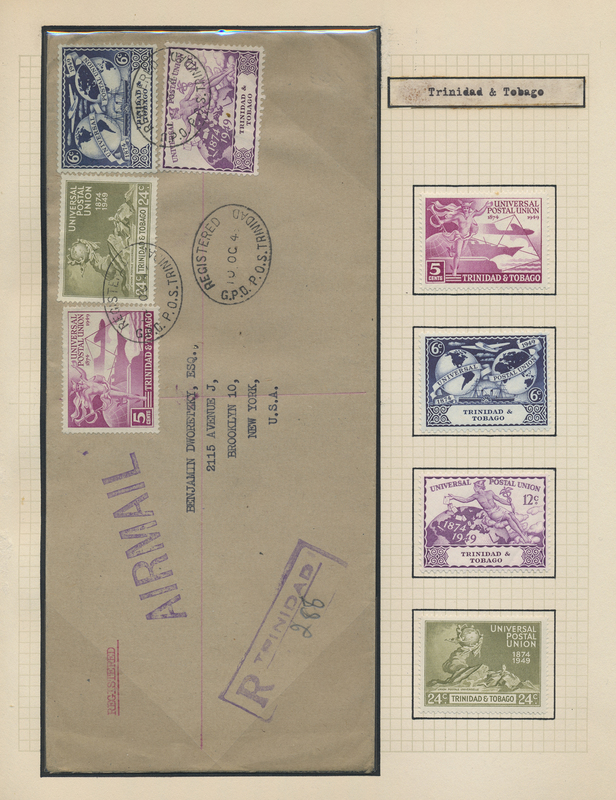 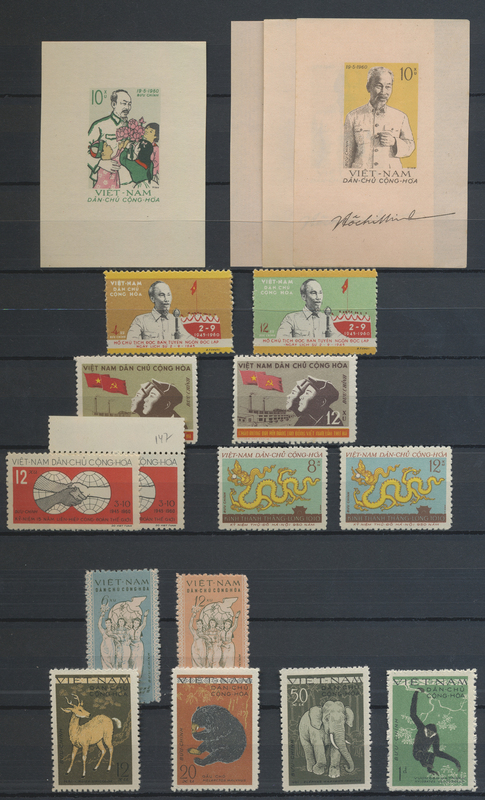 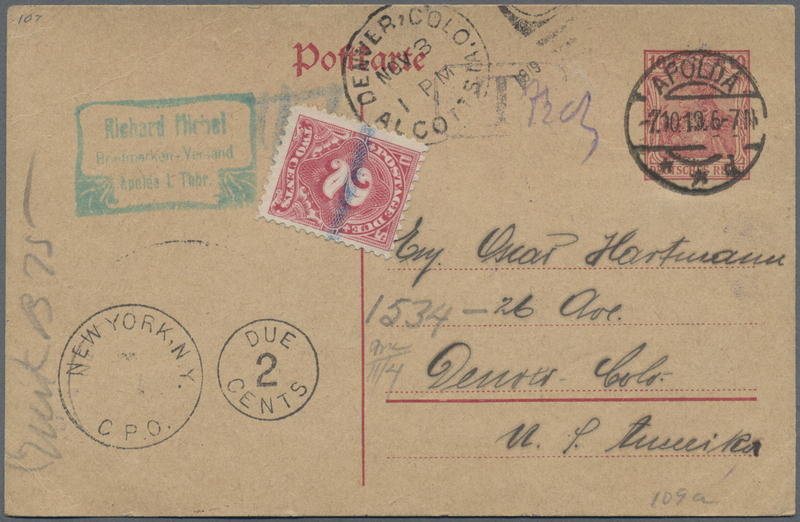 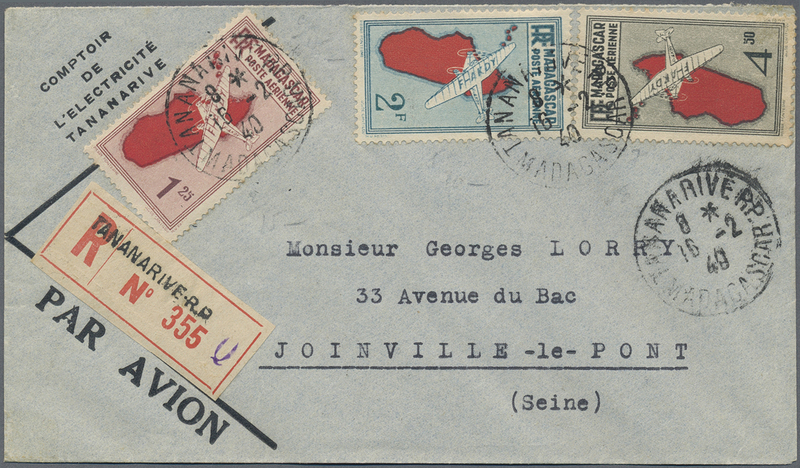 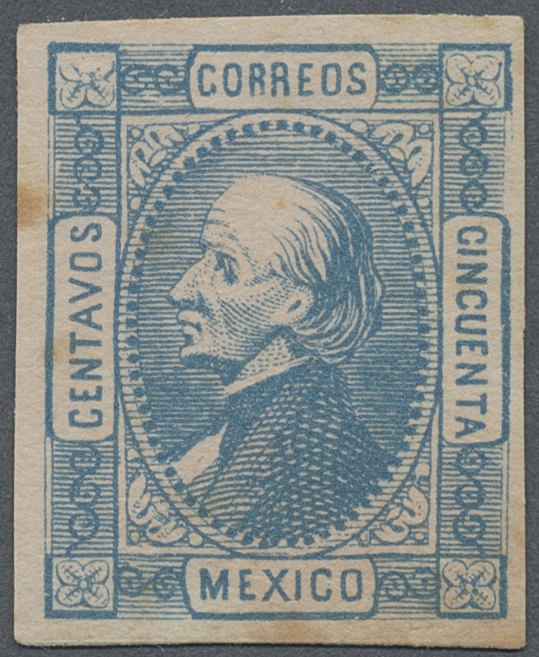 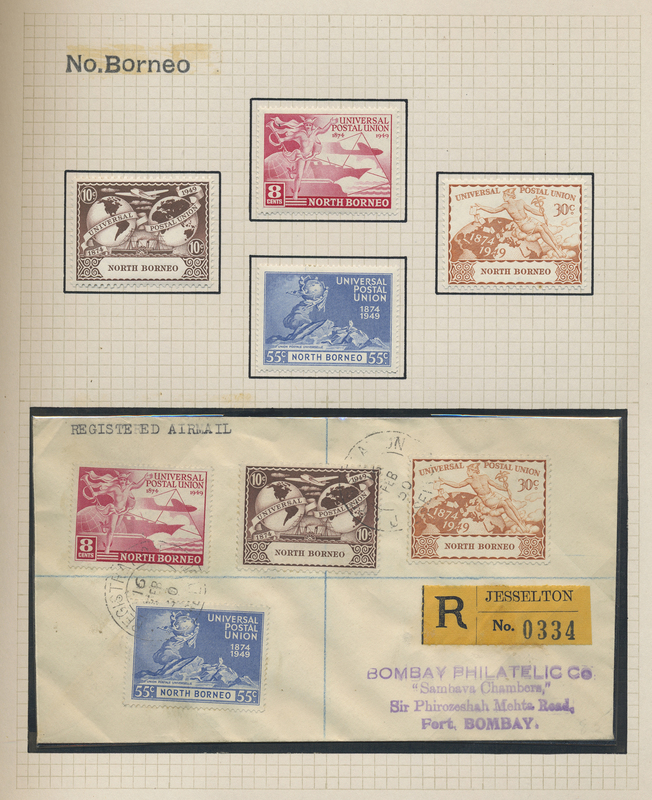 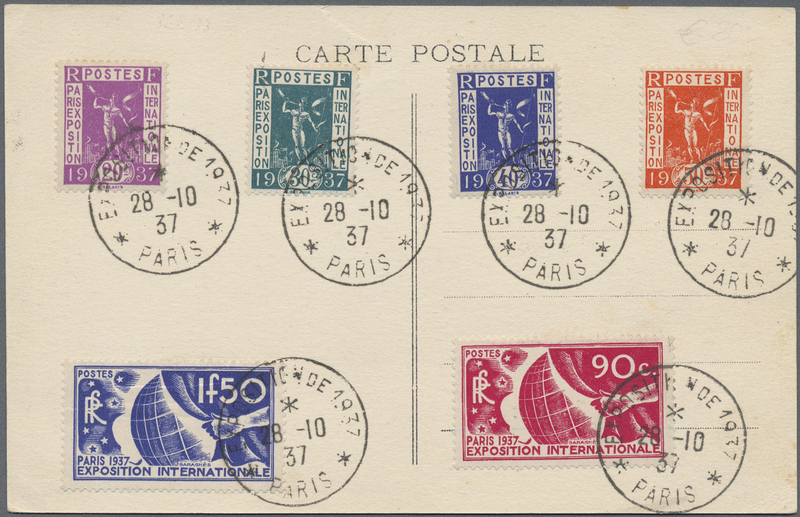 38251 "Winter" forgeries of classic stamps, accumulation of apprx. 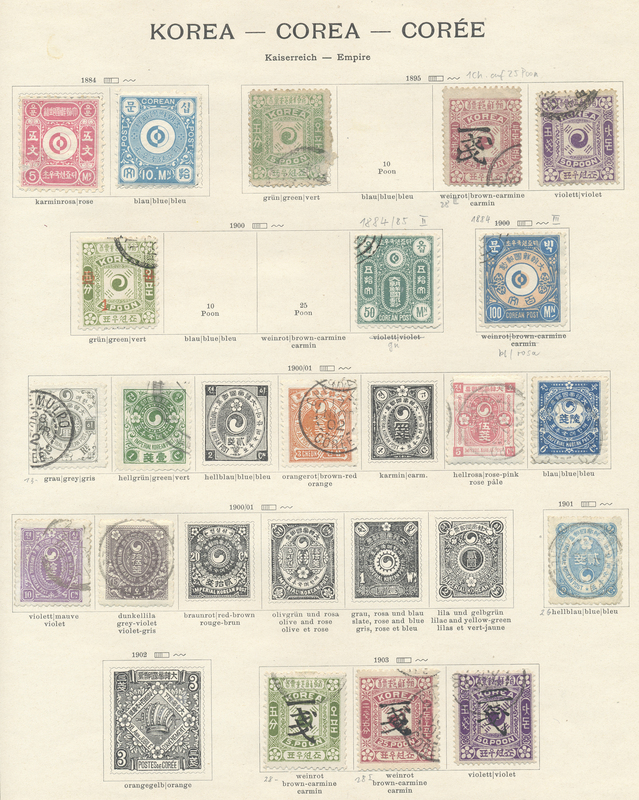 140 pieces on album pages/loose. 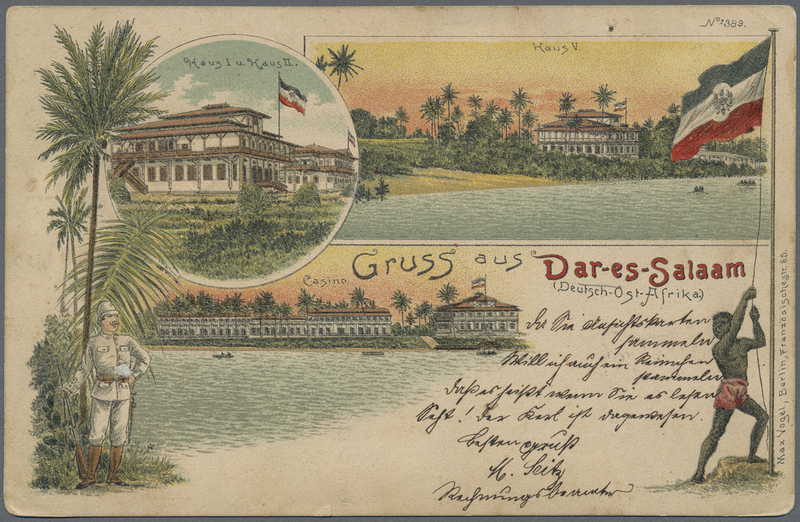 38256 Ganzsache (Complete) Brief (cover) Ansichtskarte (Picture postcard) 1890 - 1992 (ca. 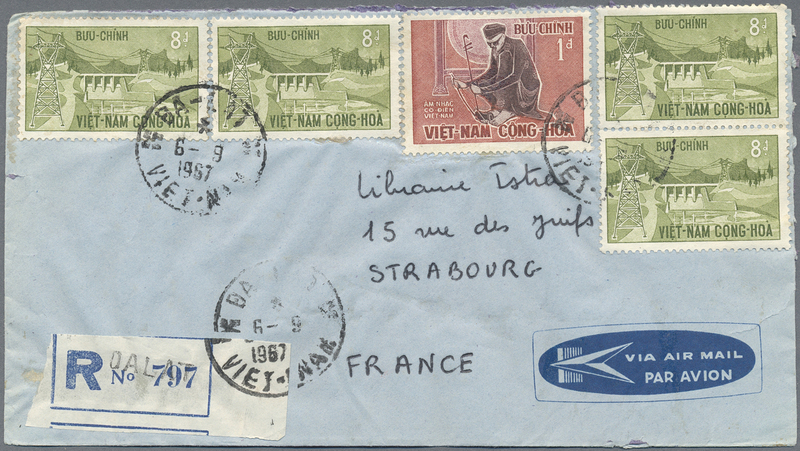 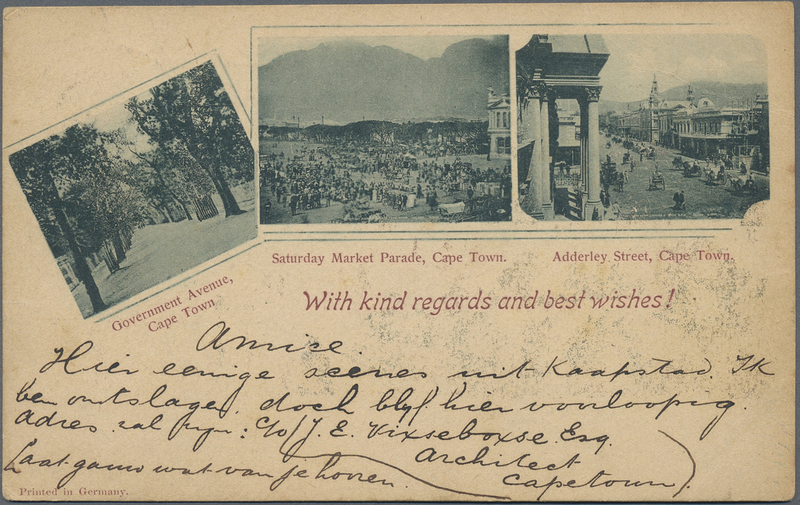 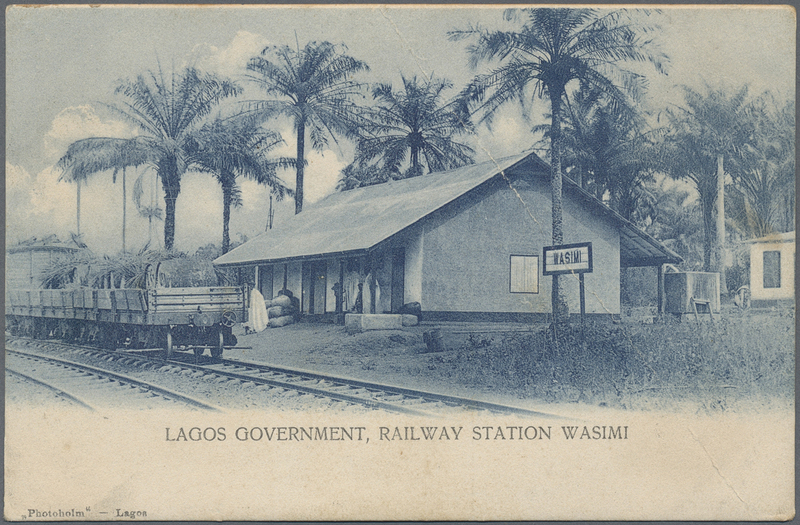 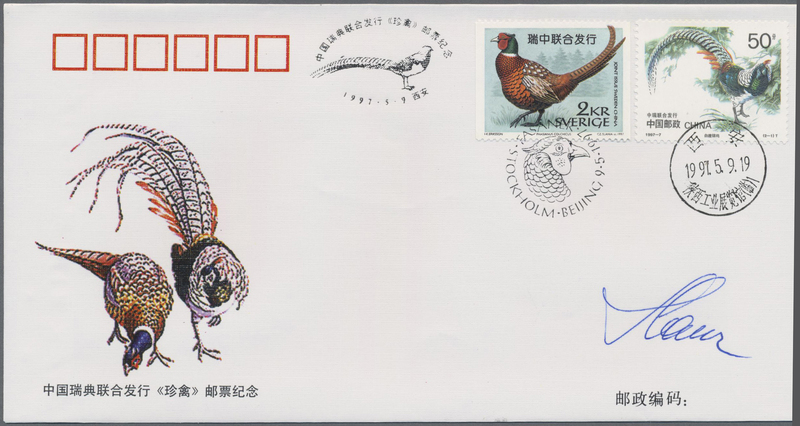 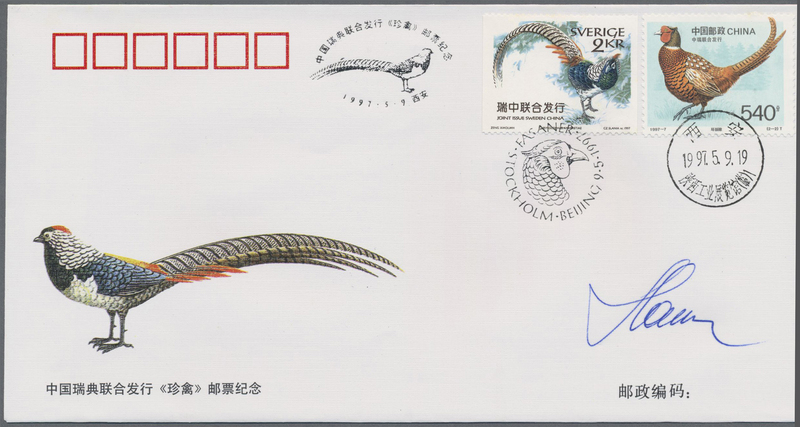 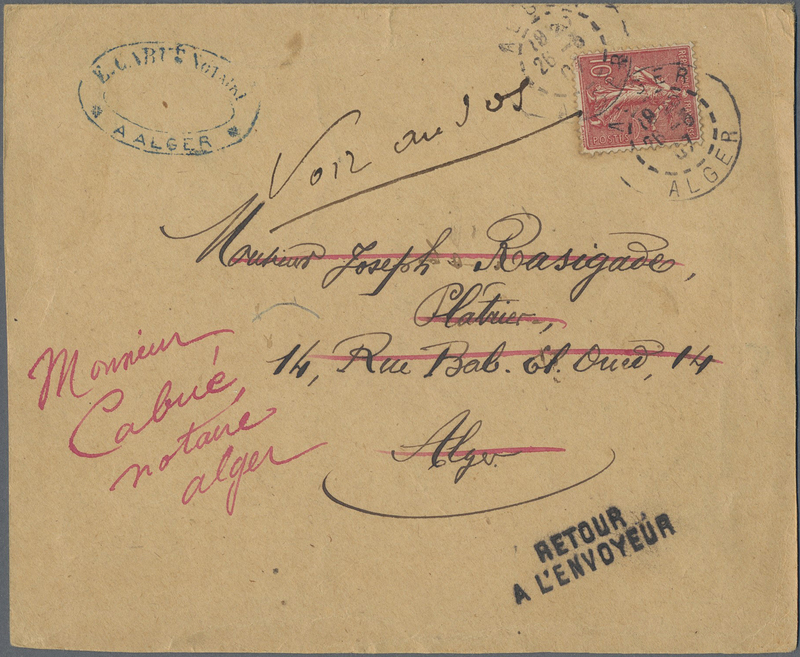 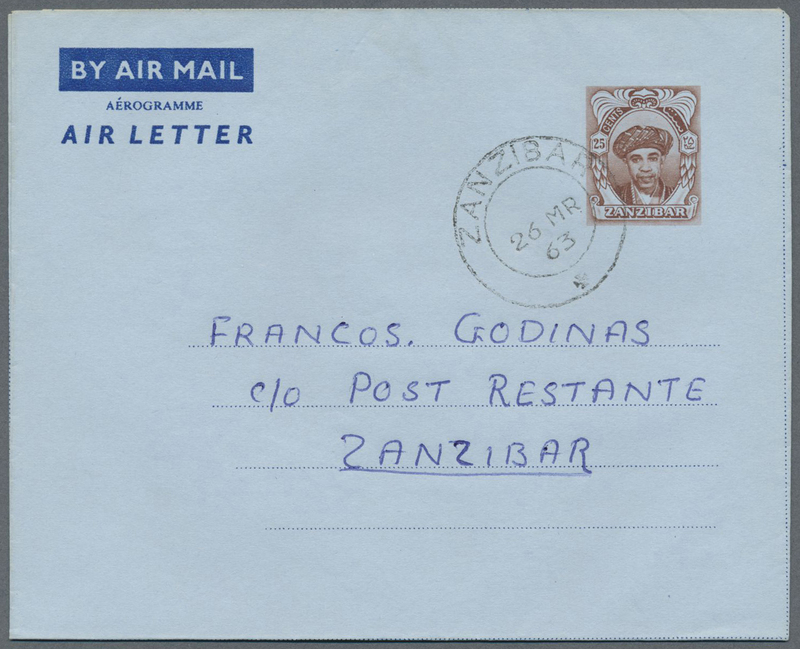 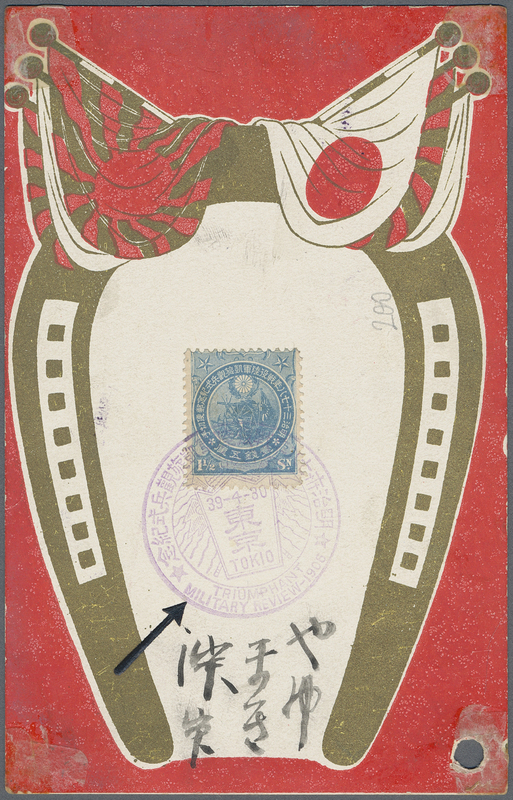 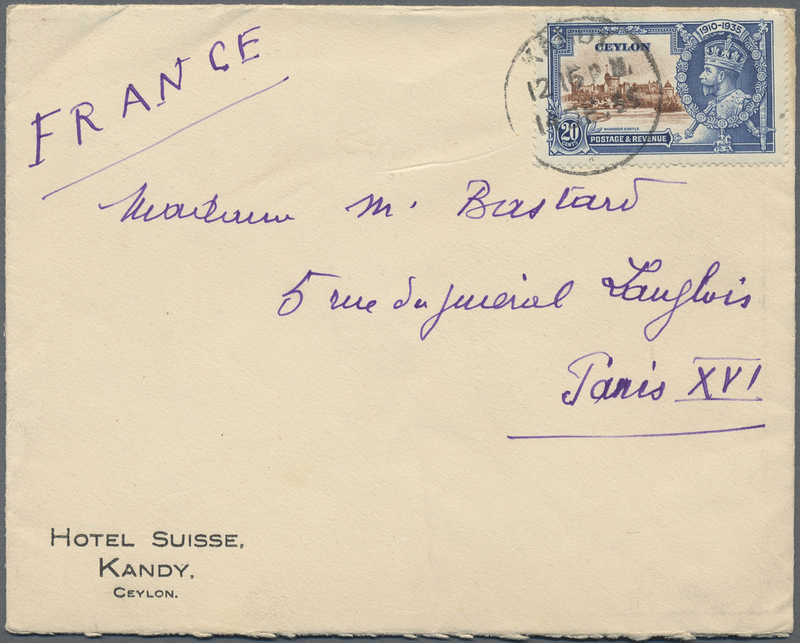 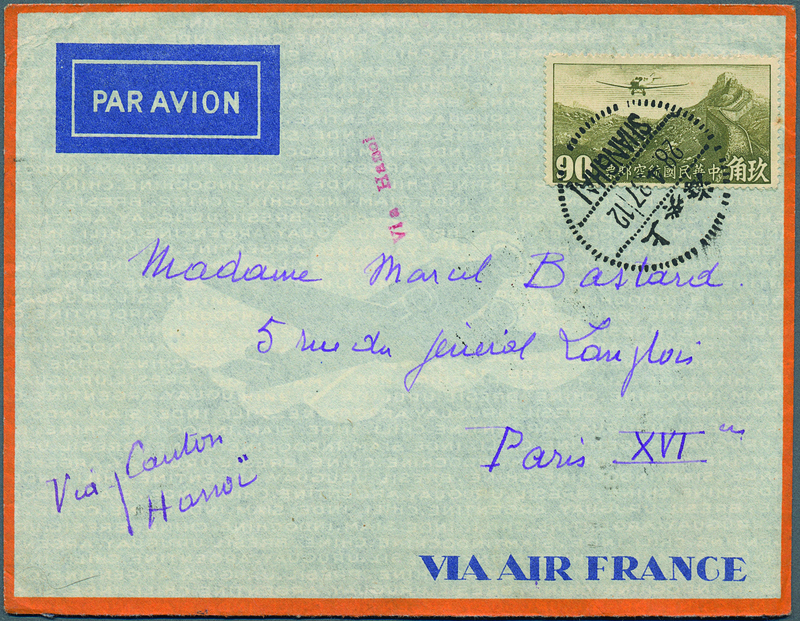 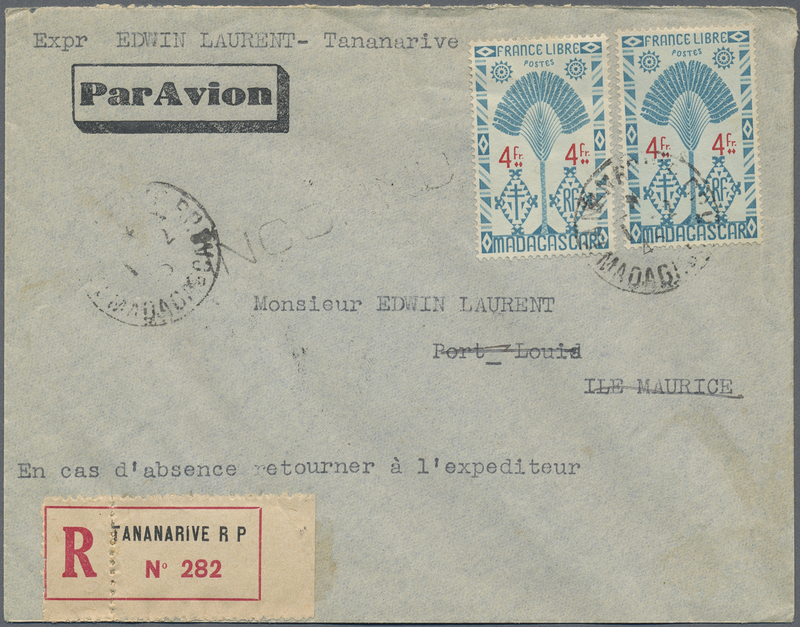 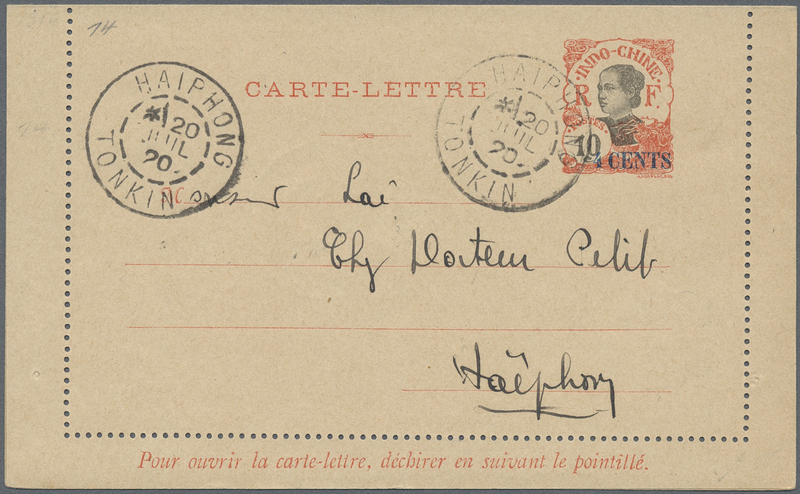 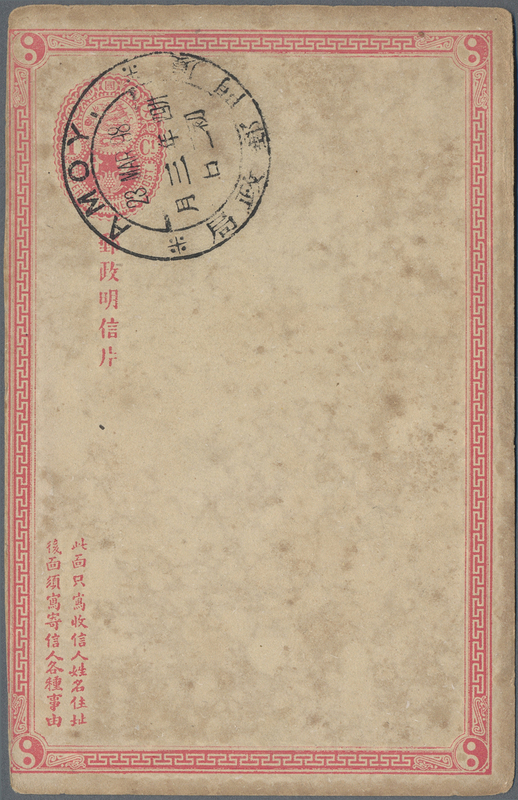 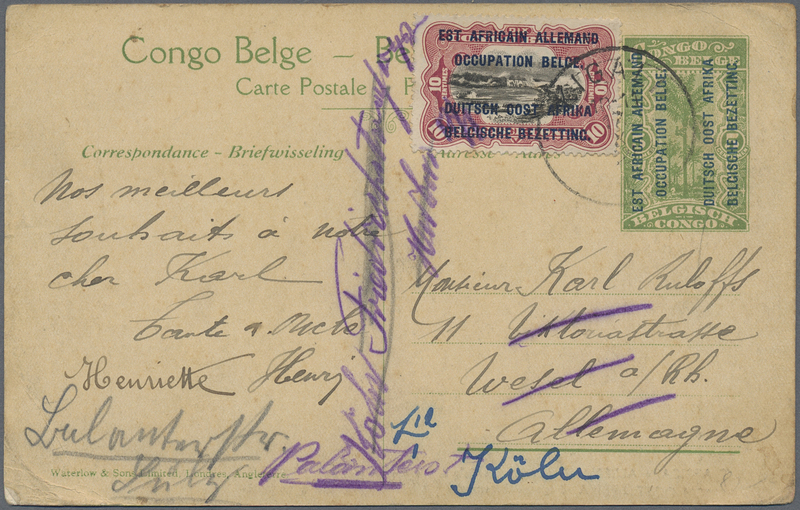 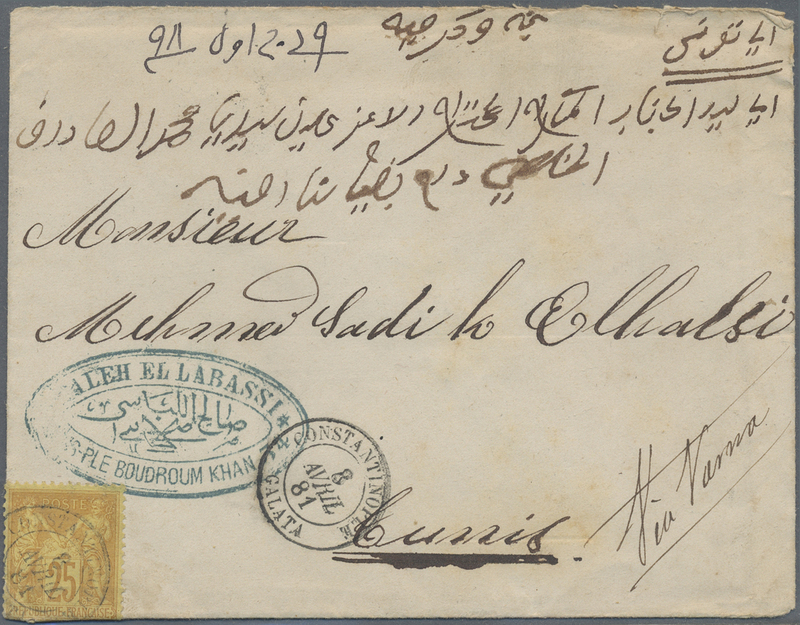 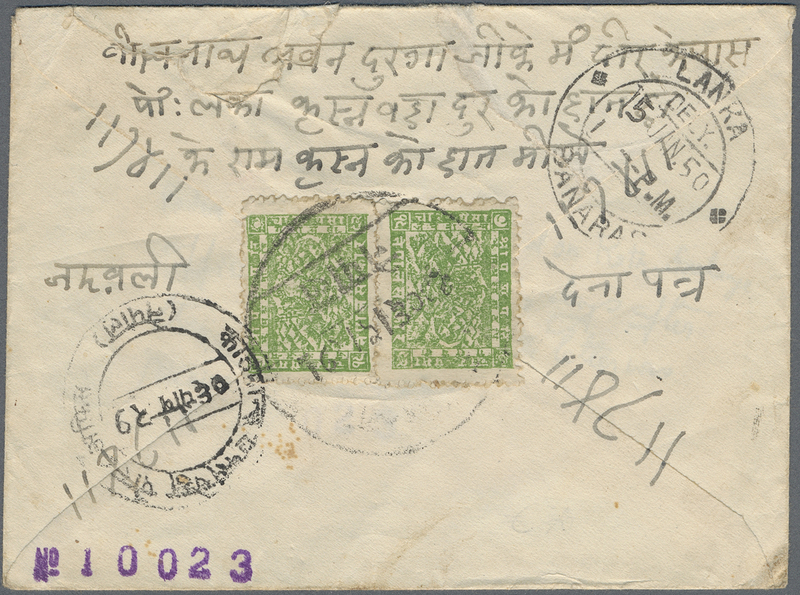 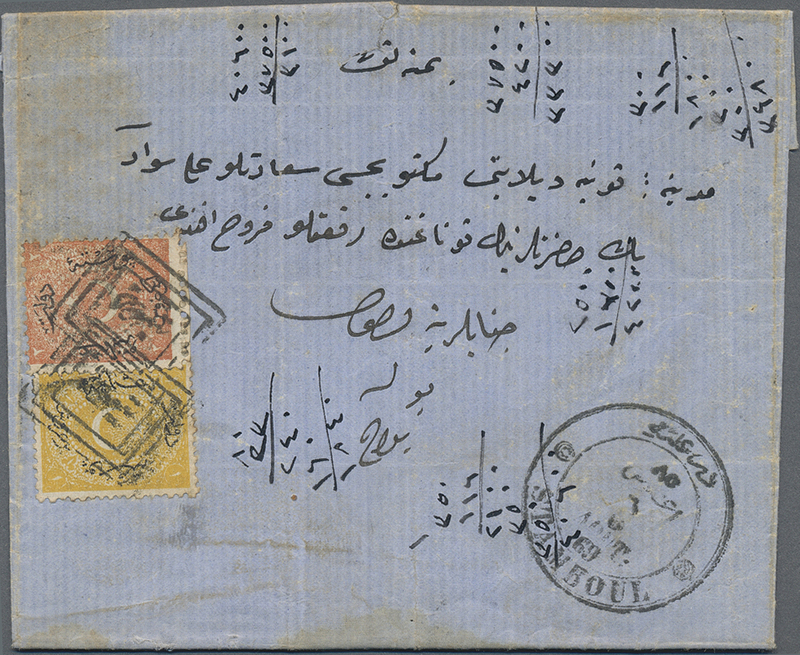 ), small accumulation of over 30 covers, while registered mail, express, postal stationary, various postmarks and interesting destinations. 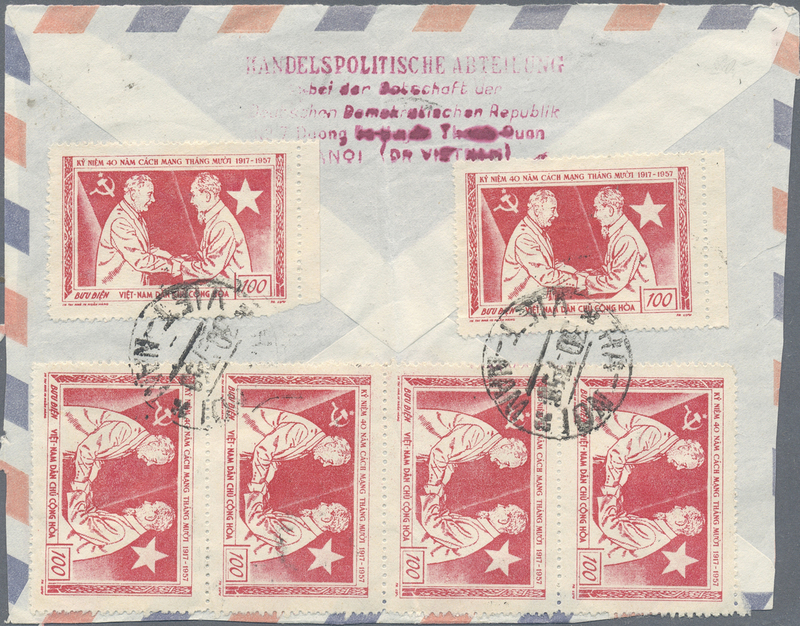 38258 postfrisch (never hinged) ** gestempelt (marked) 1960 - 1985 (ca. 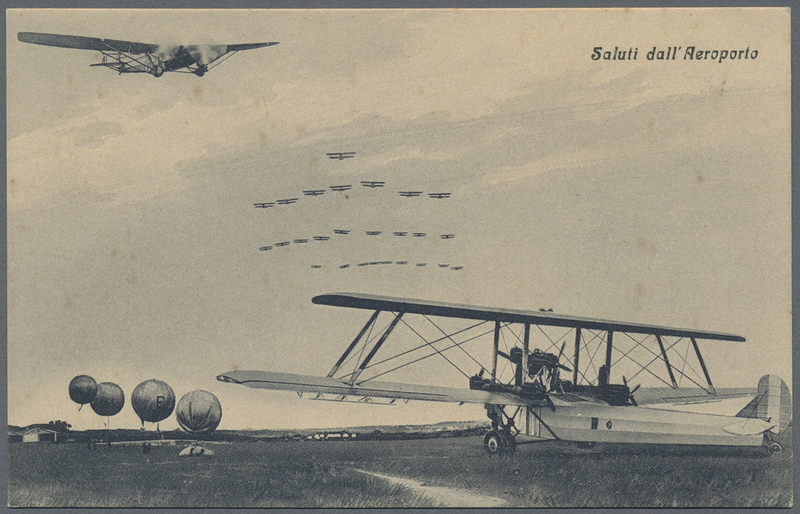 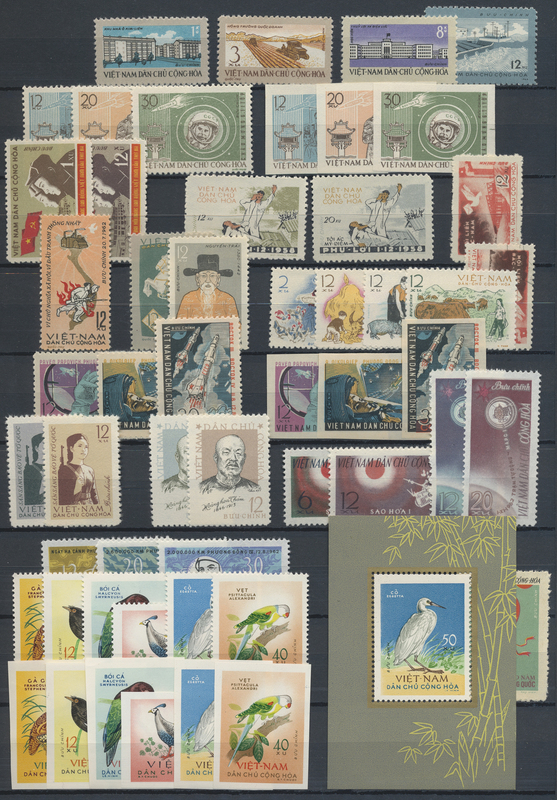 ), extensive stock of miniature sheets from all over the world, among others Afghanistan, Albania, Argentina, Belgium, Bolivia, Brazil, Bulgaria, Burundi, China, Colombia, Congo, Costa Rica, Gdansk, Egypt, Germany, Ghana, Guatemala, Guinea, Haiti, Honduras, Hungary, Indonesia, Iraq, Israel, Japan, Jordan, Congo, Burundi, Korea-South, Laos, Lebanon, Liberia, Libya, Malawi, Mali, Manama, Mongolia, Netherlands Antilles, Nicaragua, Niger, Nigeria, Oman, Panama, Paraguay, Peru, Poland, Romania, Soviet Union, Uruguay, Togo, Turkey, Czechoslovakia, Syria, Switzerland, etc. 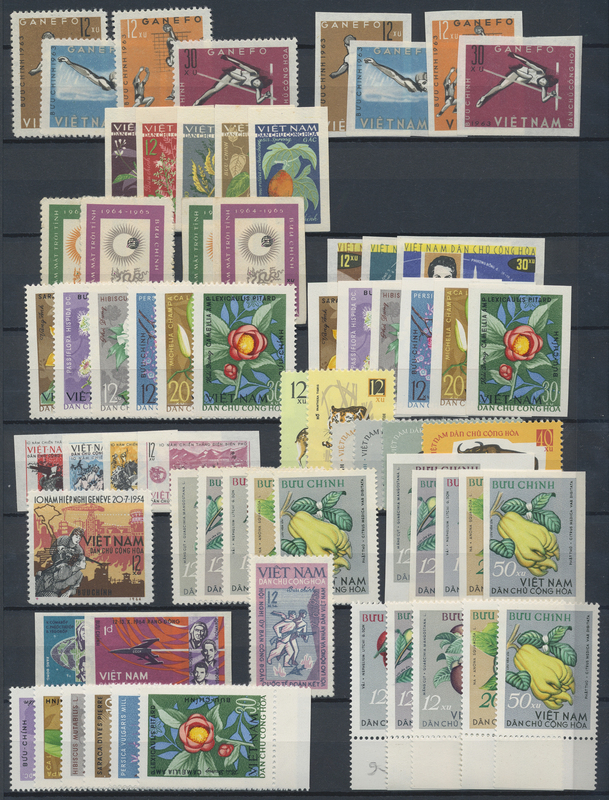 These are hundreds of miniature sheets, mostly mint, individually packed in bags. 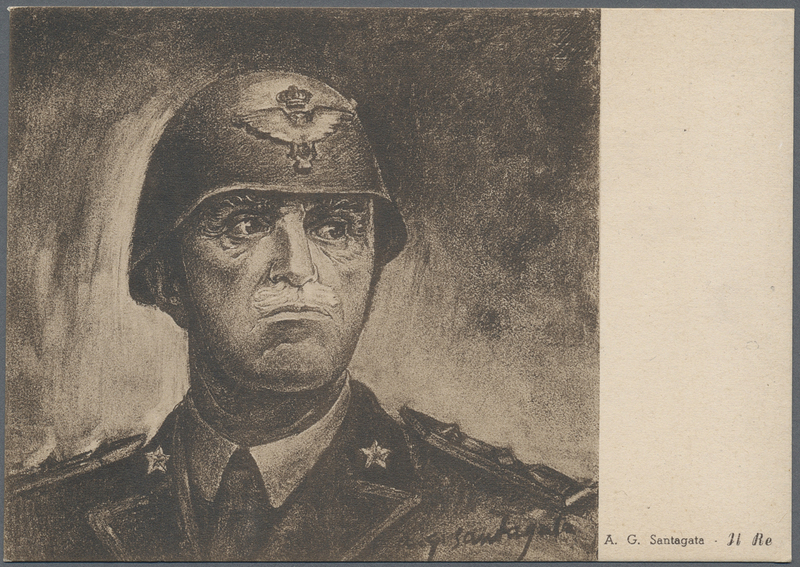 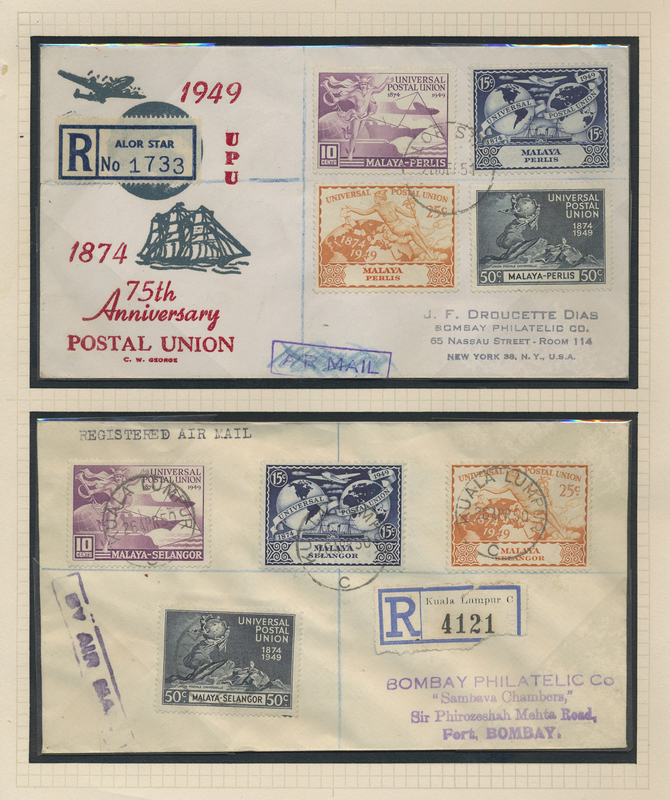 Safe repertory for motive collectors! 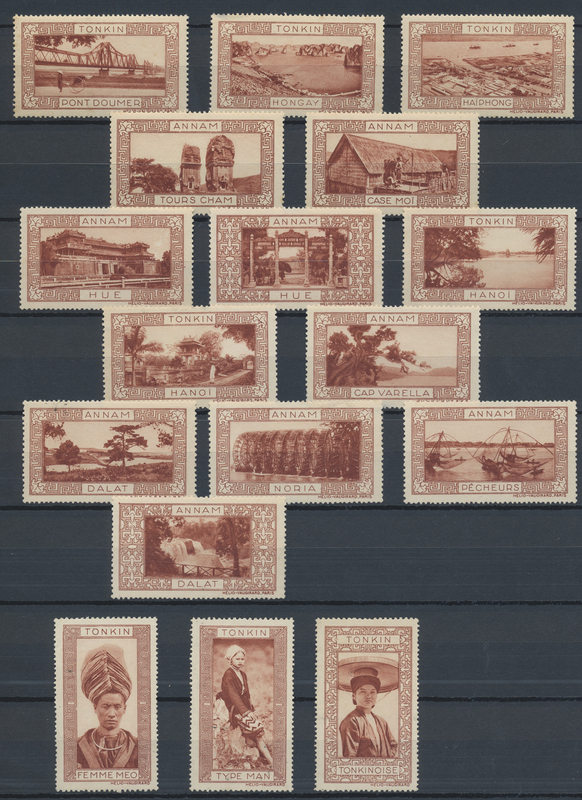 38259 ungebraucht ohne Gummi (unused without gum) (*) 1960, lot of 4 epreuve d'artiste in sepia: Peru (2), Cambodia and Ivory Coast. 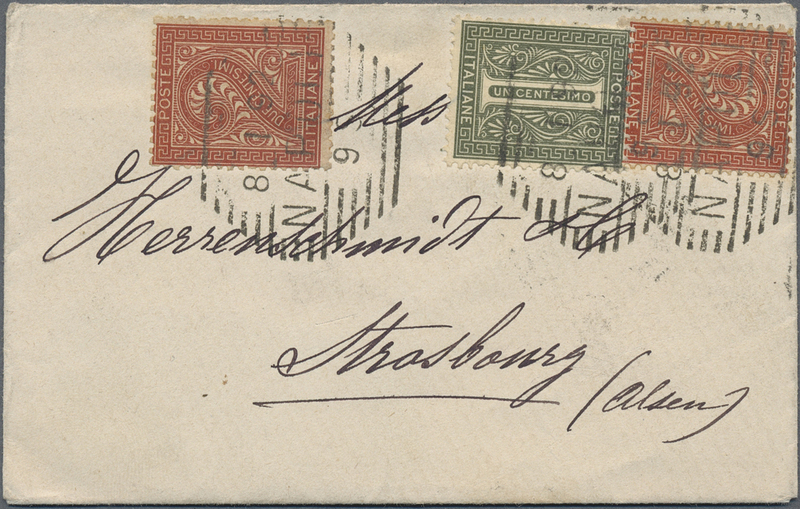 38262 gestempelt (marked) ungebraucht (hinged) * postfrisch (never hinged) ** 1870/1990, (ca. 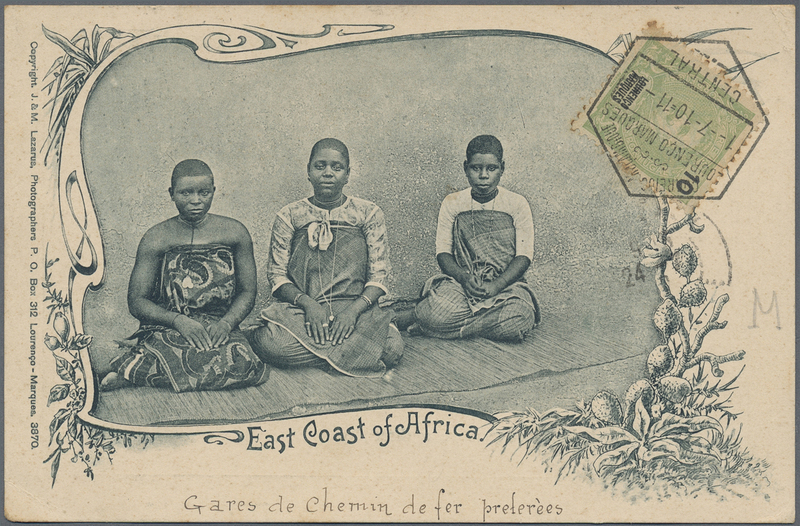 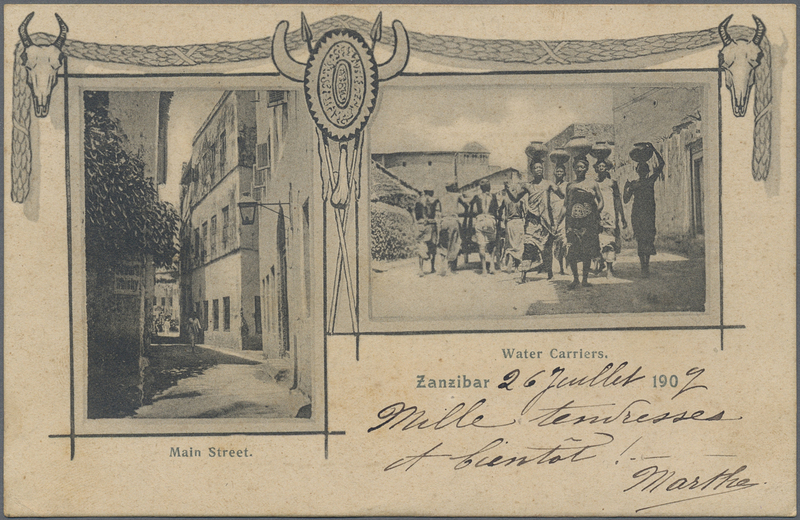 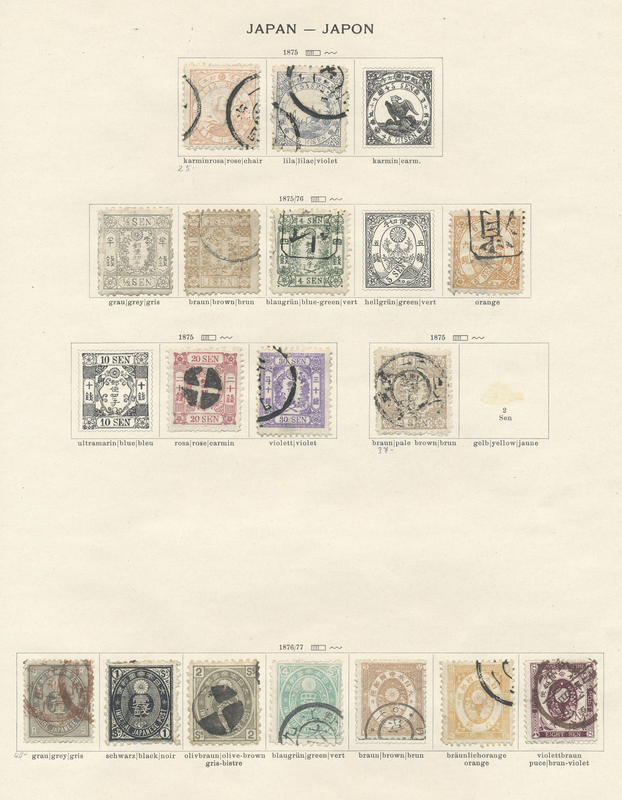 ), various collections and stock from all over the world in 70 albums and stockbooks, mainly from Africa and the Middle East, also incl. 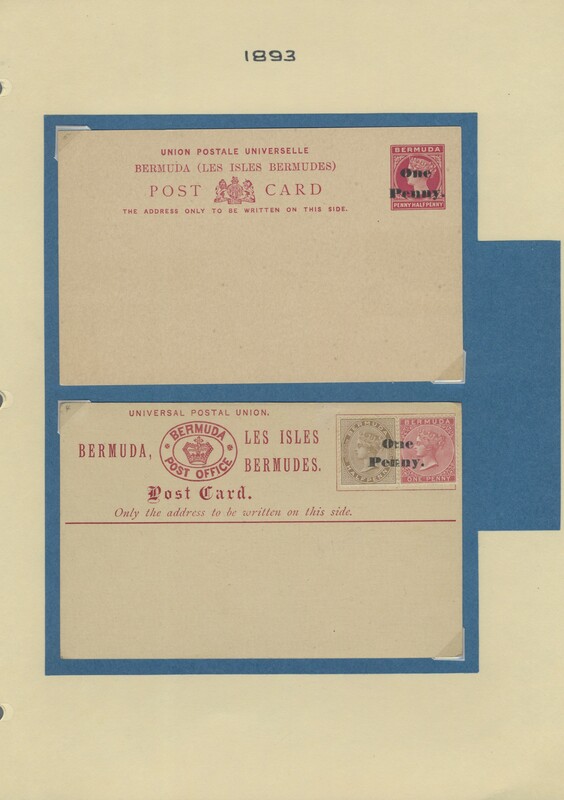 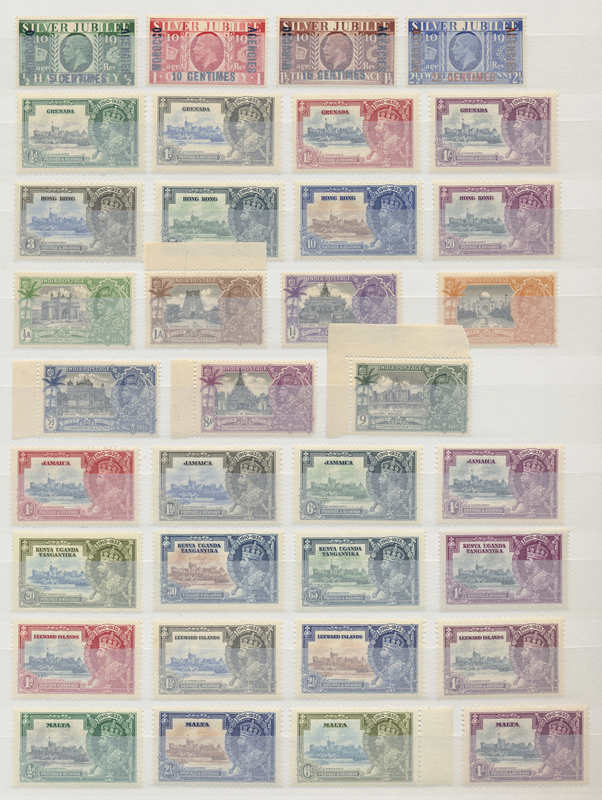 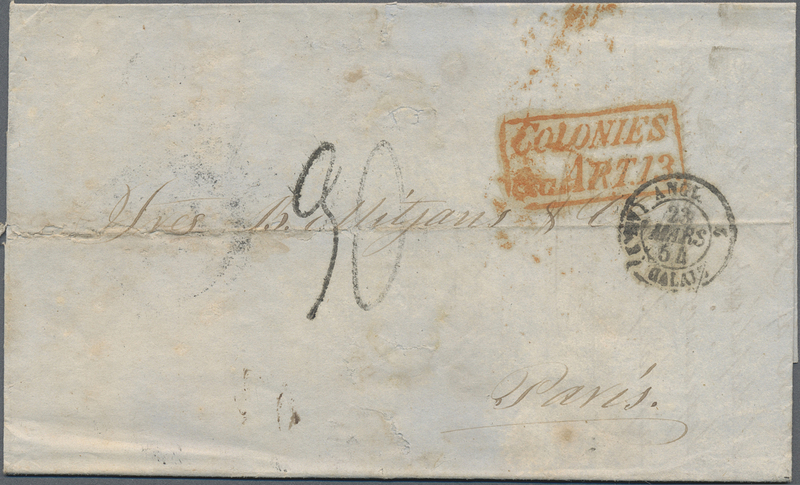 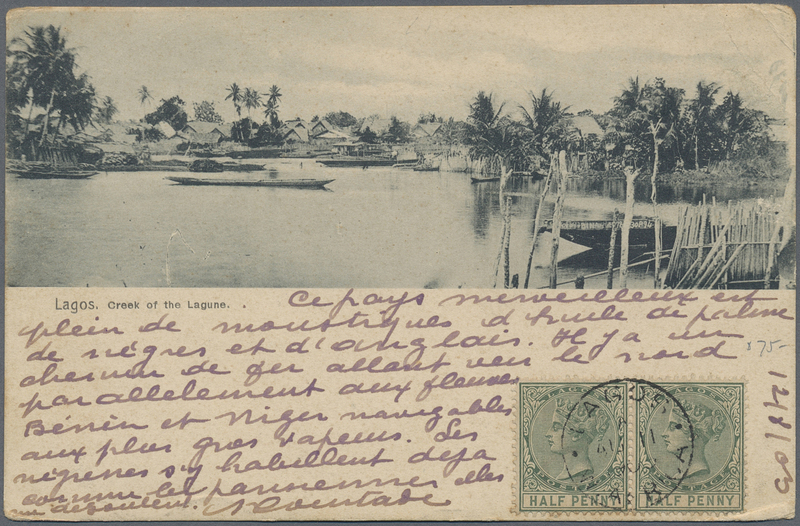 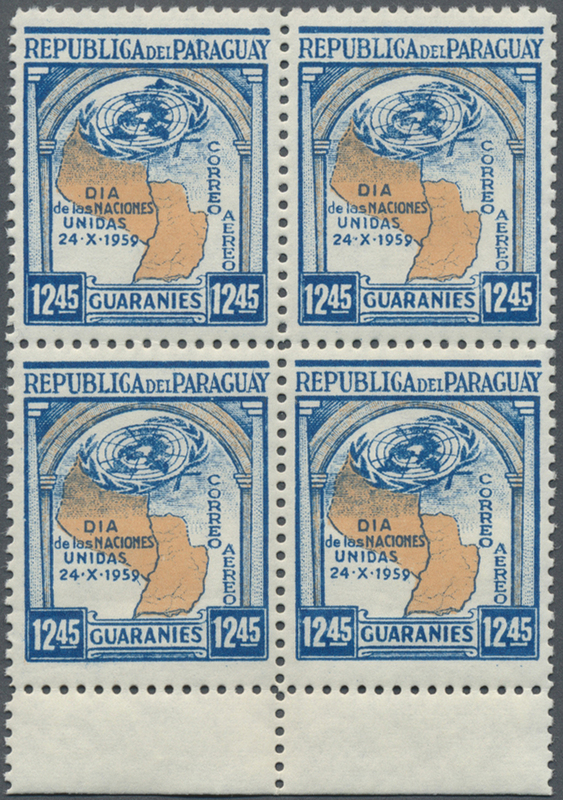 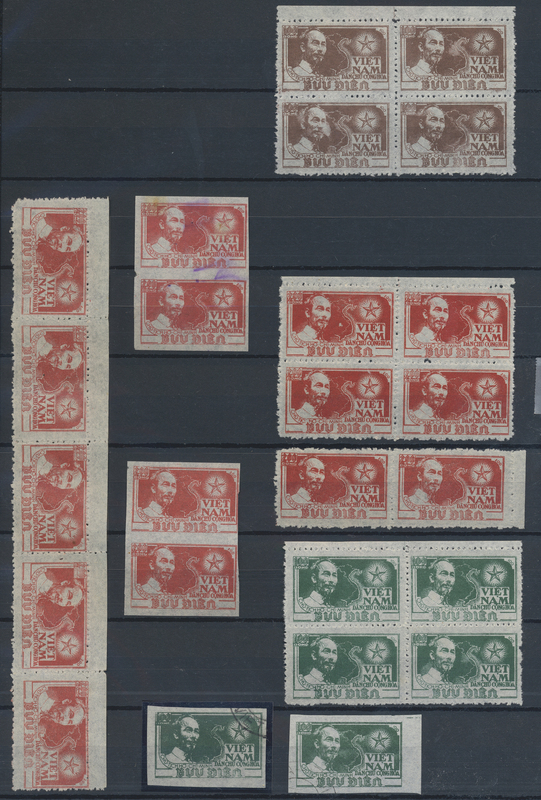 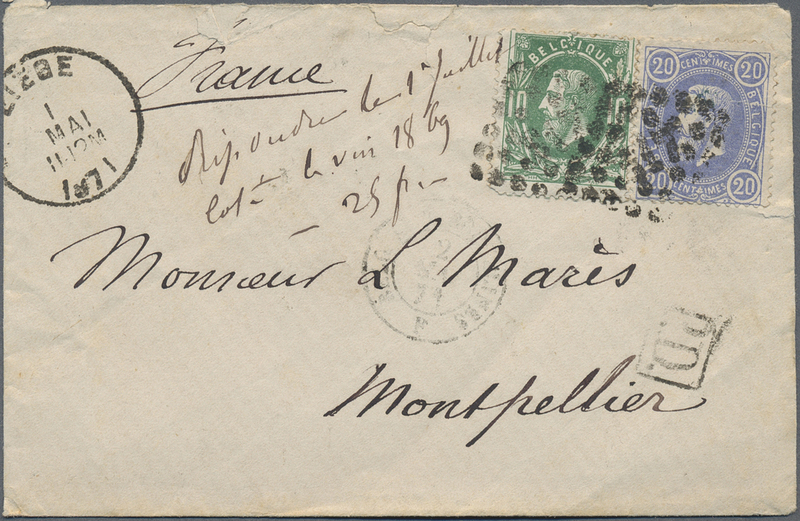 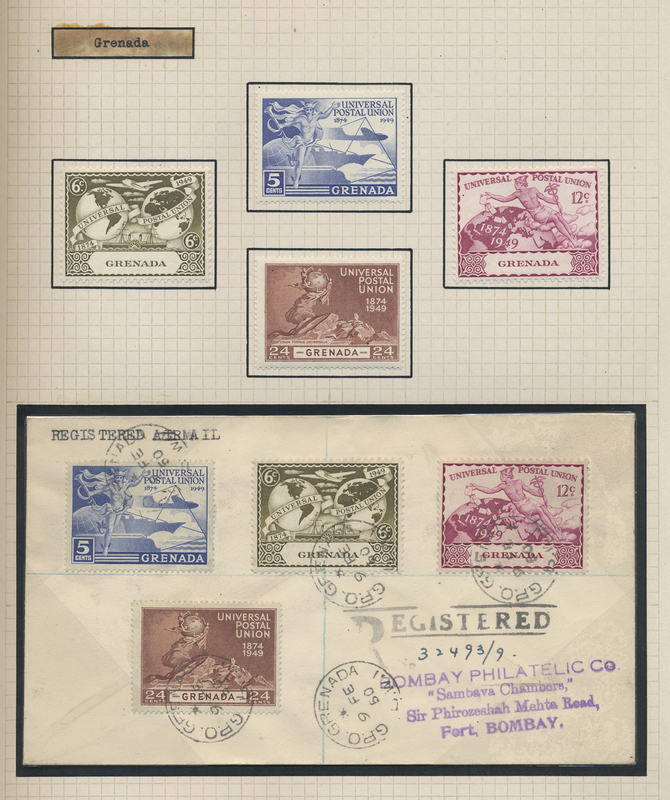 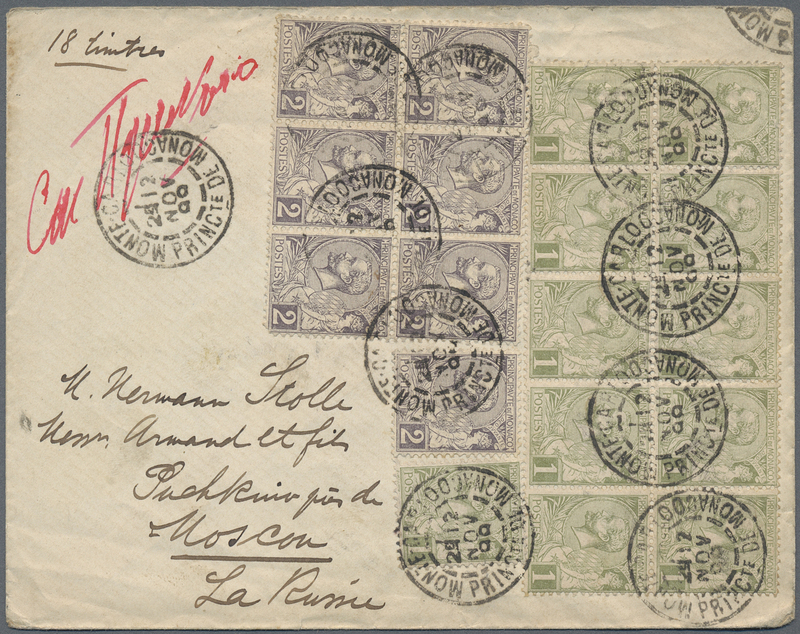 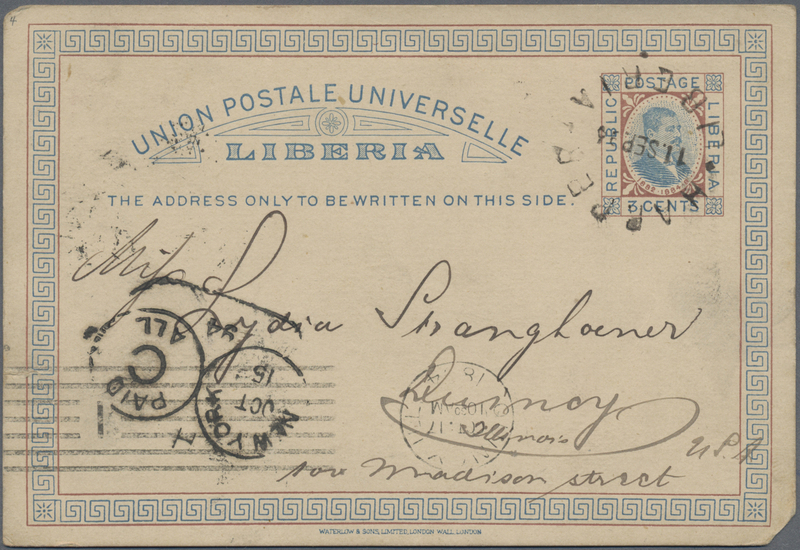 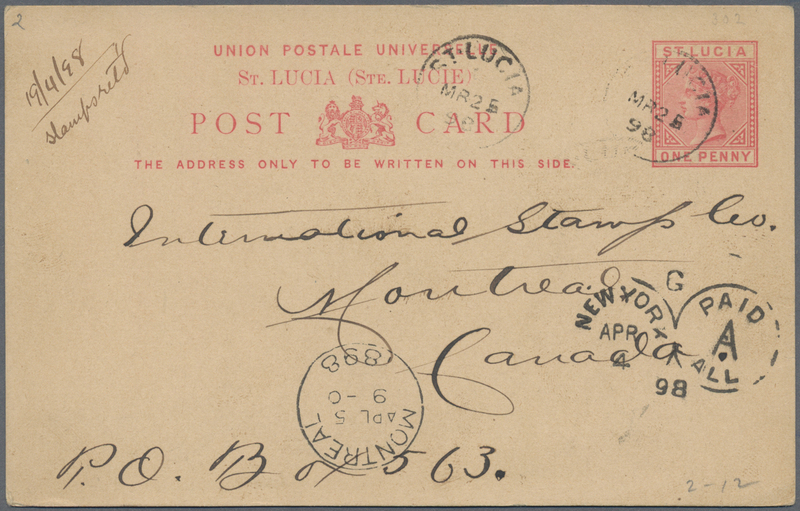 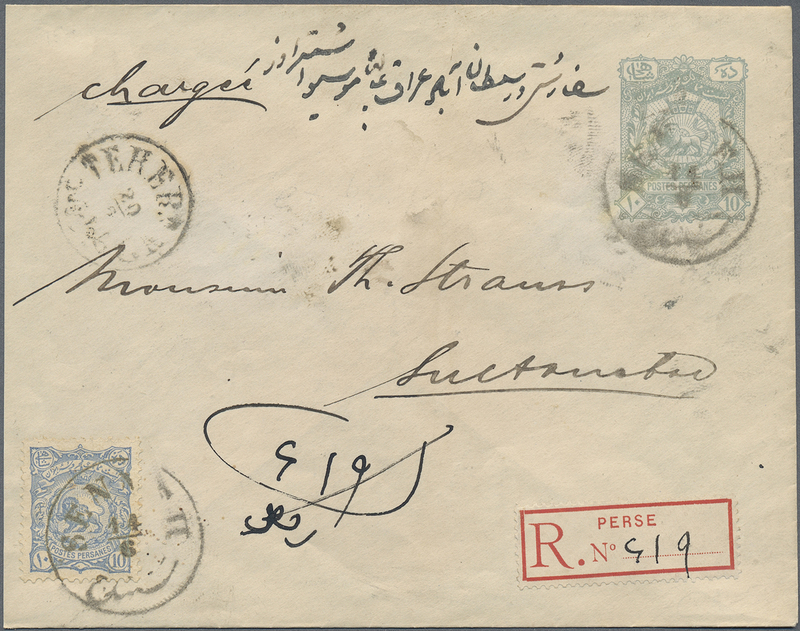 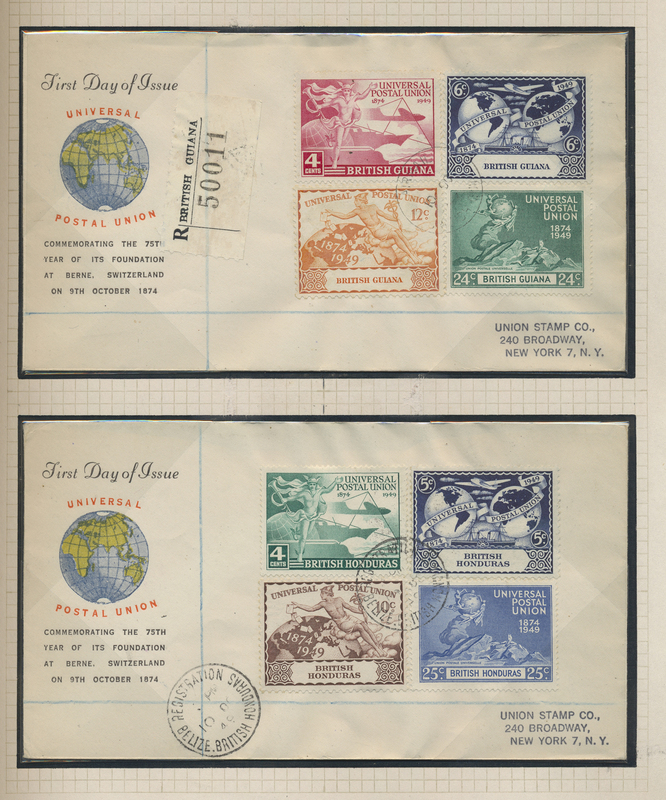 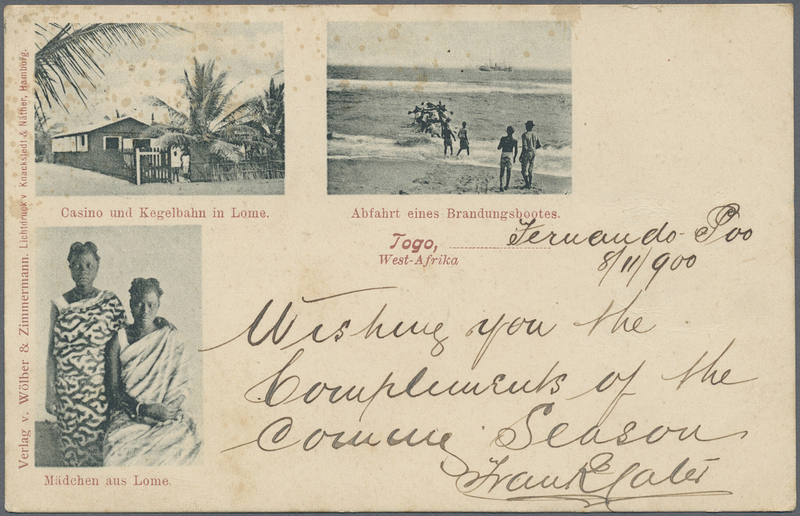 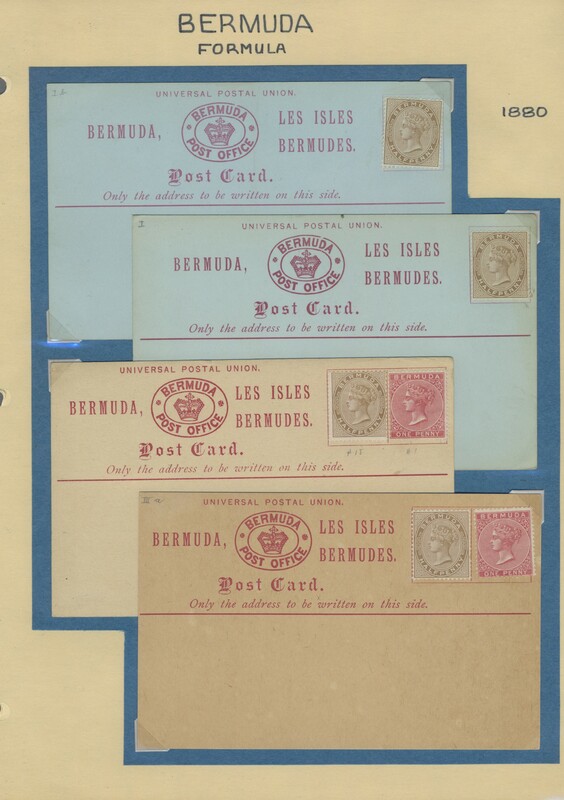 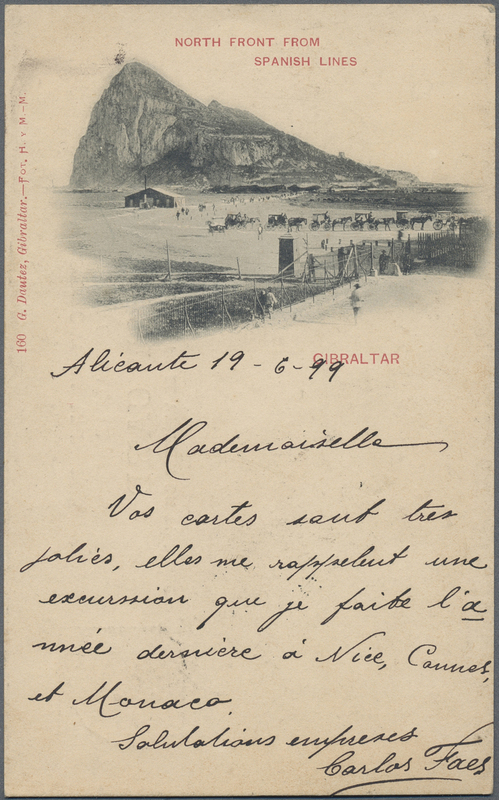 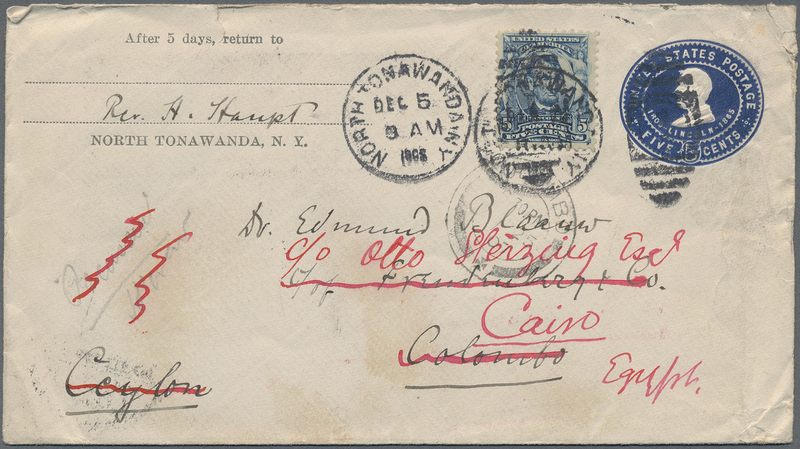 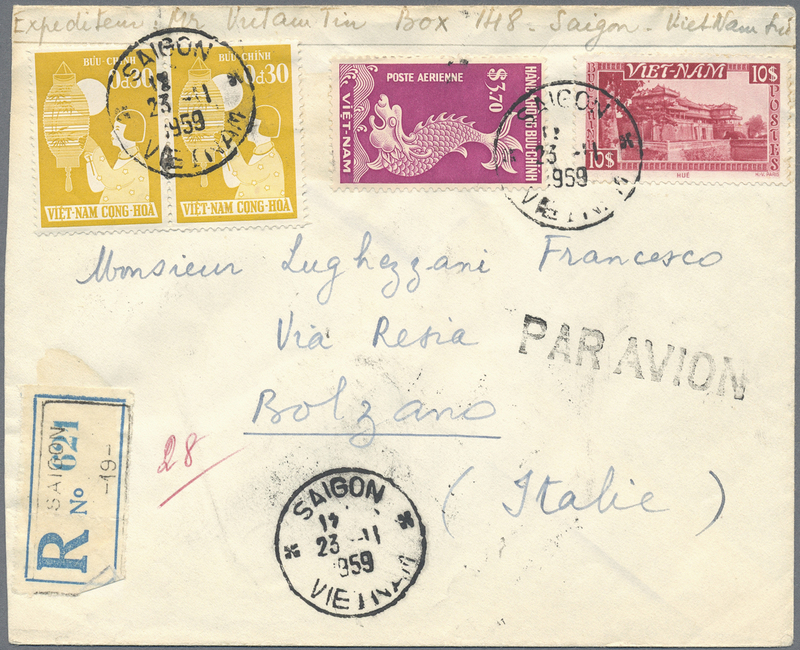 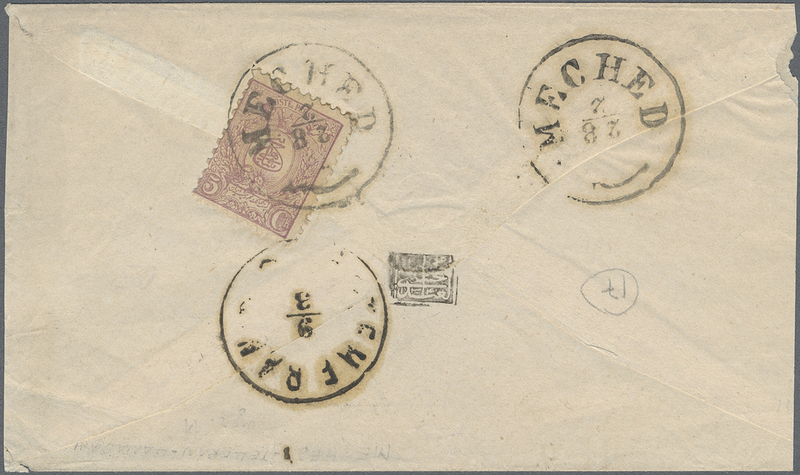 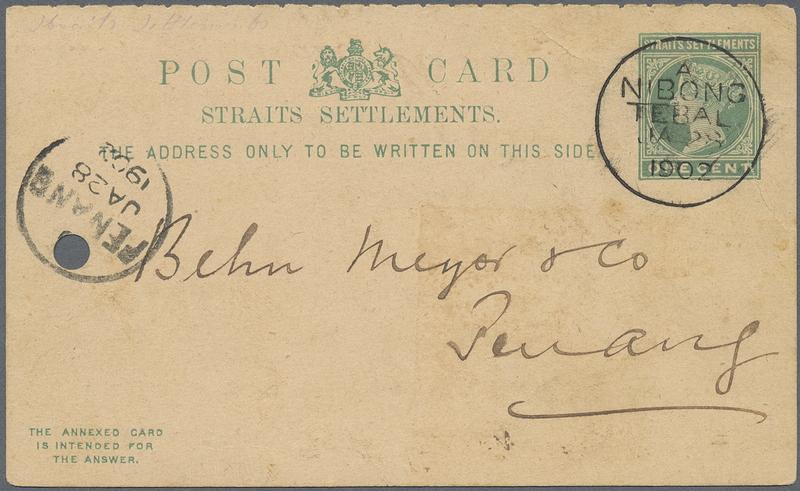 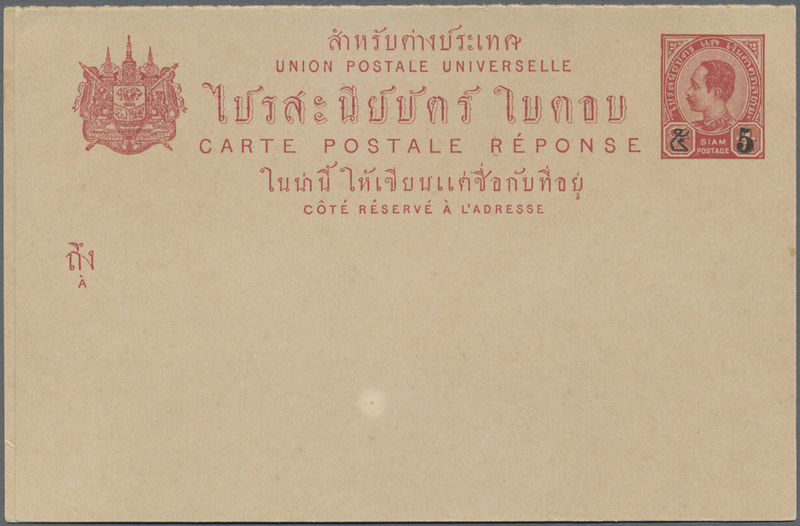 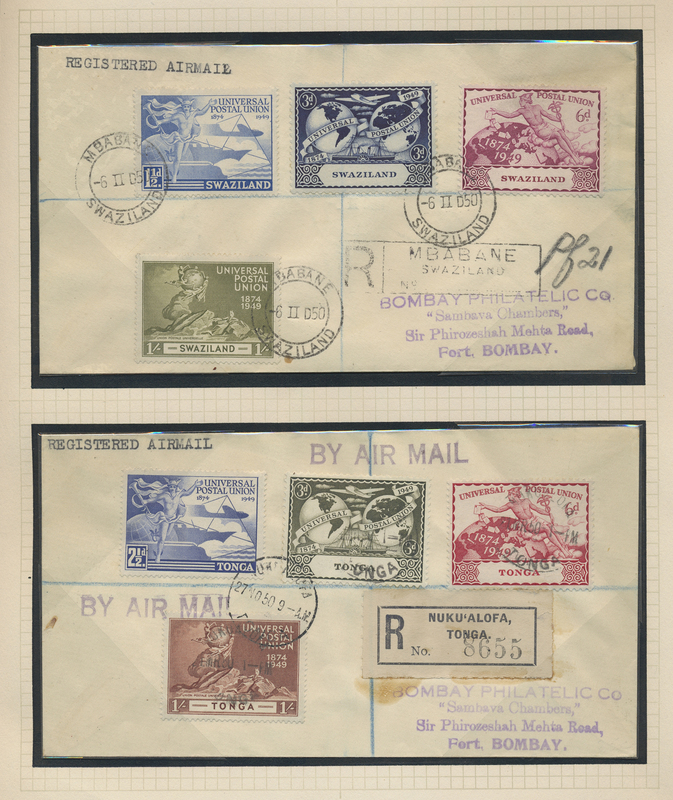 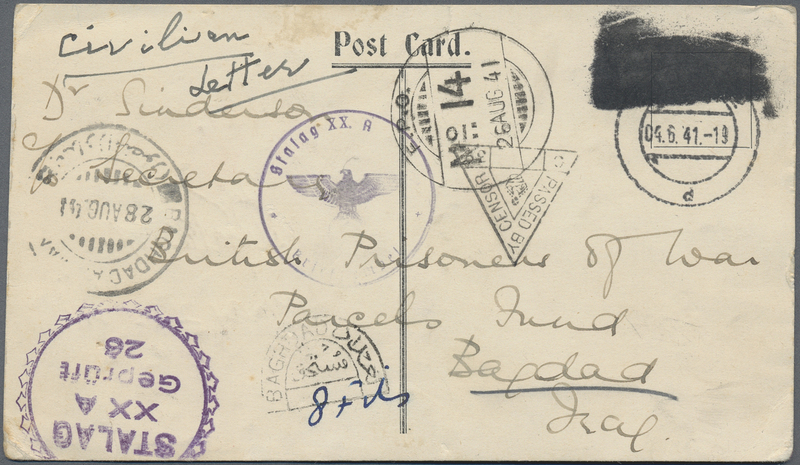 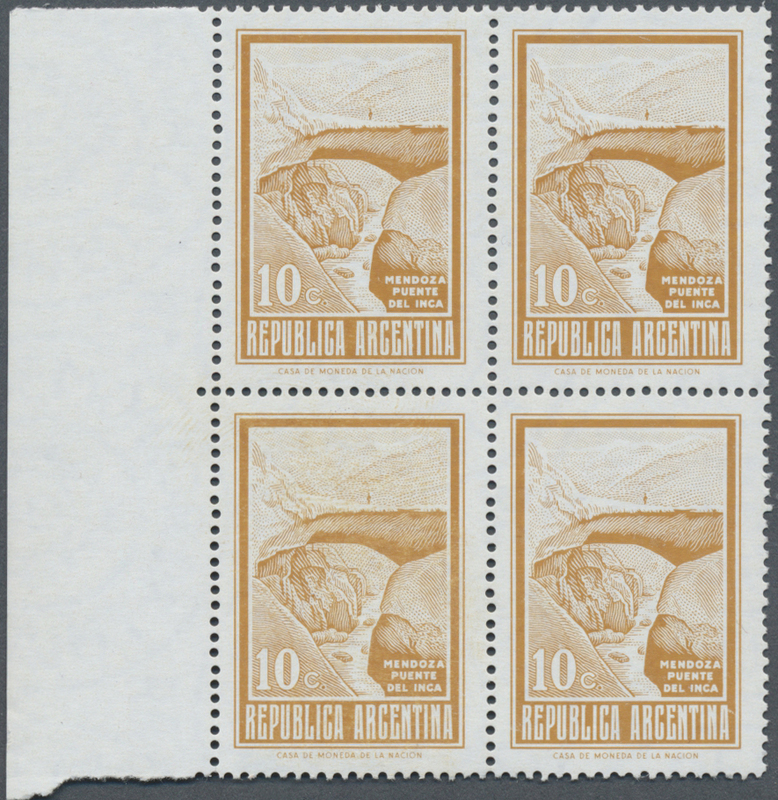 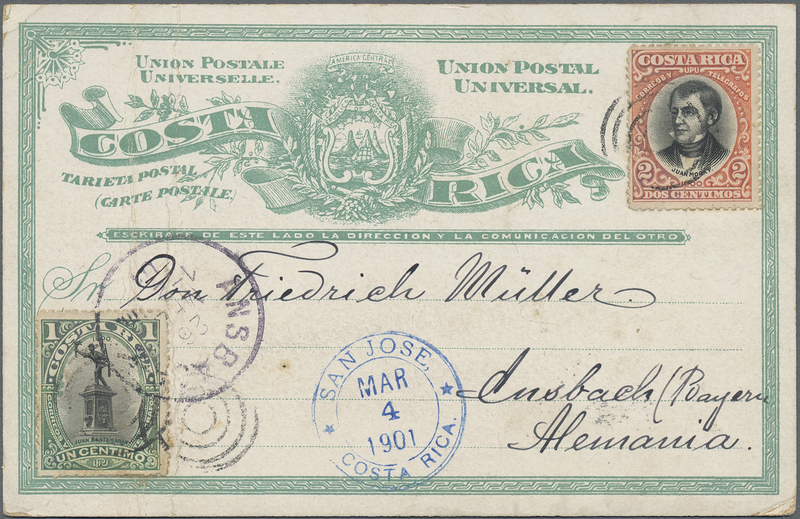 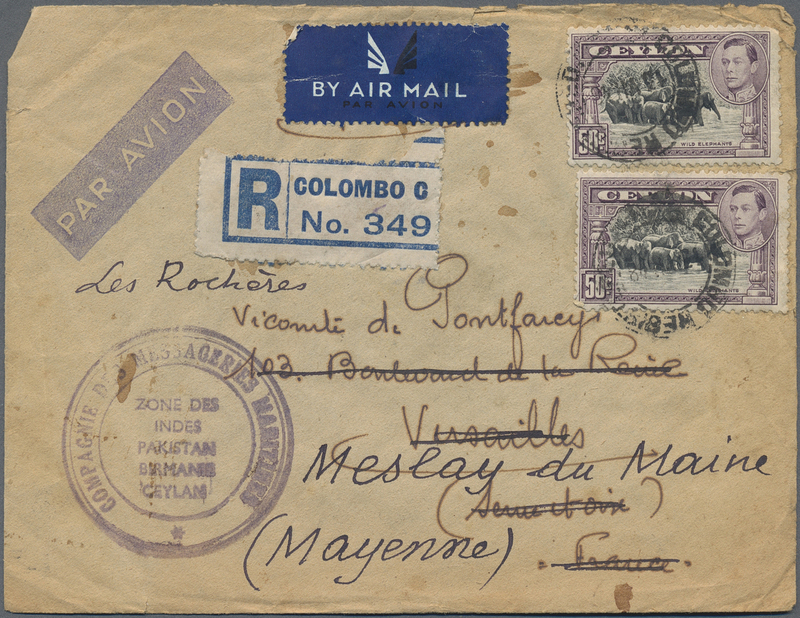 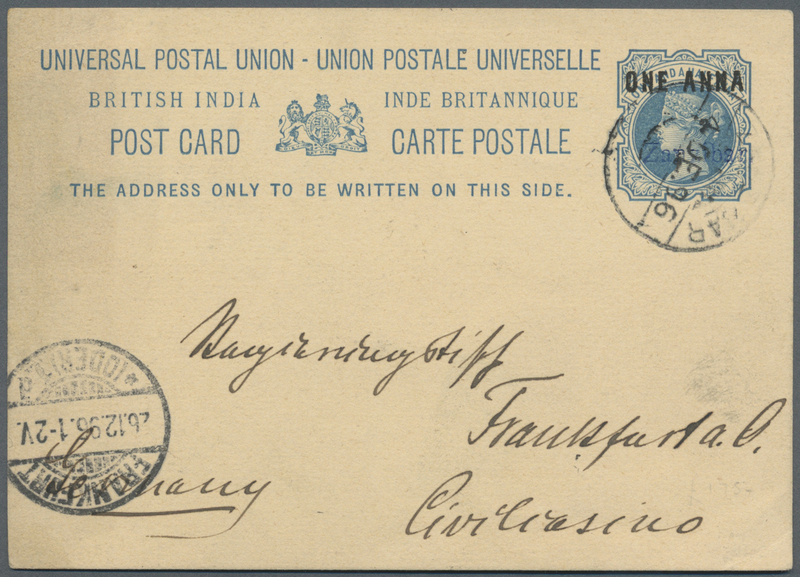 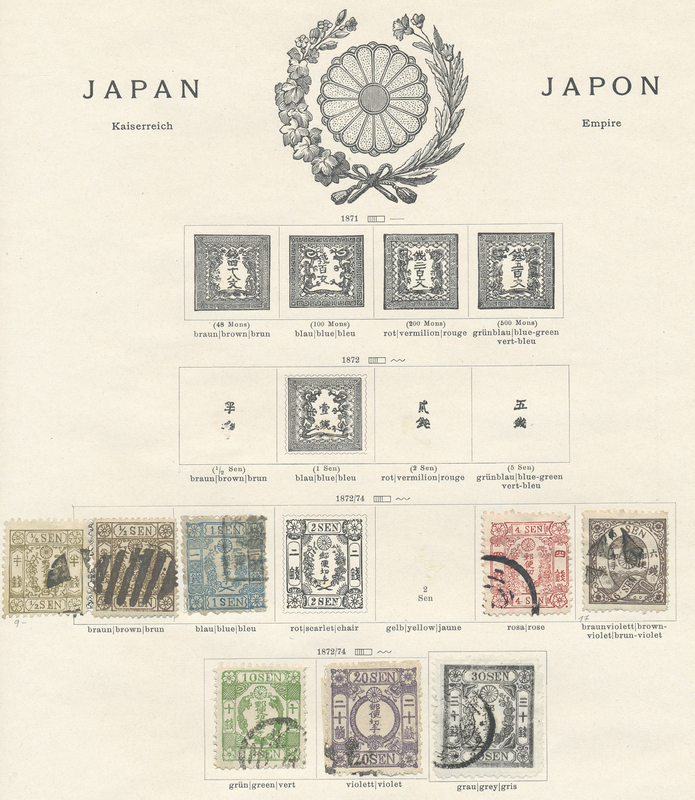 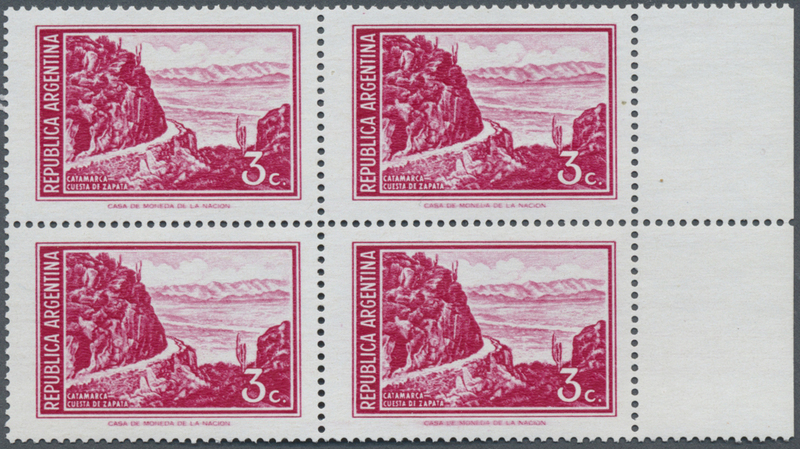 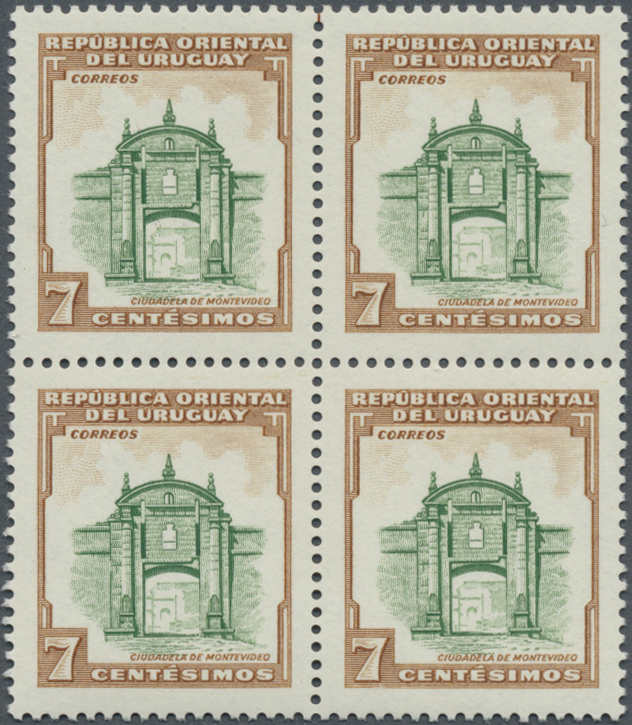 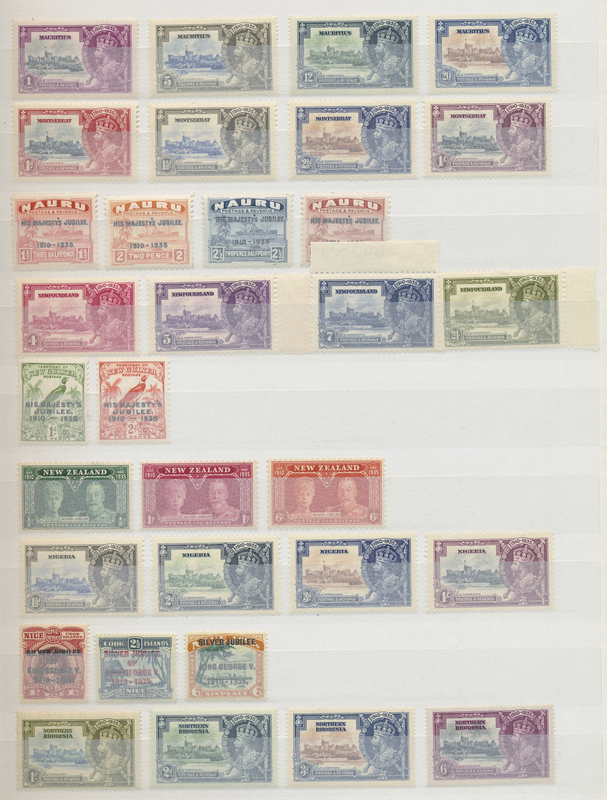 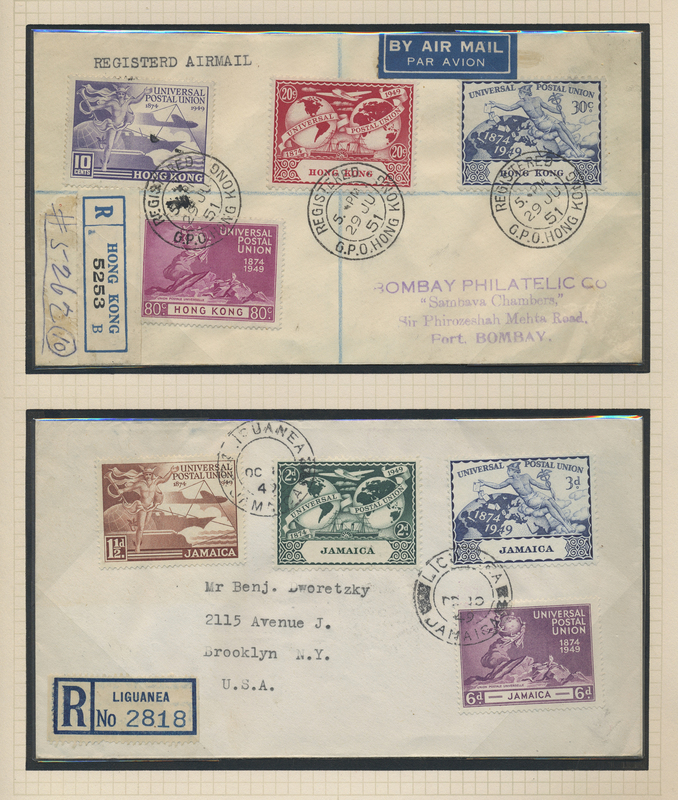 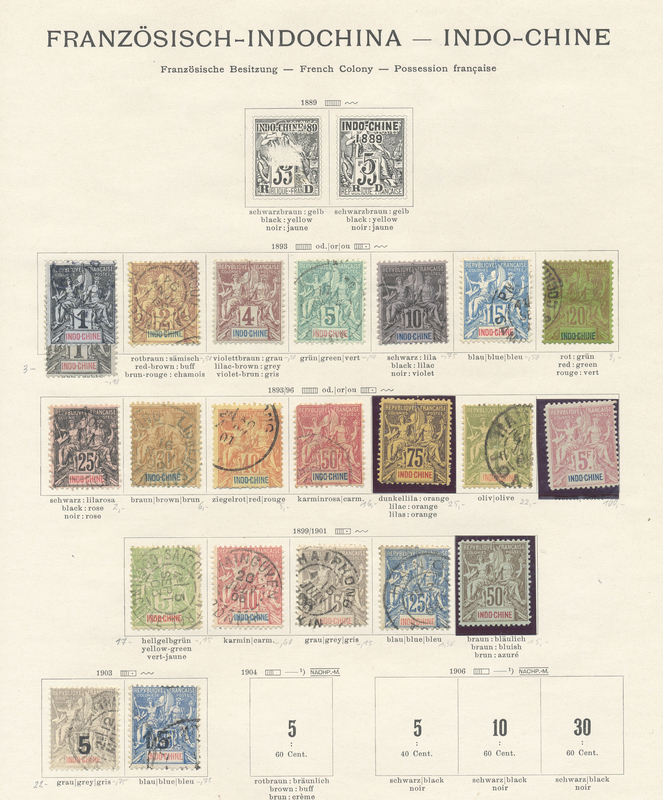 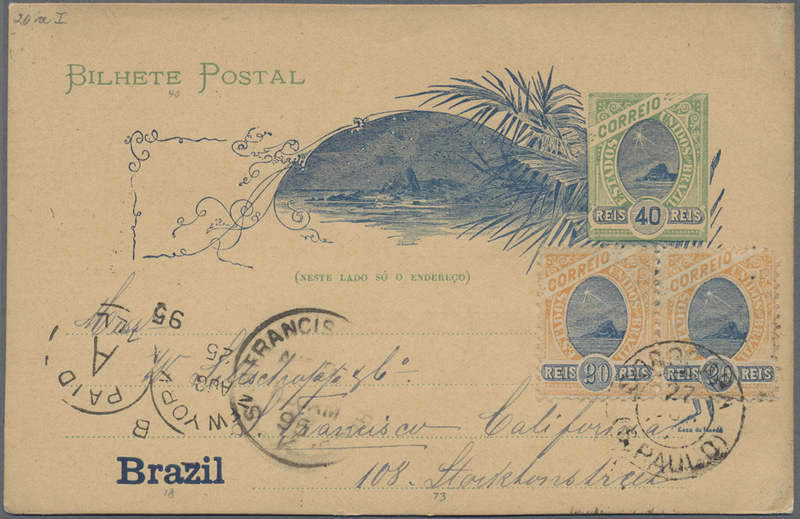 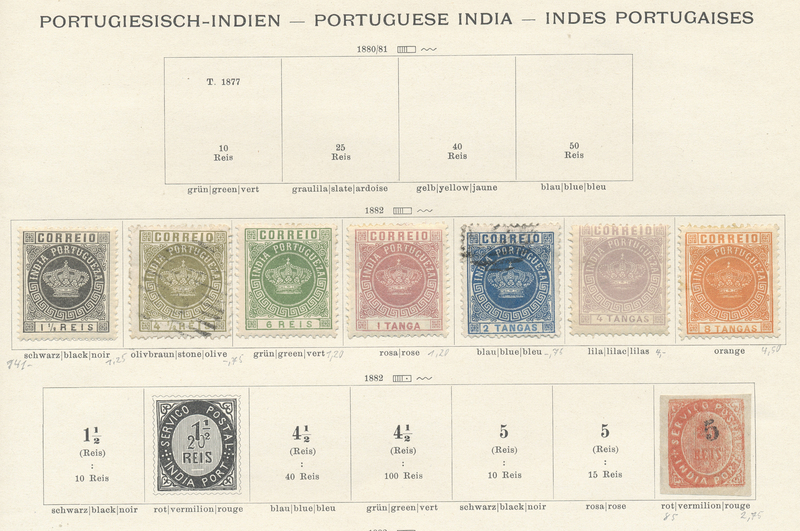 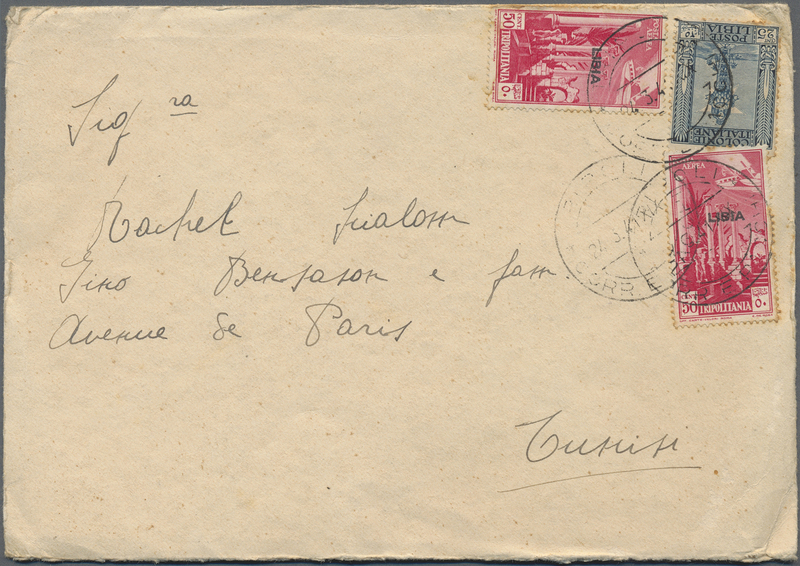 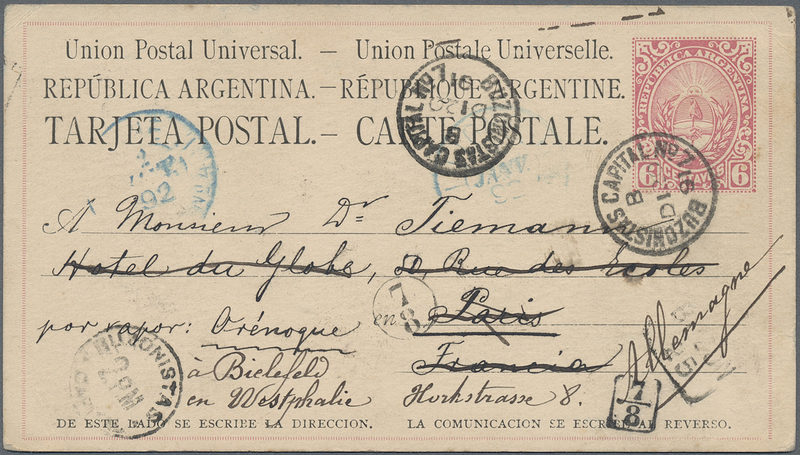 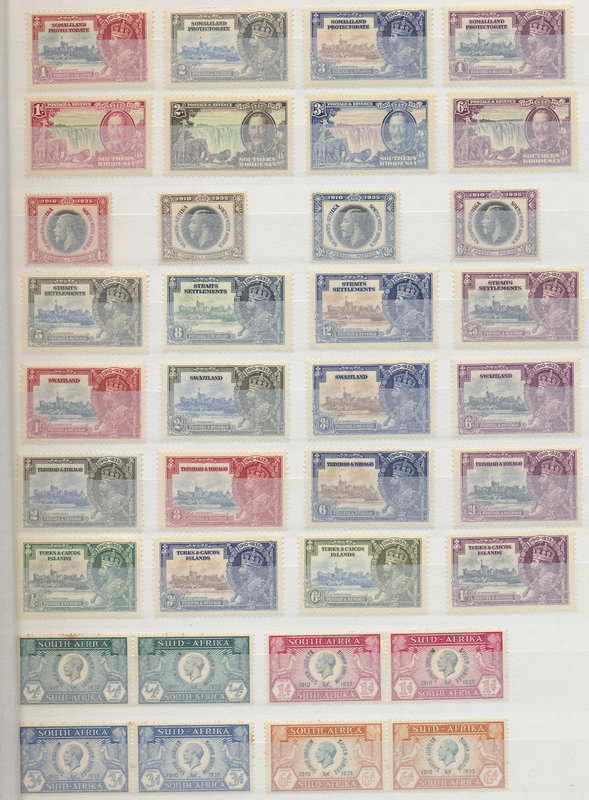 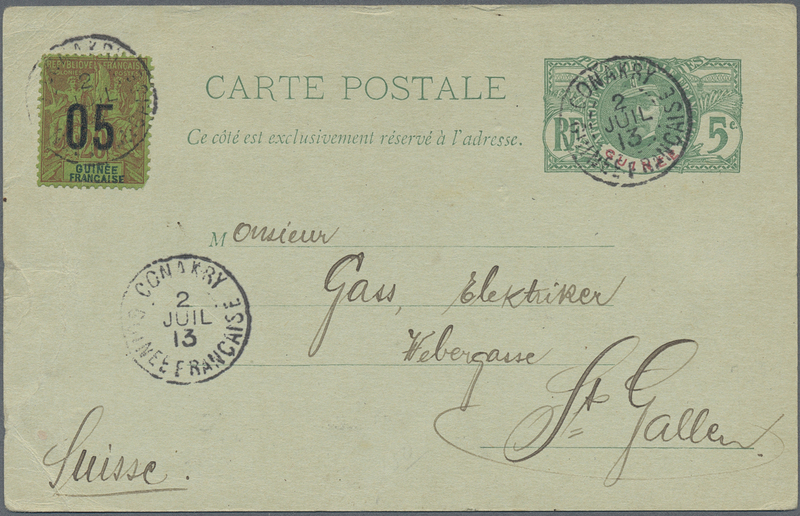 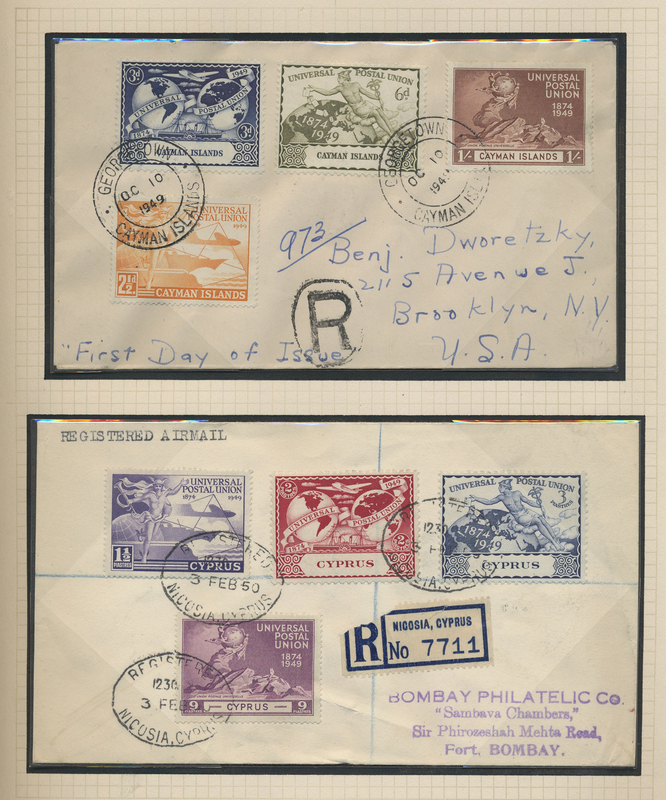 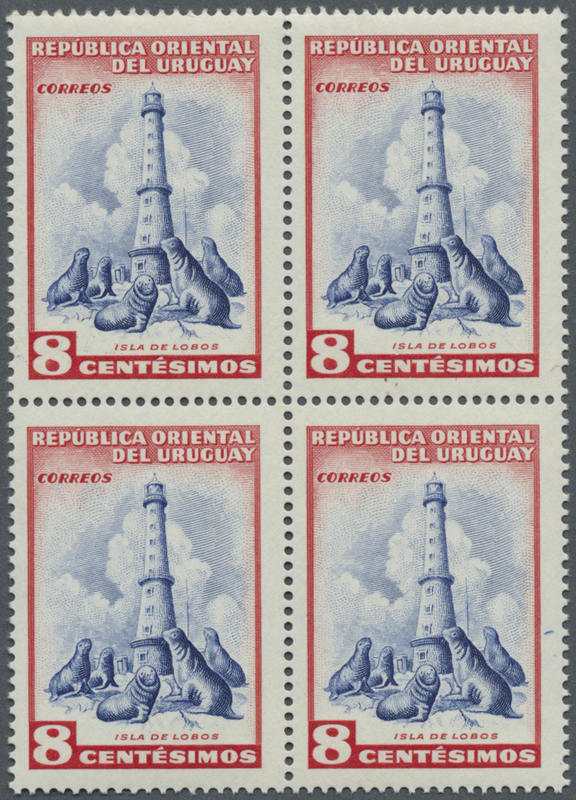 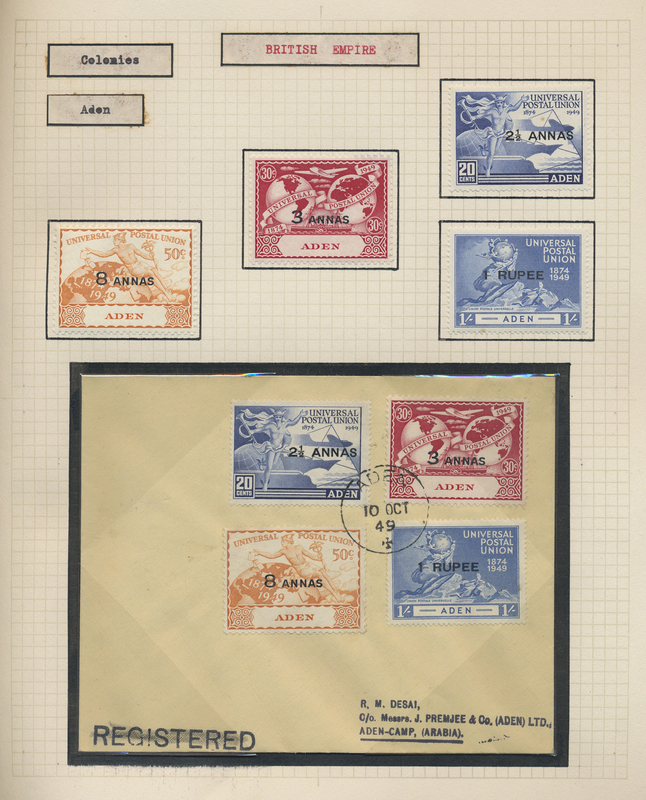 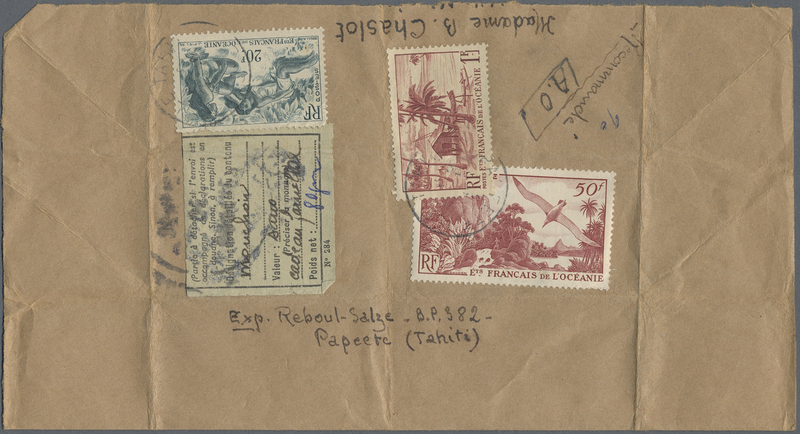 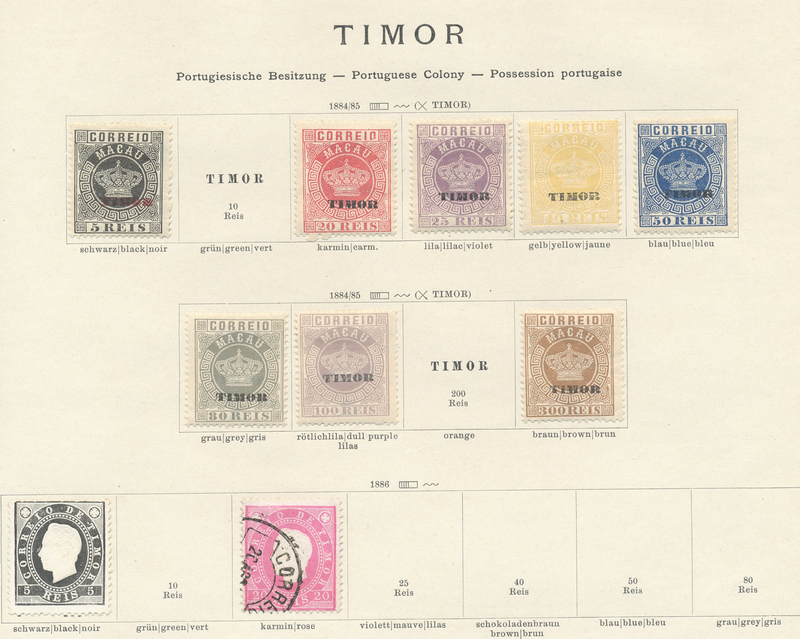 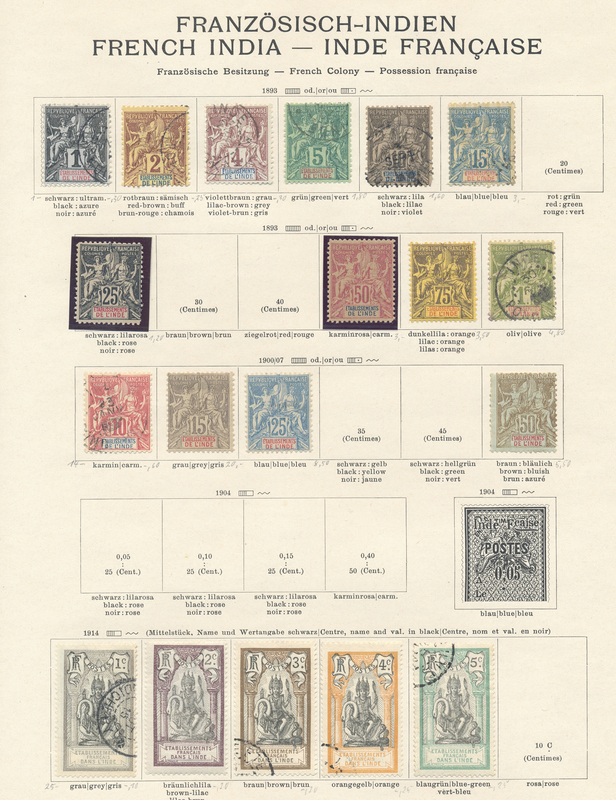 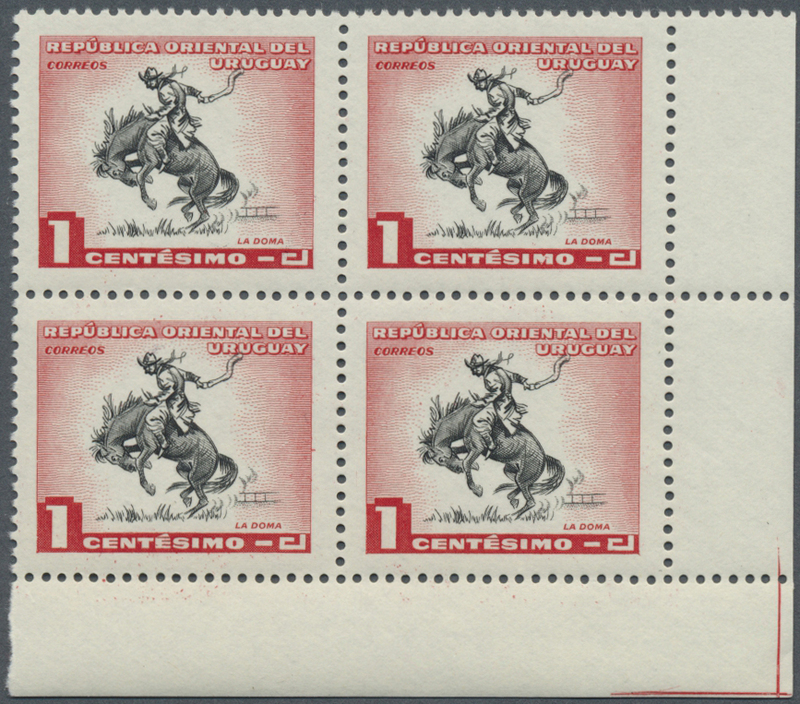 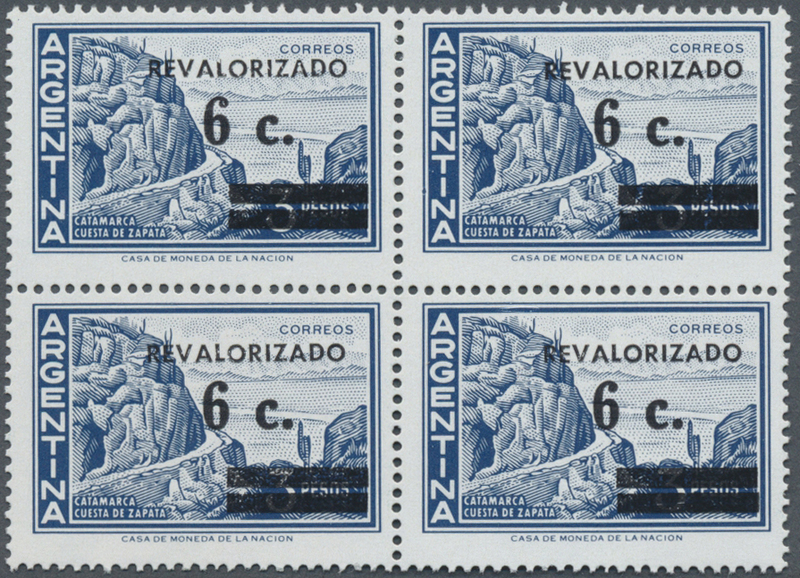 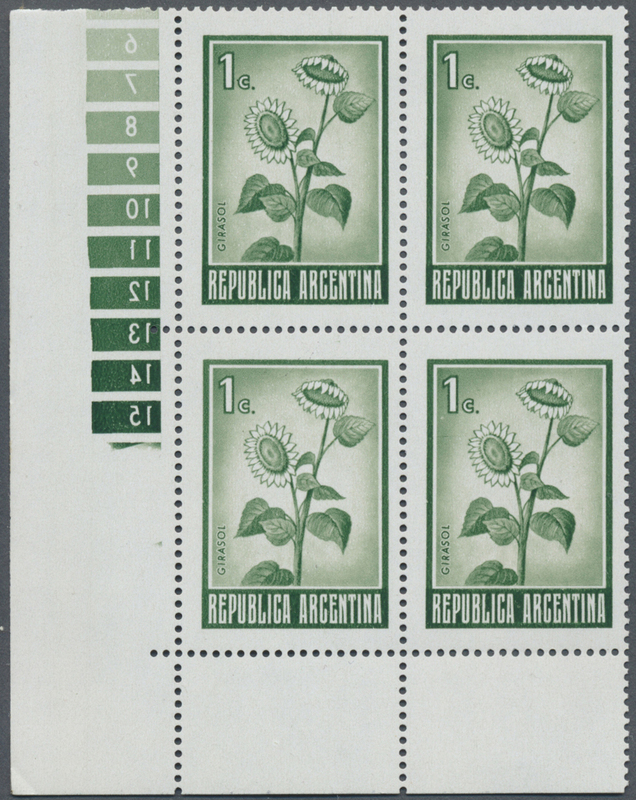 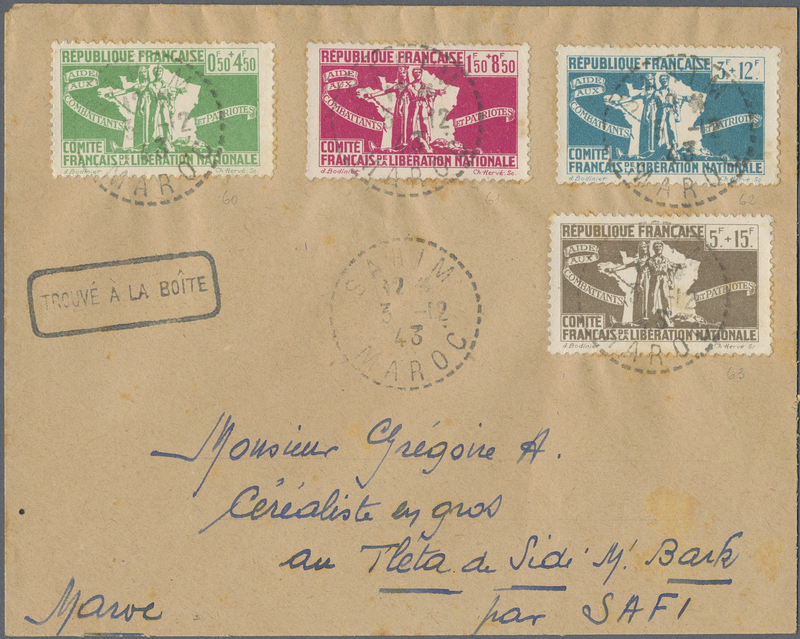 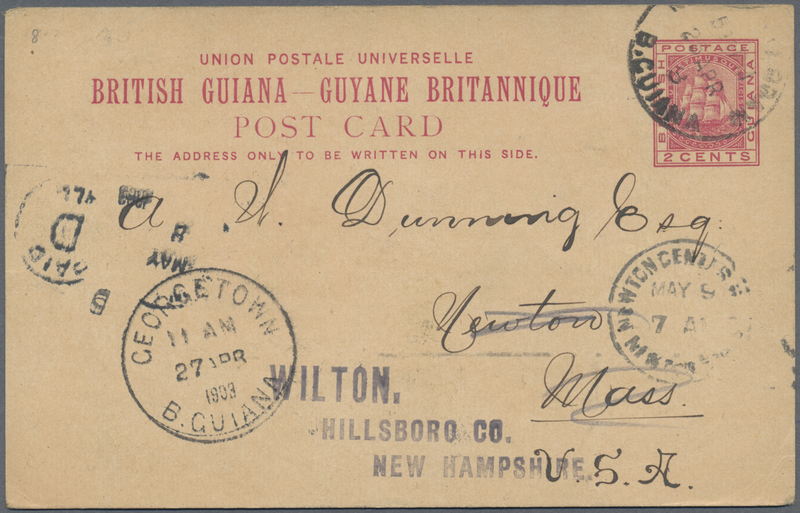 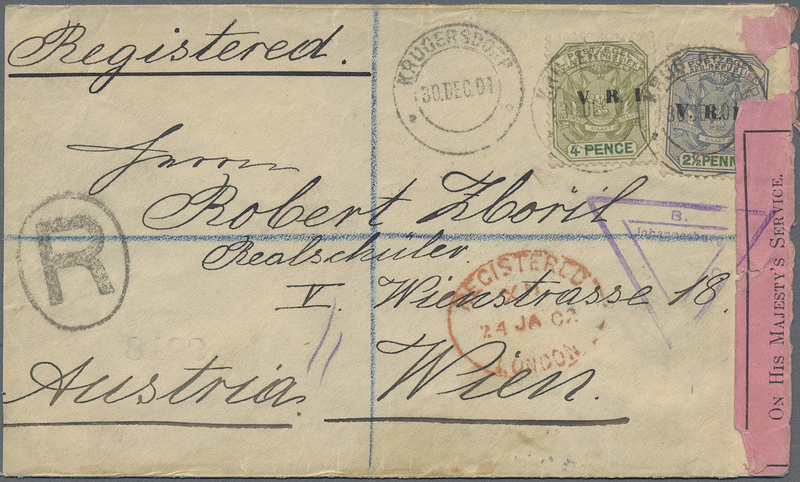 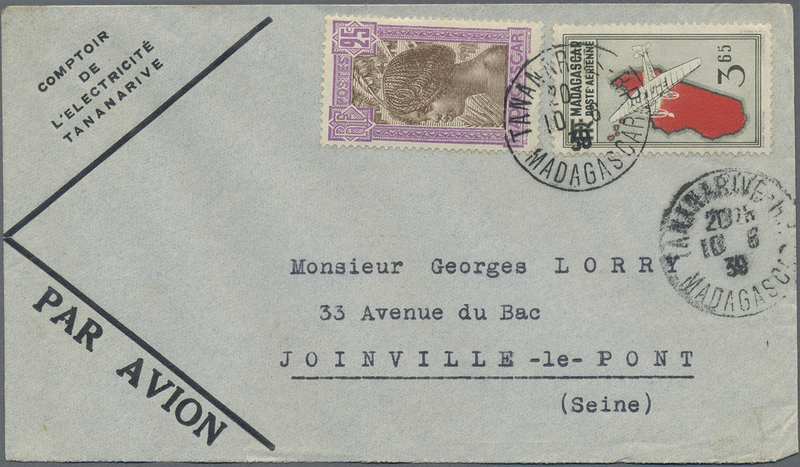 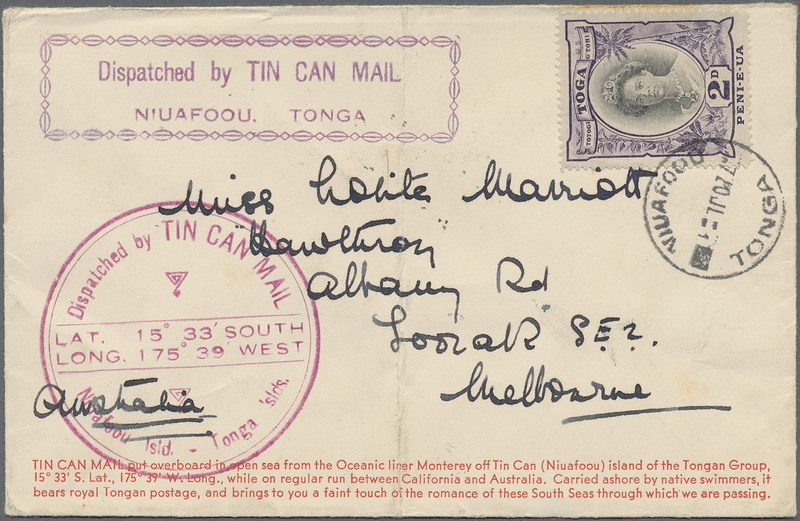 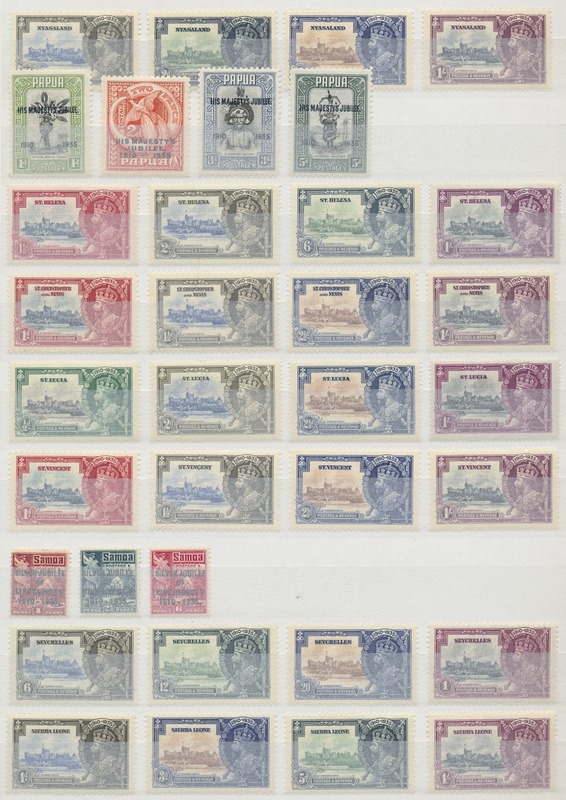 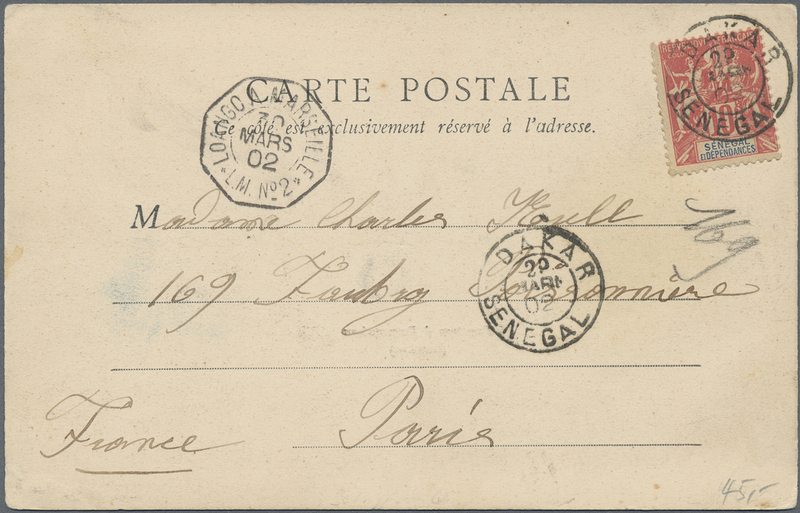 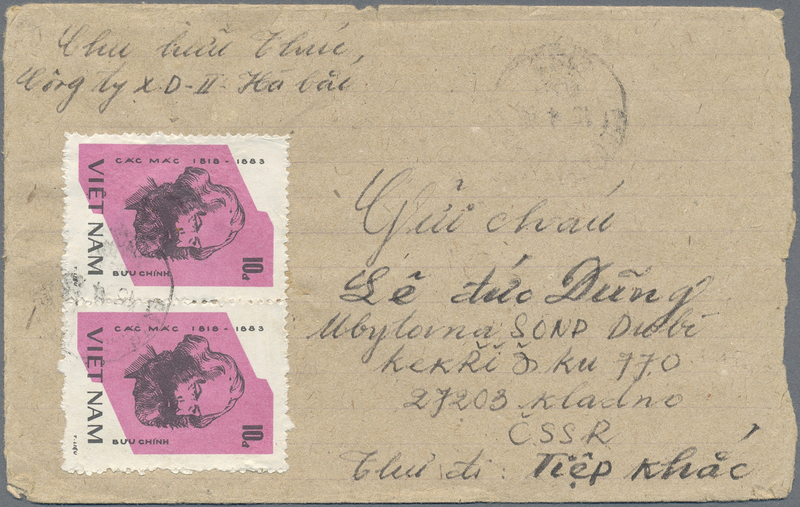 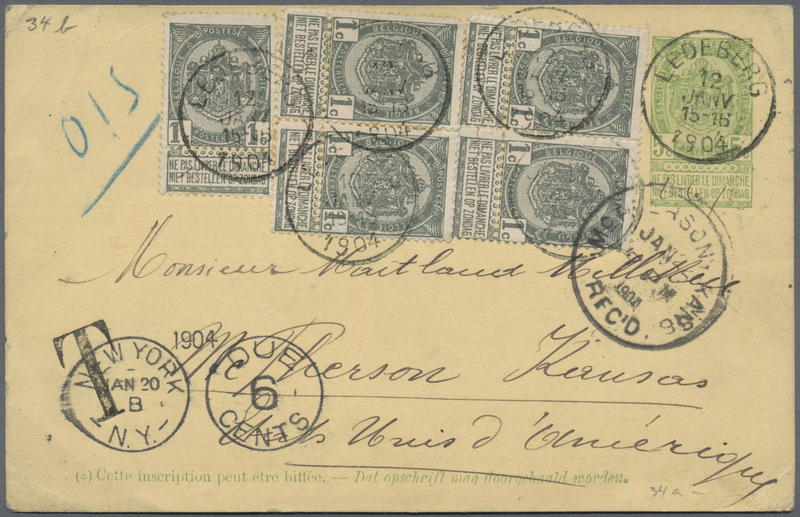 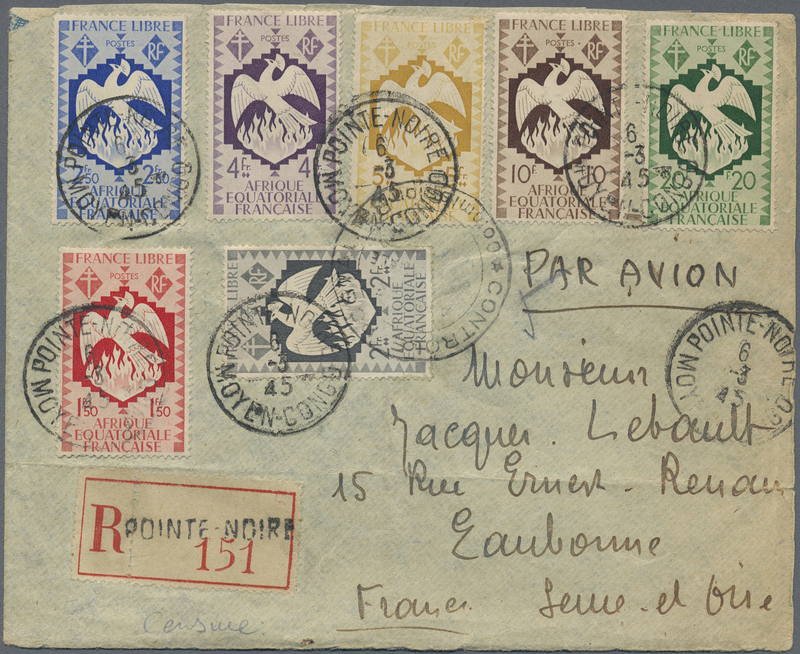 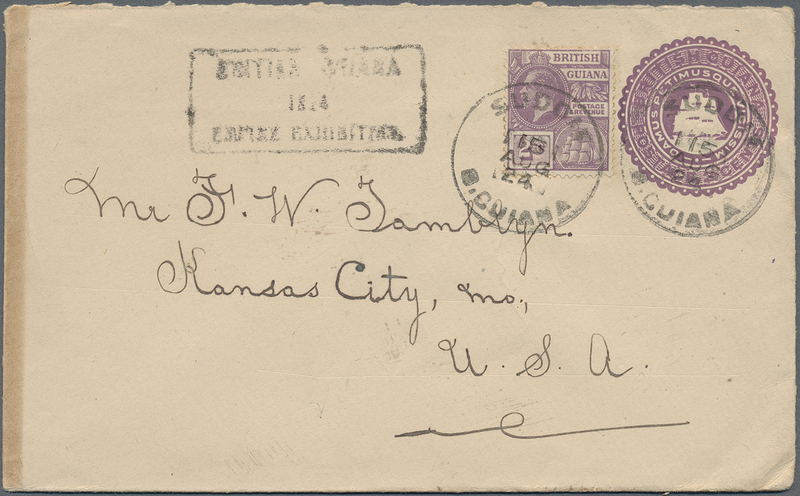 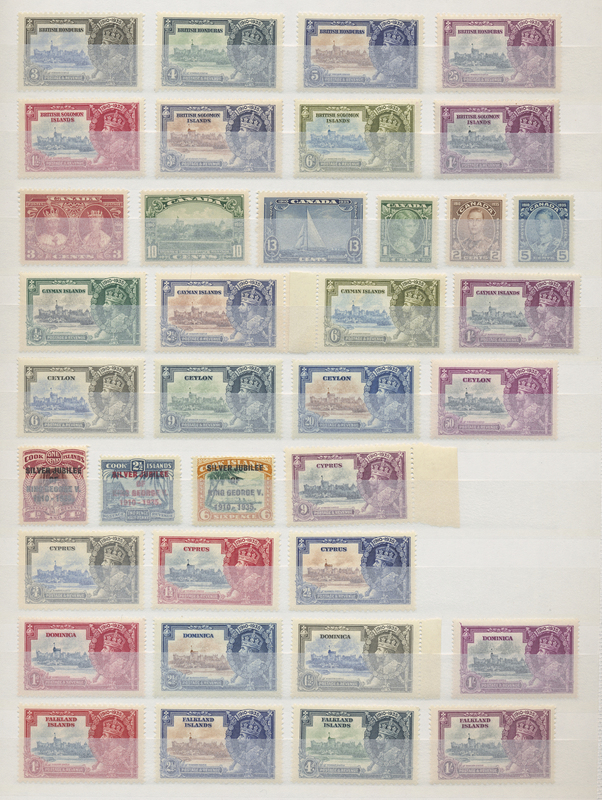 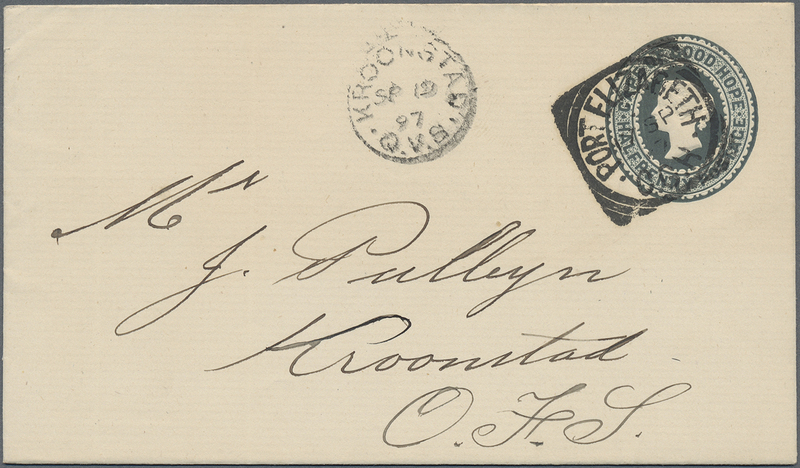 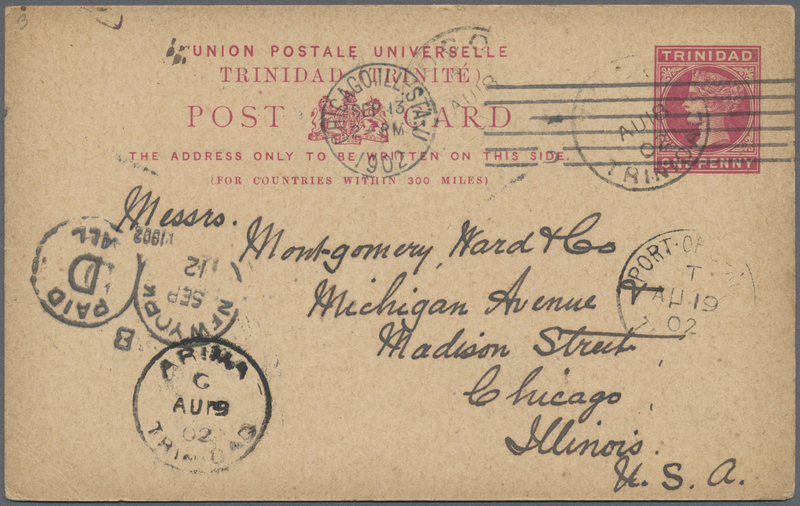 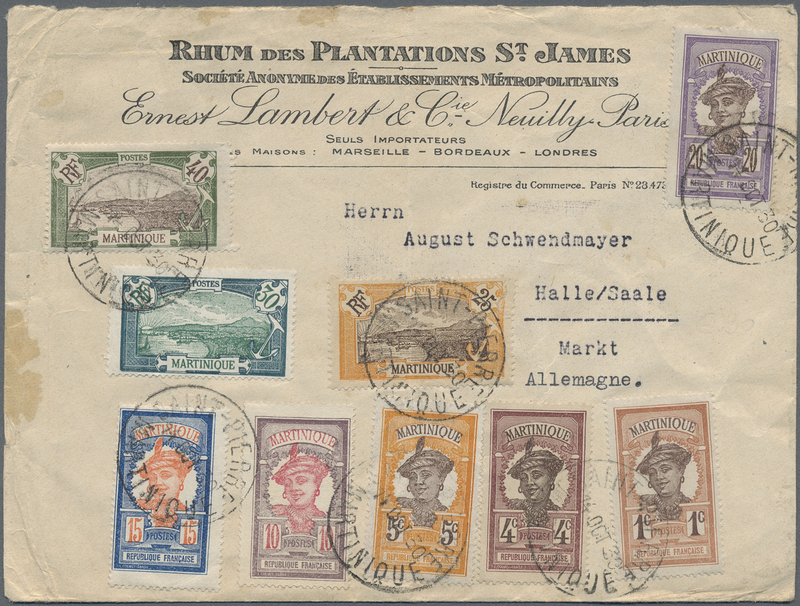 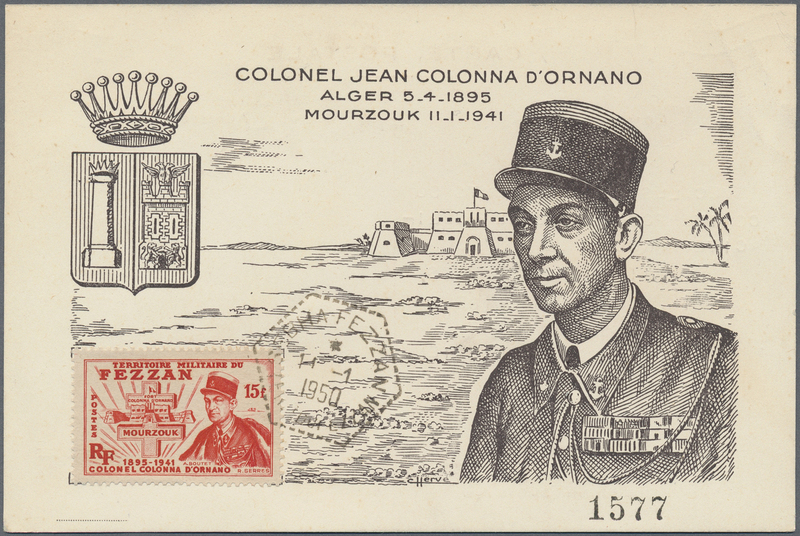 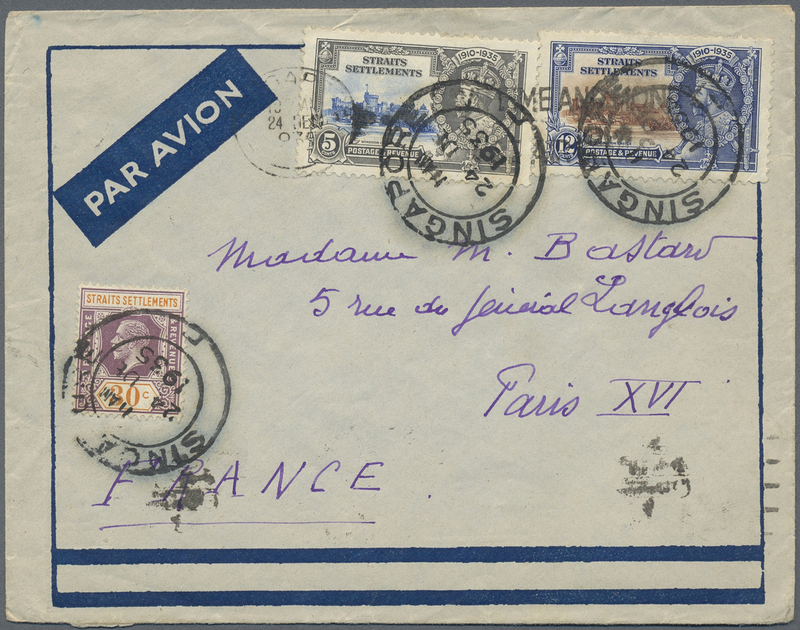 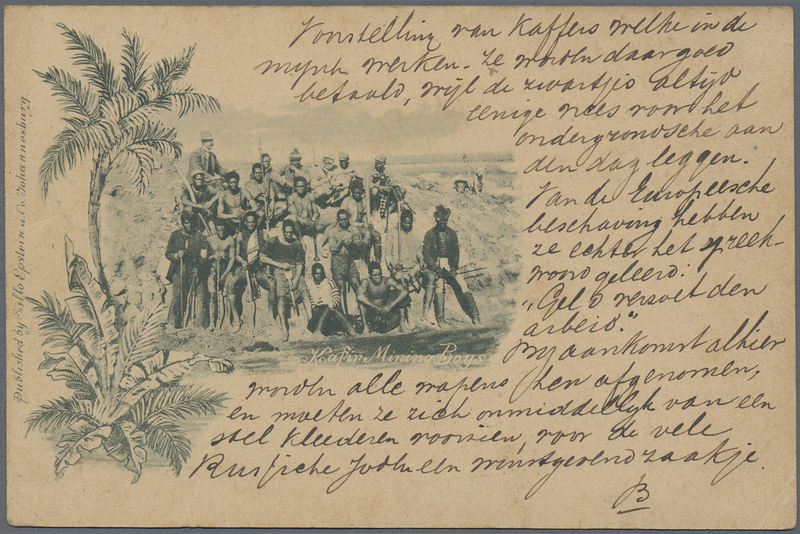 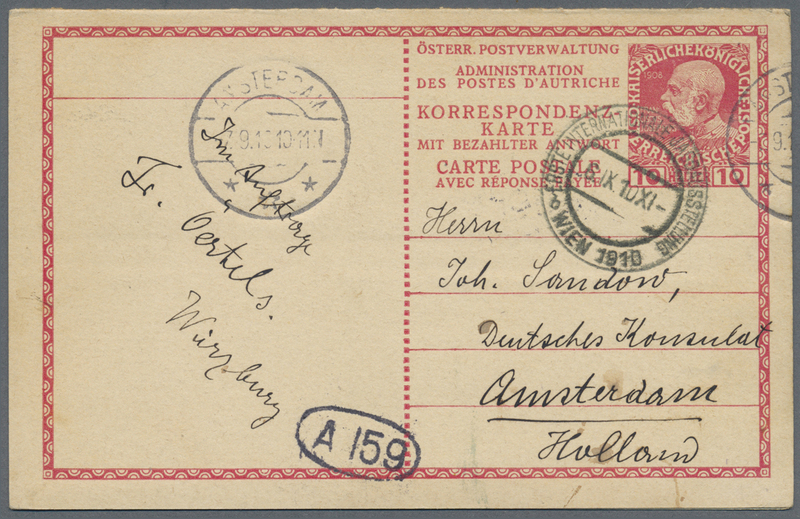 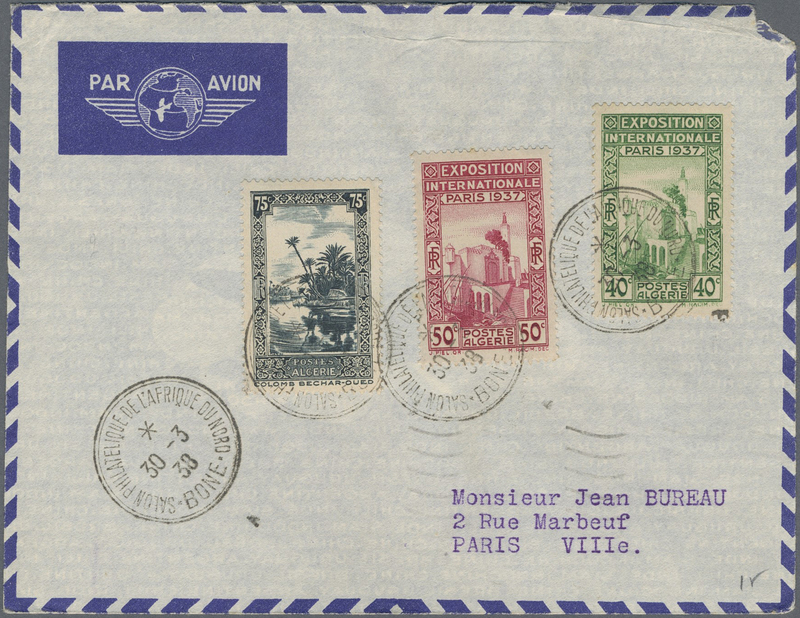 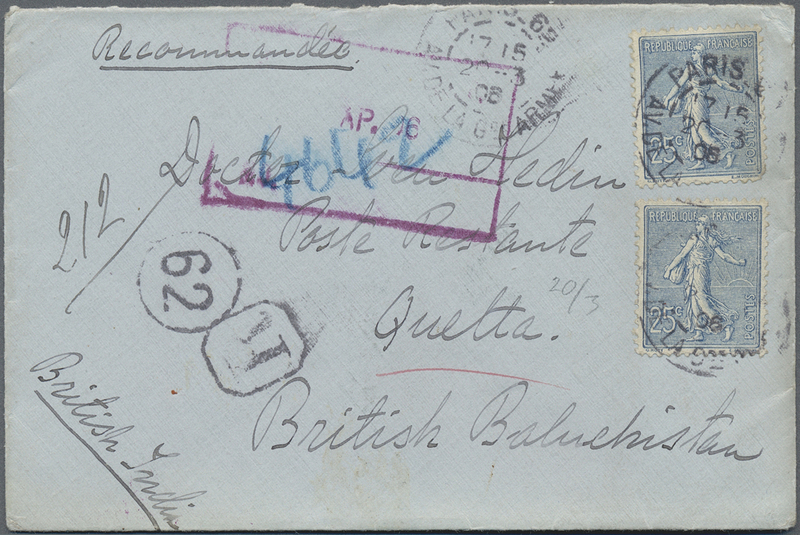 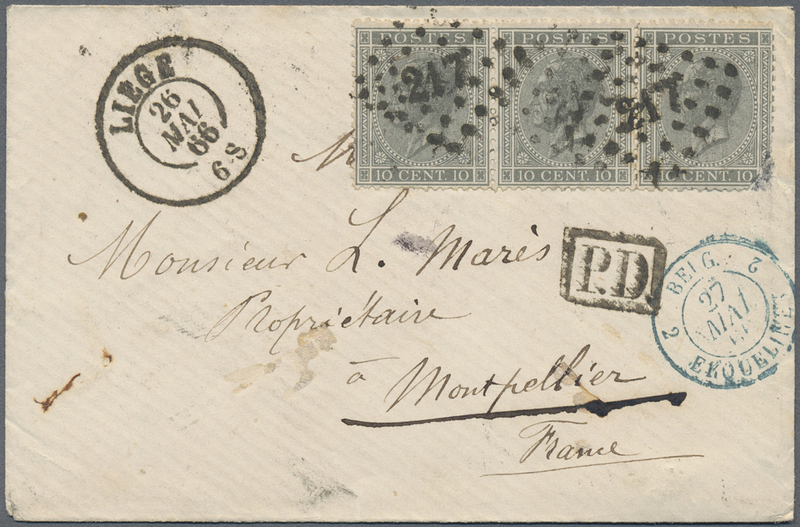 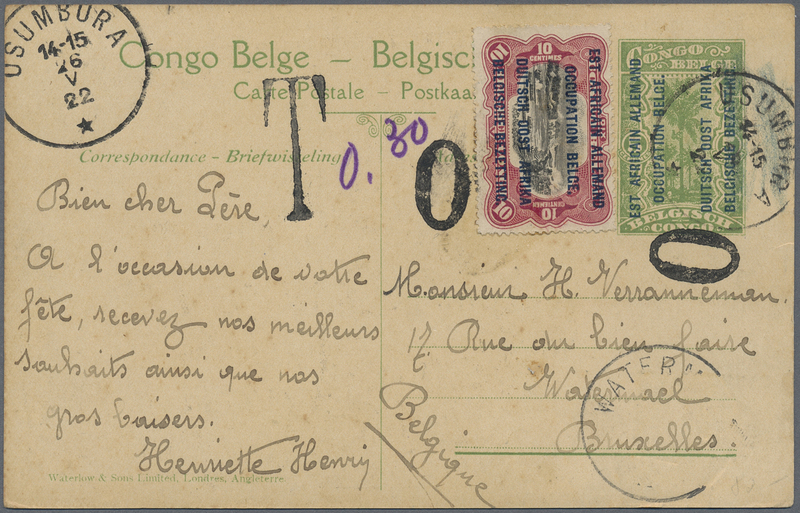 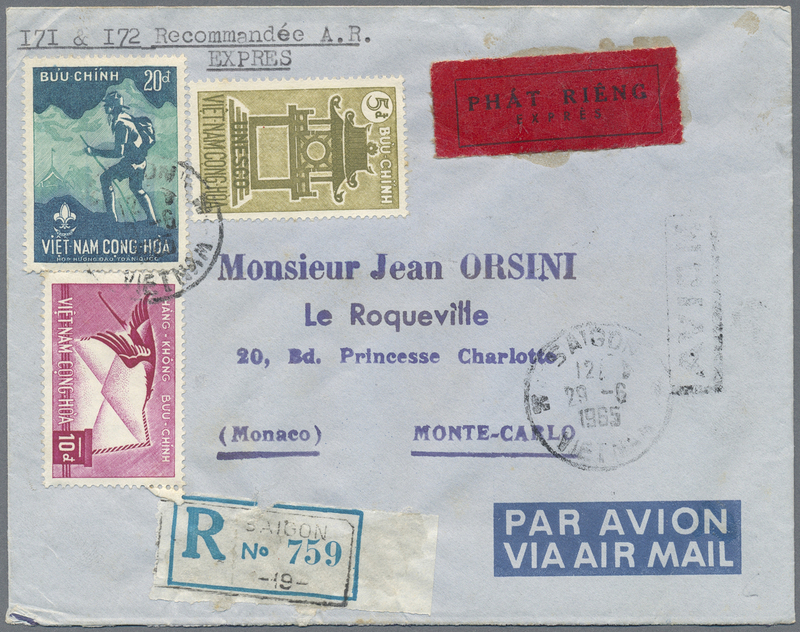 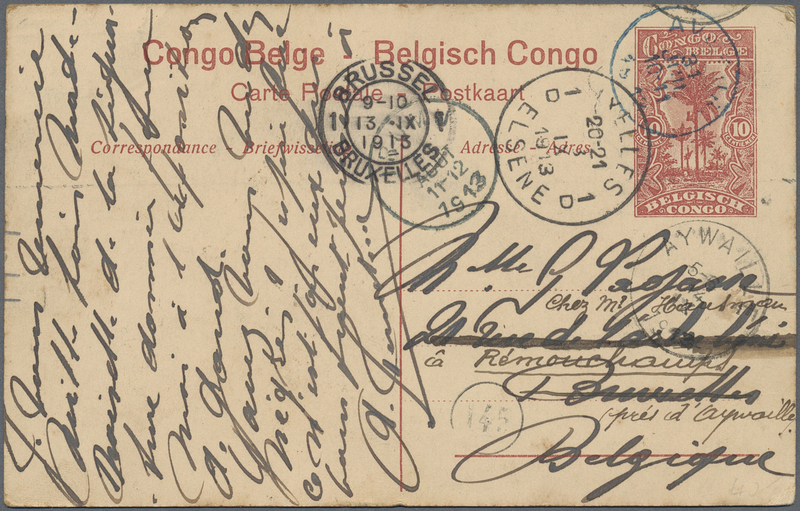 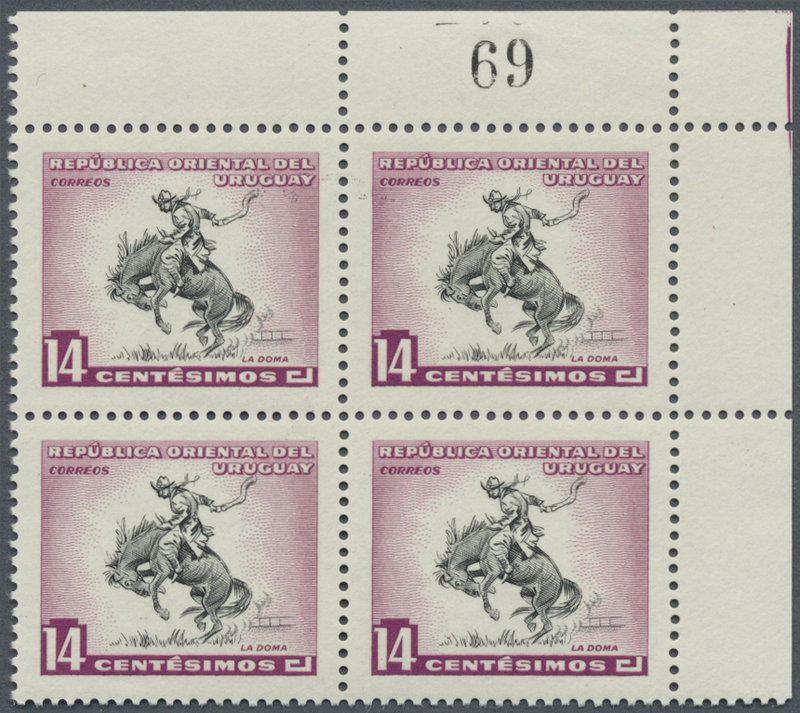 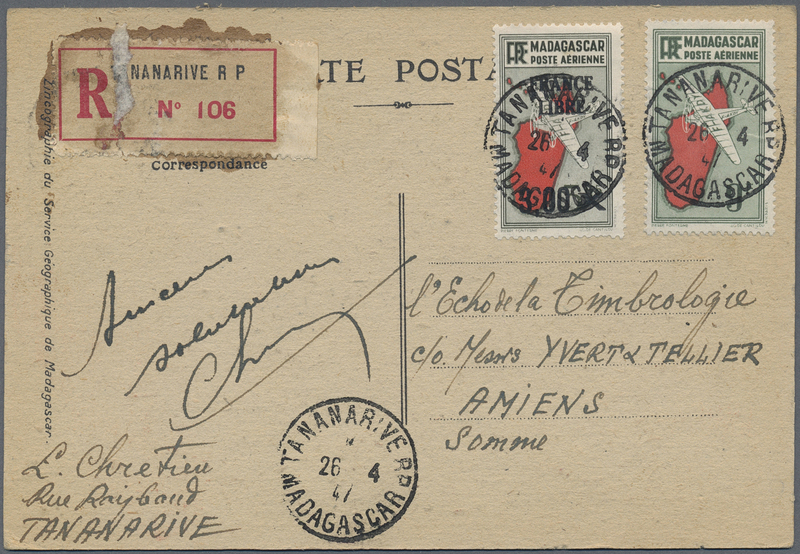 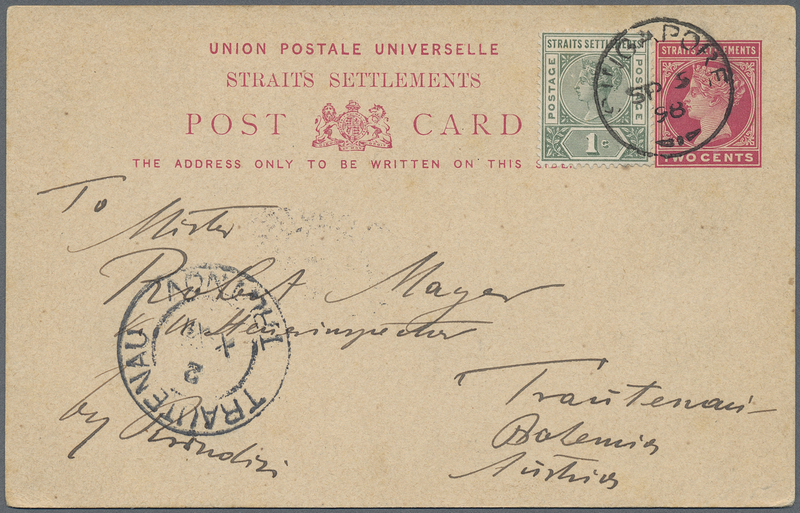 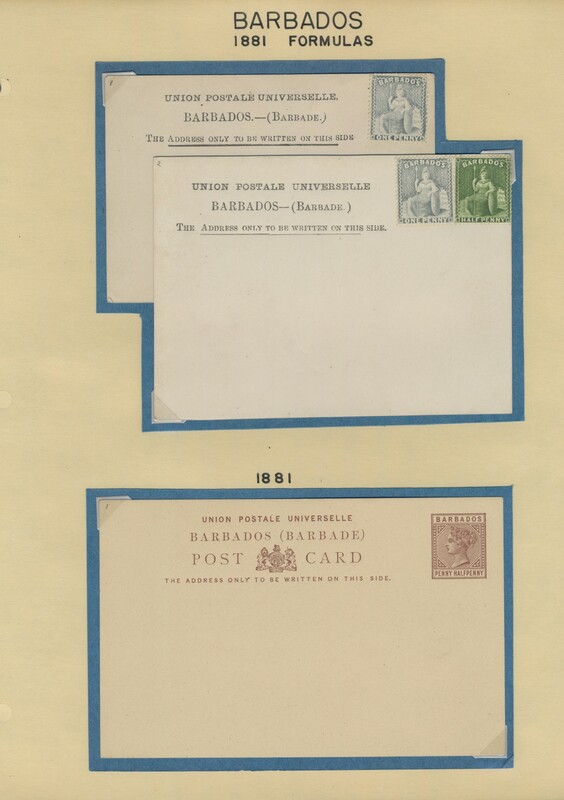 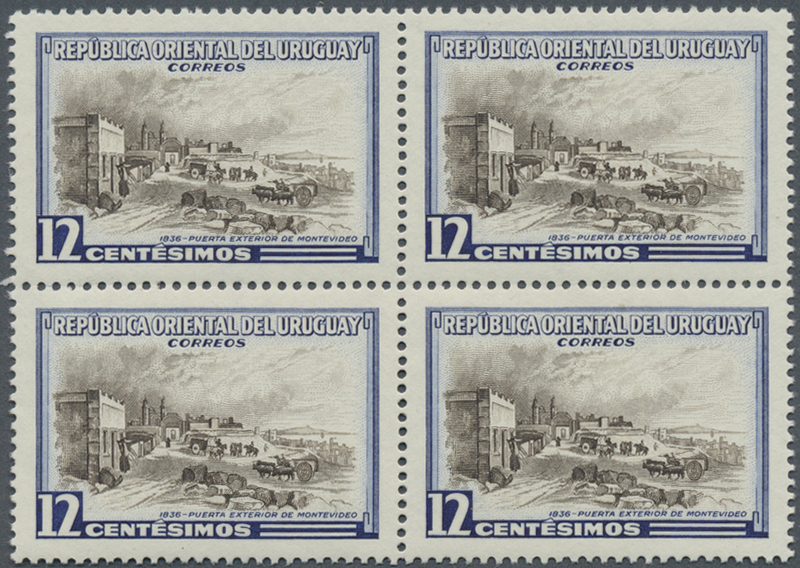 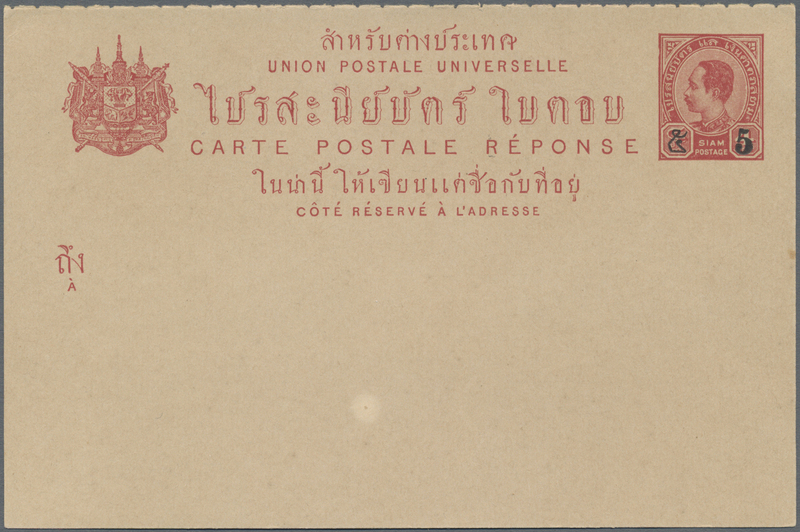 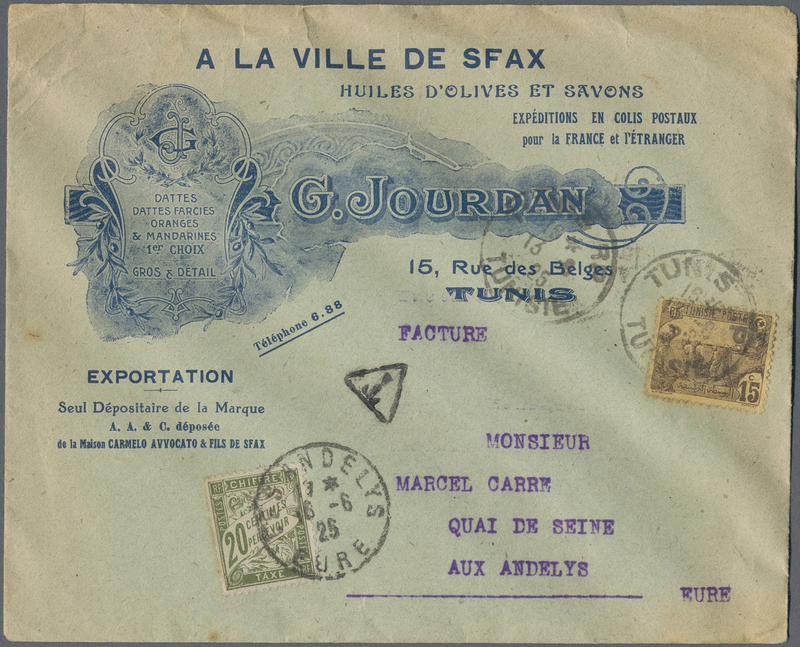 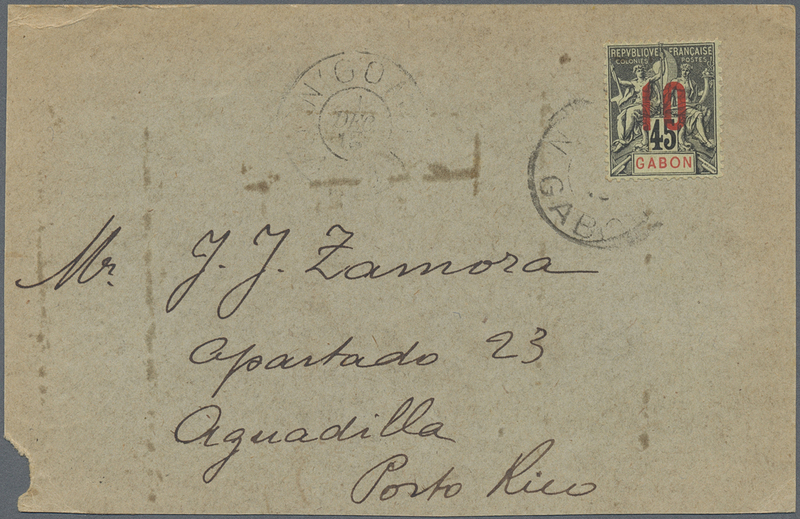 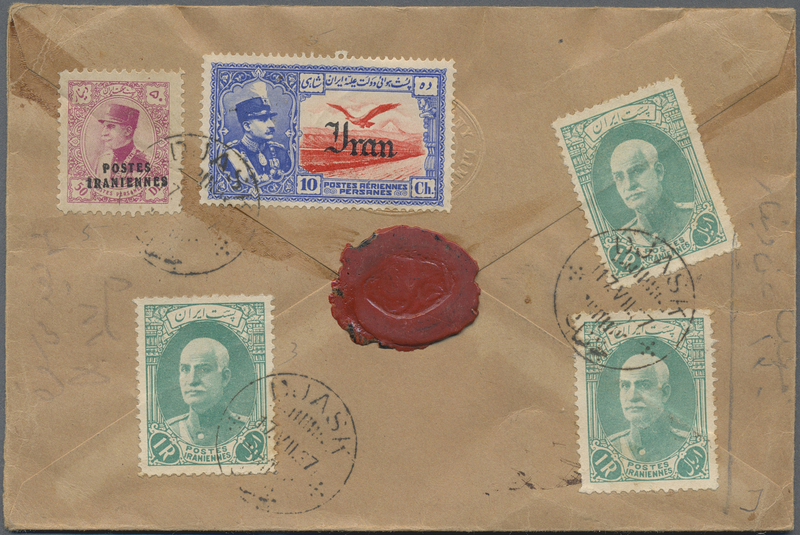 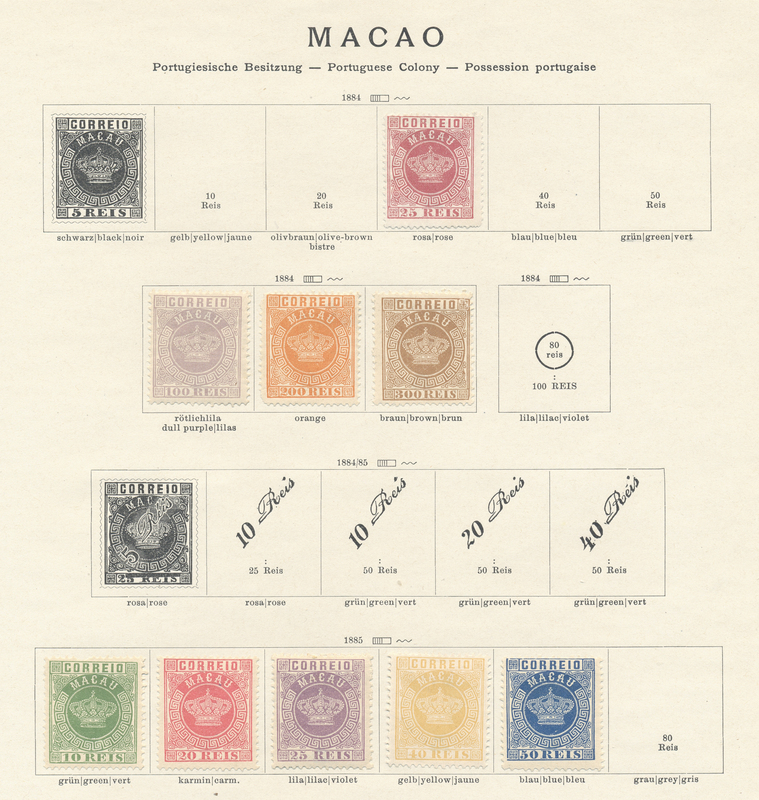 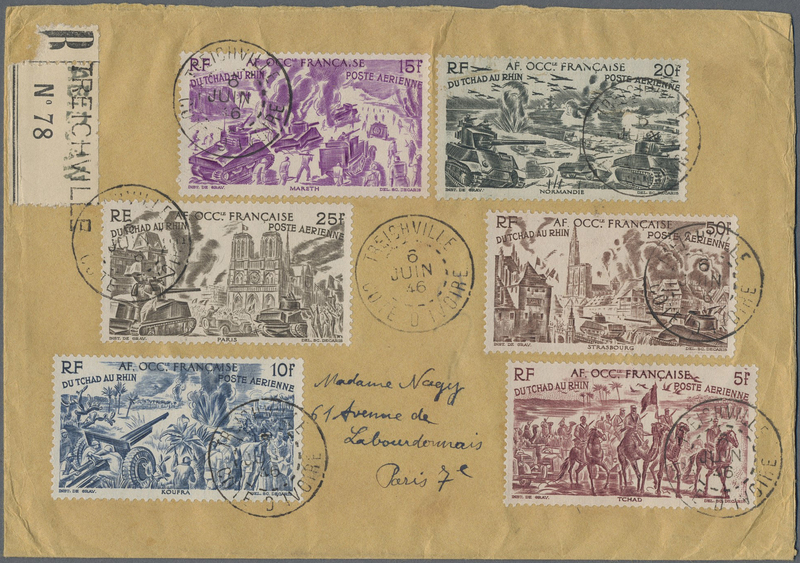 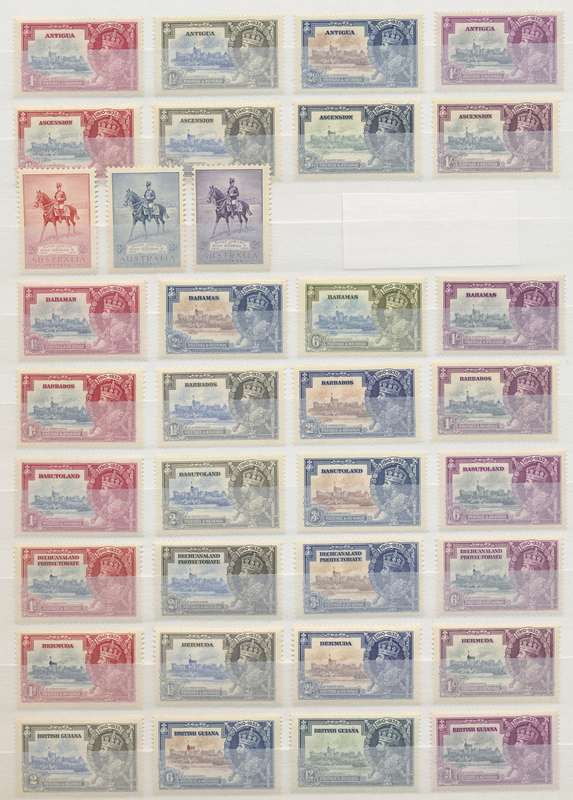 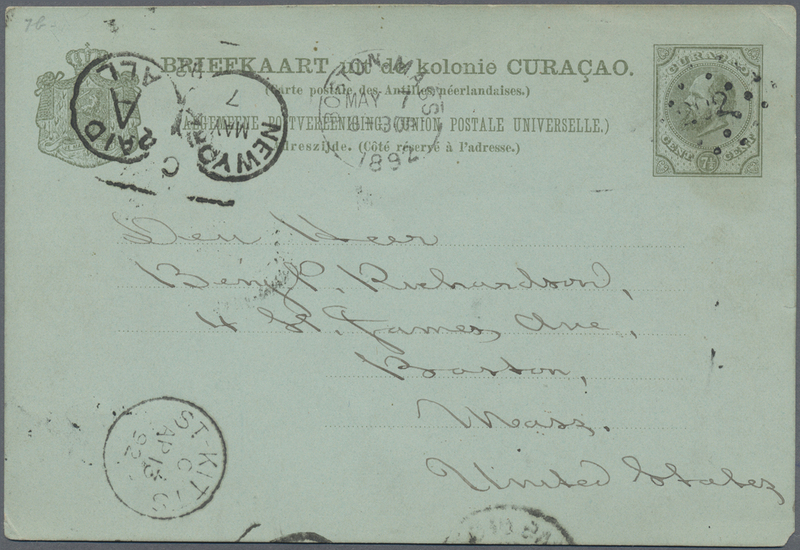 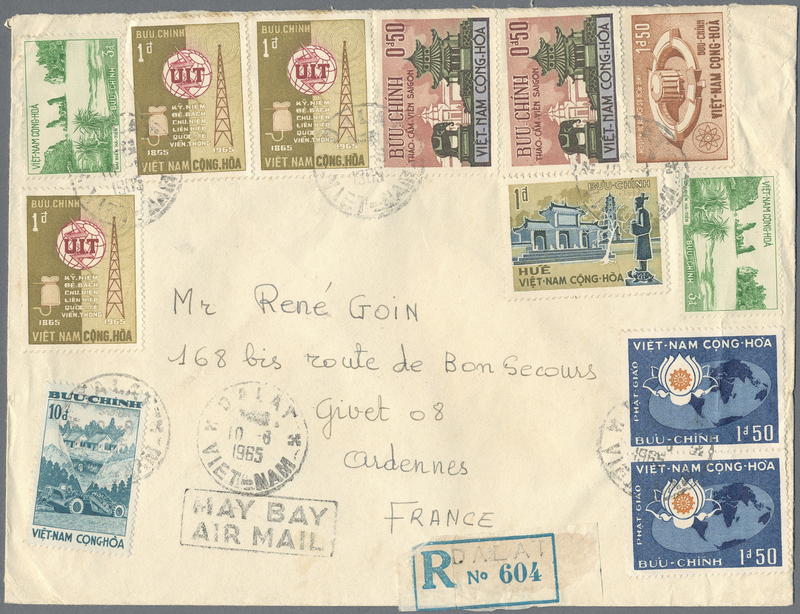 some small island states, containing mainly used issues with several souvenir-sheets and other small sheets. 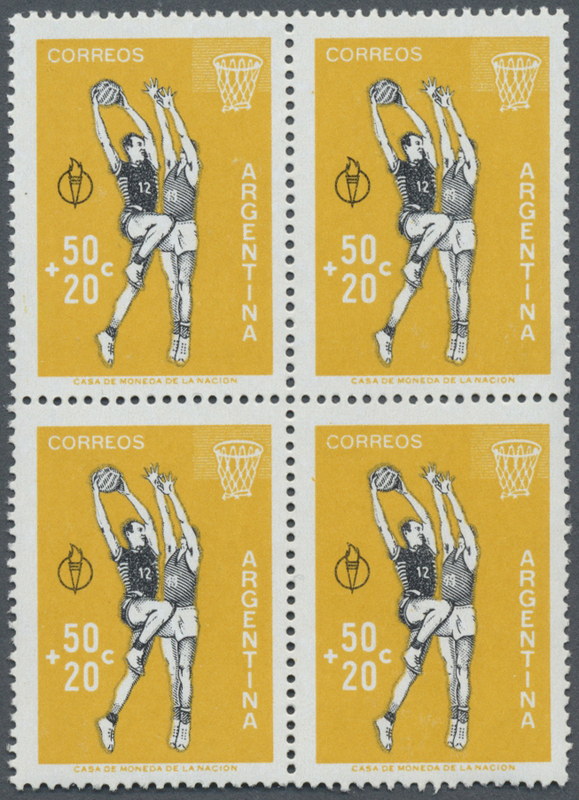 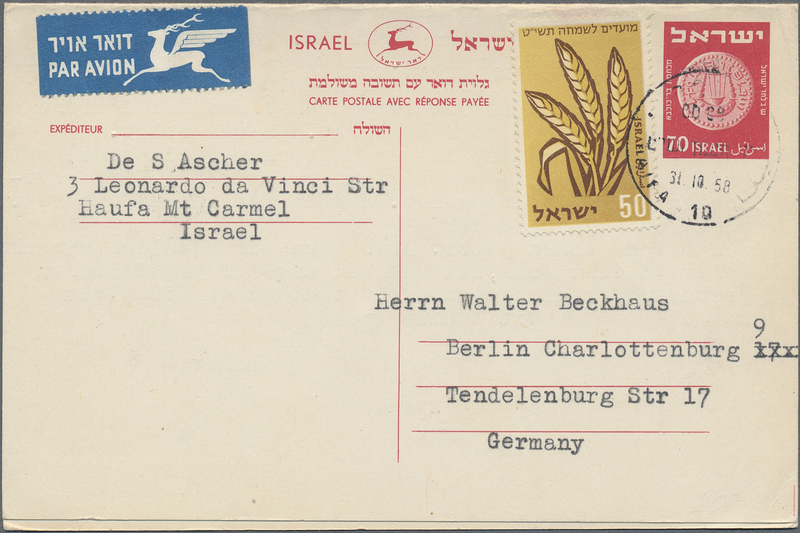 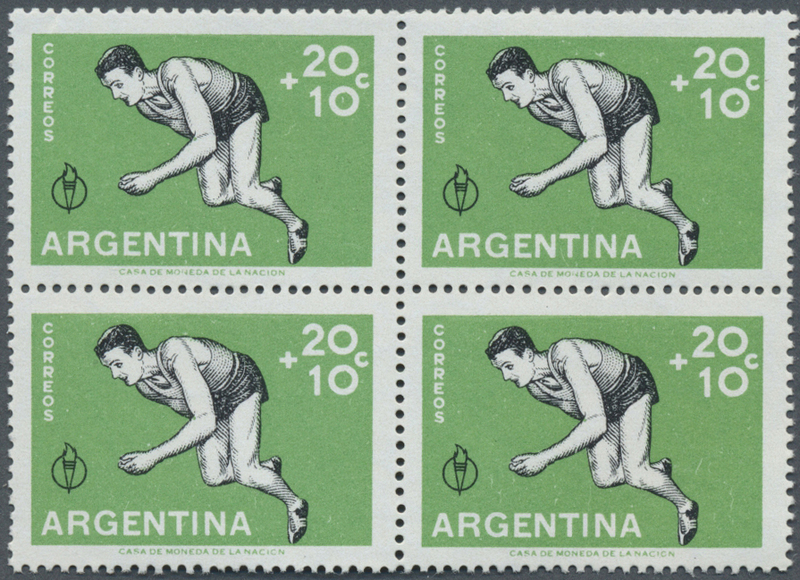 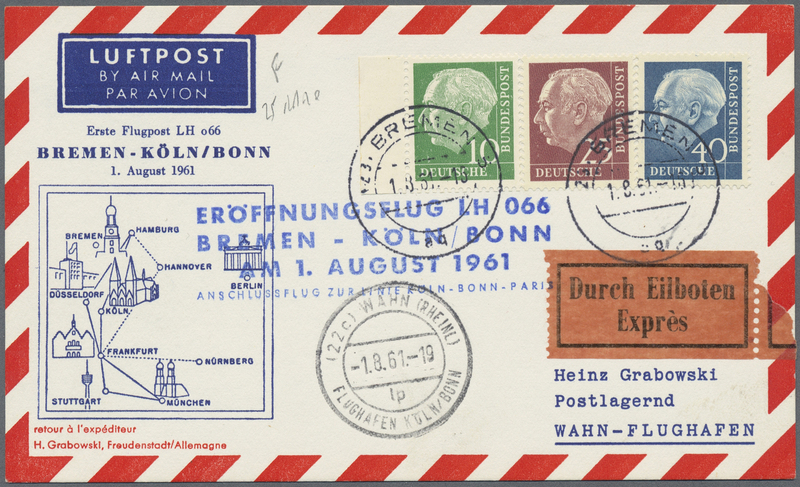 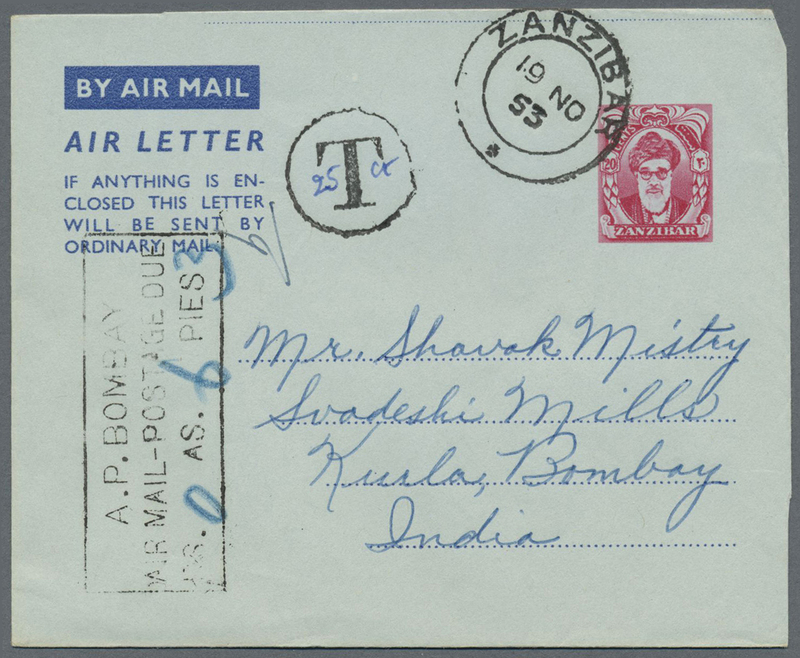 38266 postfrisch (never hinged) ** 1933/1975. 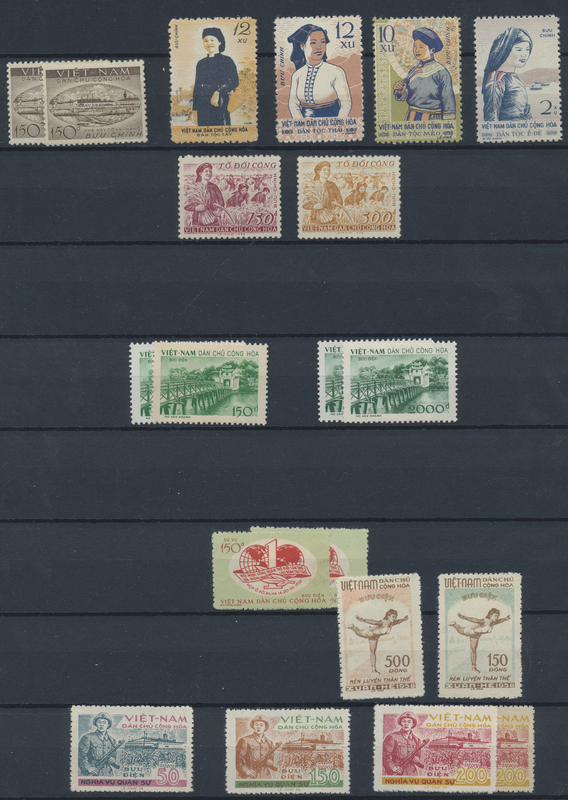 South America Lot with ECUADOR Sc #319/2,100copies; PARAGUAY Sc #C261/975 copies; ARGENTINA Sc #923/550copies, #924/575copies, #929/575copies, #932/550copies, #1076/550copies, #1077/550copies, #B19/216copies, #B20/117copies, C108/550copies; URUGUAY Sc #606/500copies, #610/650copies, #611/500copies, #613/500copies, #614/500copies, #772/1,700copies, #C177/1,700copies, #C179/1,700copies, #C274/395copies, #C356/1,600copies, #C381/300copies and #C385/1,975copies. 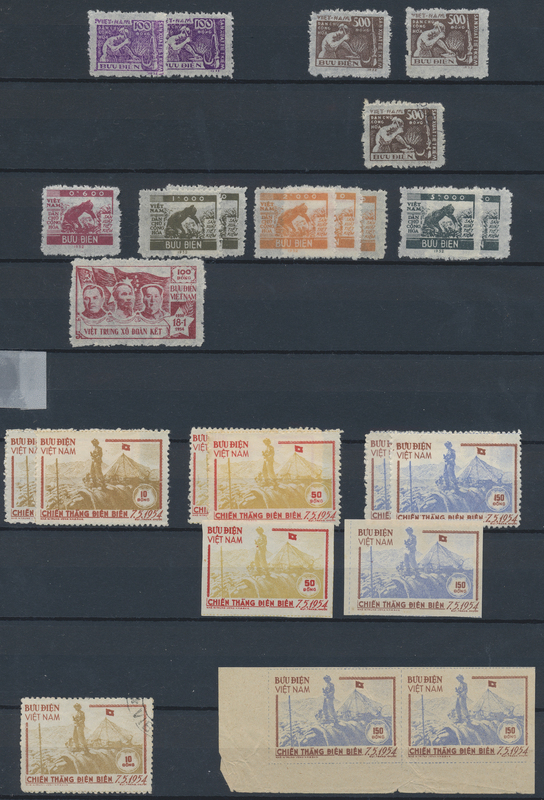 All stamps mint, NH in sheets or partial sheets. 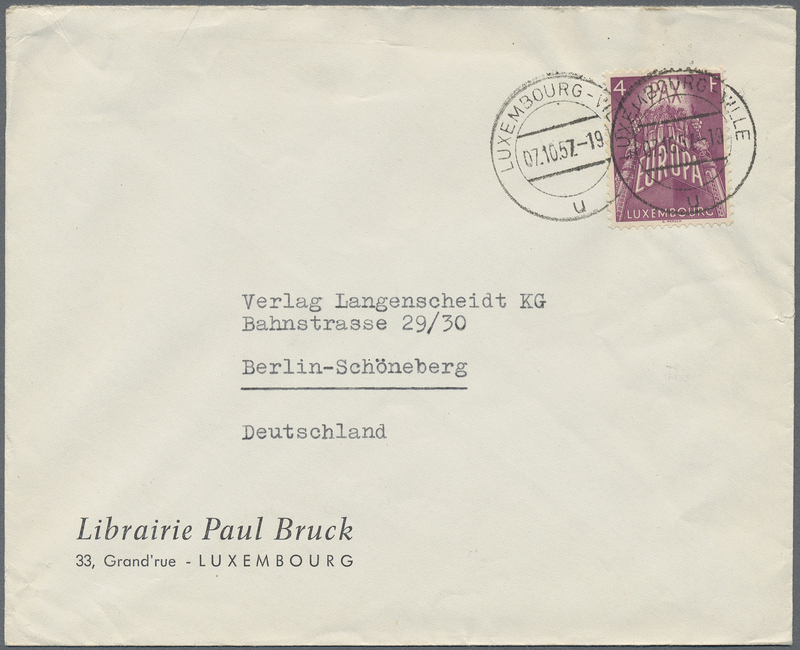 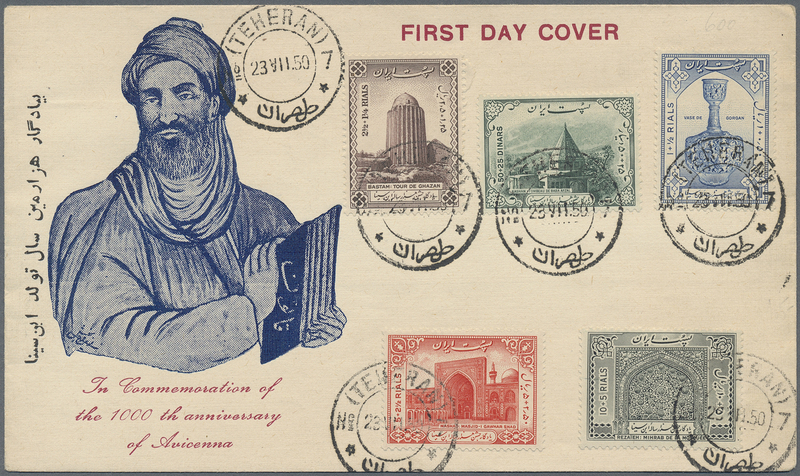 38273 Brief (cover) Ganzsache (Complete) postfrisch (never hinged) ** gestempelt (marked) Arab. 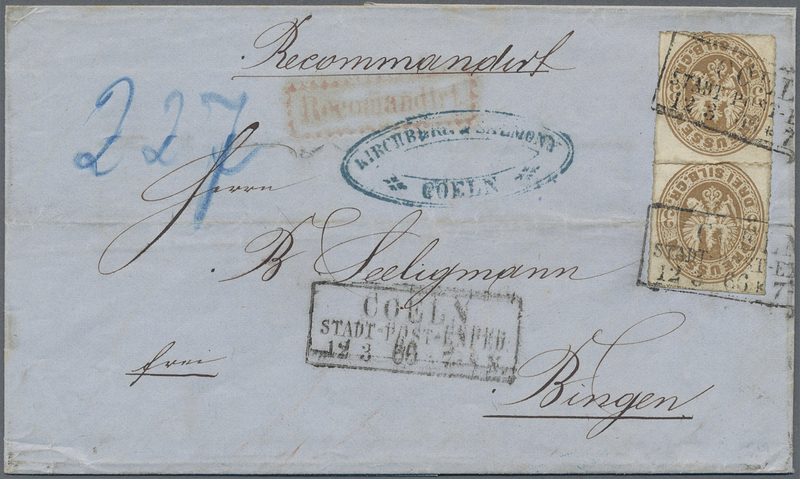 Staaten (insb. 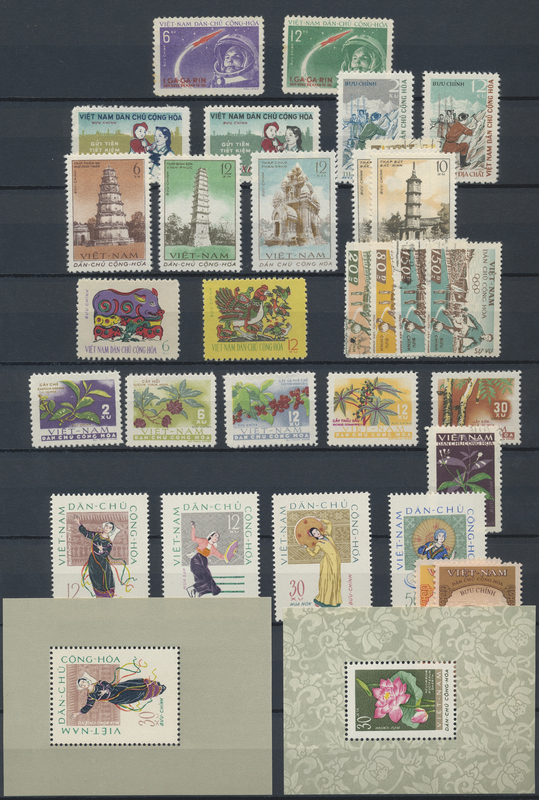 Dubai) 1964/71, Posten mit den Ausgaben "11. 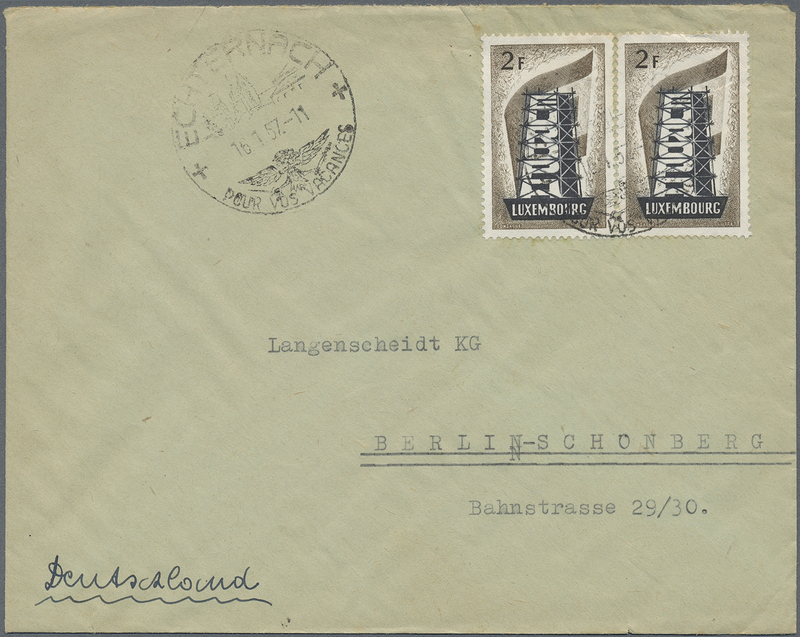 Pfadfindertreffen Athen 1964” und "13. 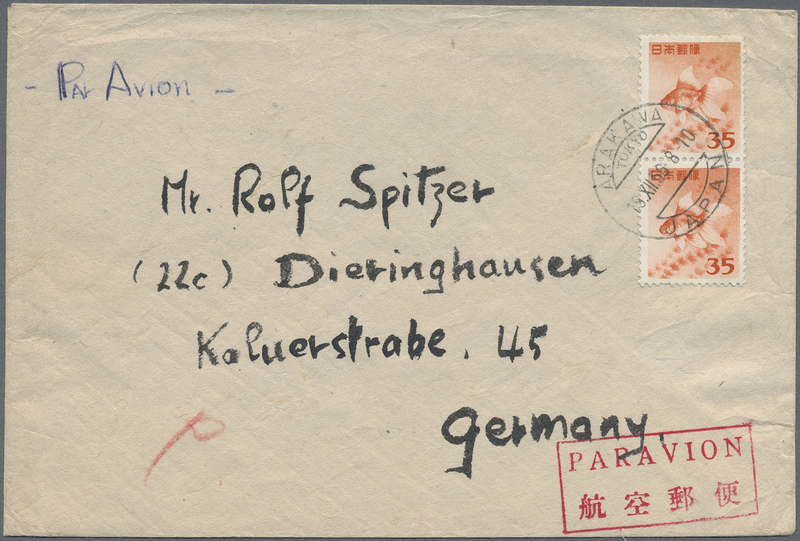 Jamboree Japan 1971”, dabei sind Marken, Postkarten, Aerogramme (auch ungefaltet), Lp-Briefe und FDC, alles mehrfach, enthalten auch Besonderheiten wie WSt.-Aufdruck-Abarten, dazu noch Blockausgabe "Jamboree Idaho 1967” und weitere Pfadfindermarken. 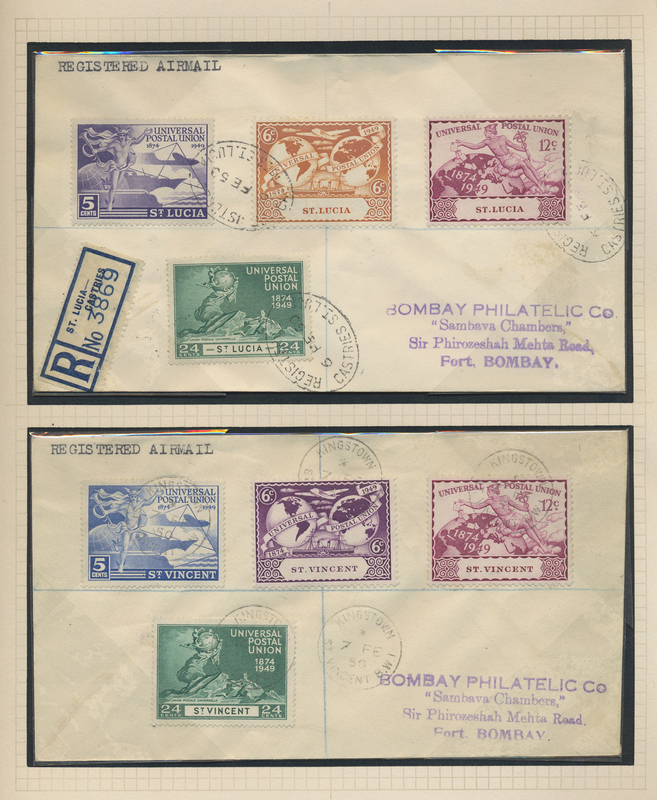 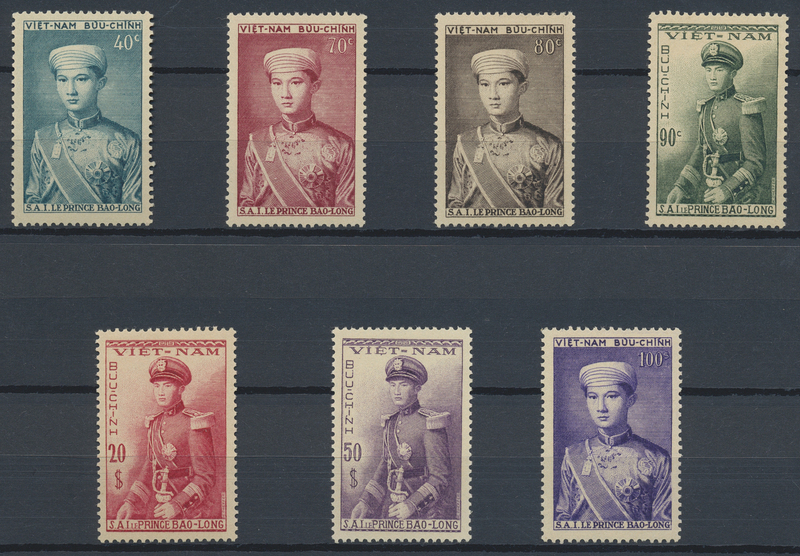 38278 postfrisch (never hinged) ** 1935/1953, u/m collection of Omnibus issues "1935 Silver Jubilee" (234 stamps) and "1953 Coronation" (124 stamps). 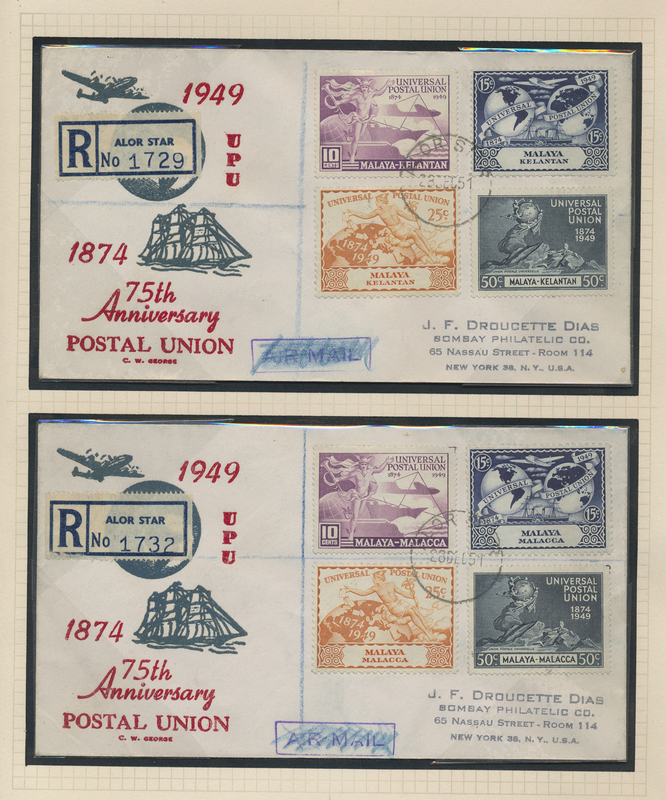 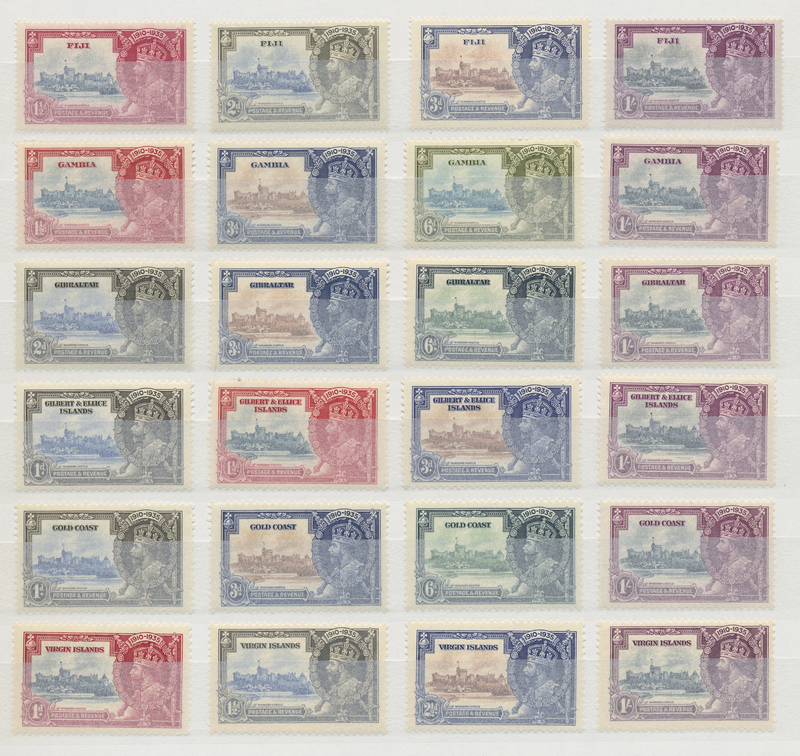 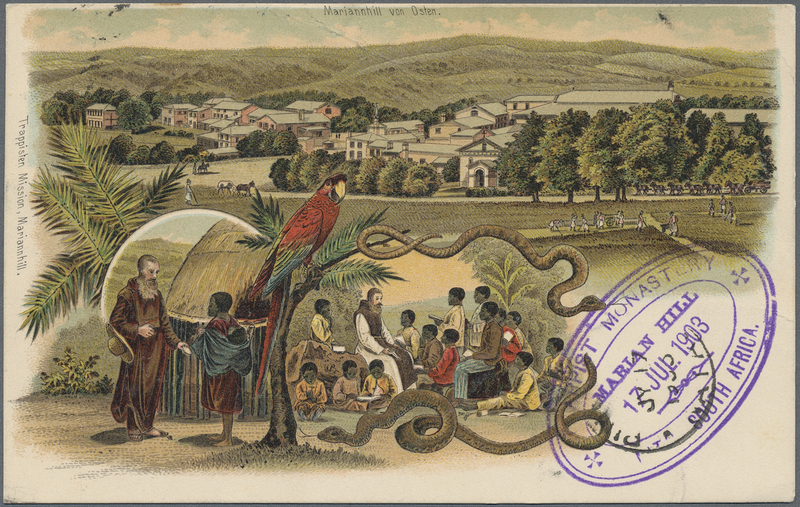 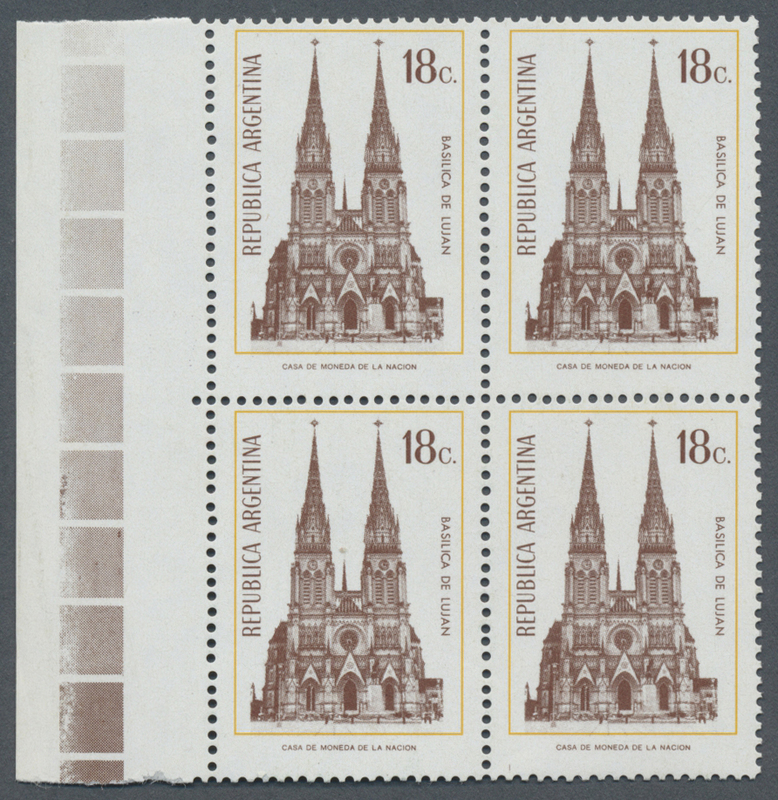 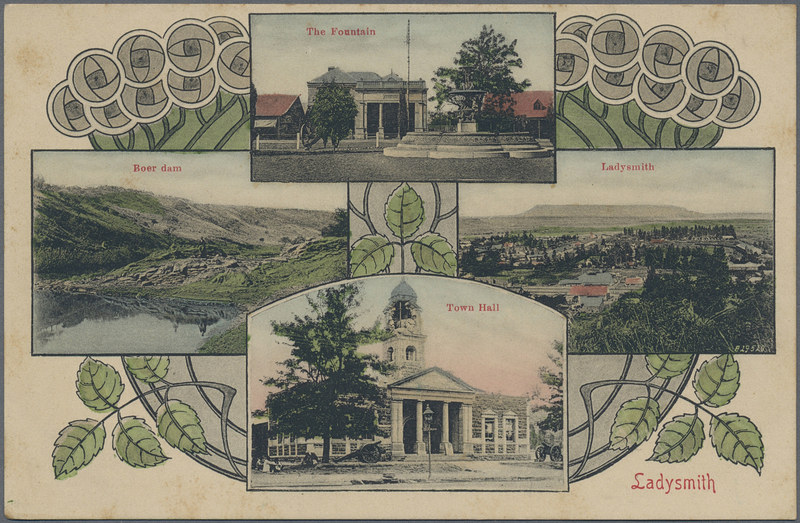 38280 postfrisch (never hinged) ** 1984/85, Britsh Virgin Islands, St.Vincent and Montserrat, 9 complete sheets of errors: missing colour, inverted centre, inverted/shifted overprint, some sheets folded once, MNH. 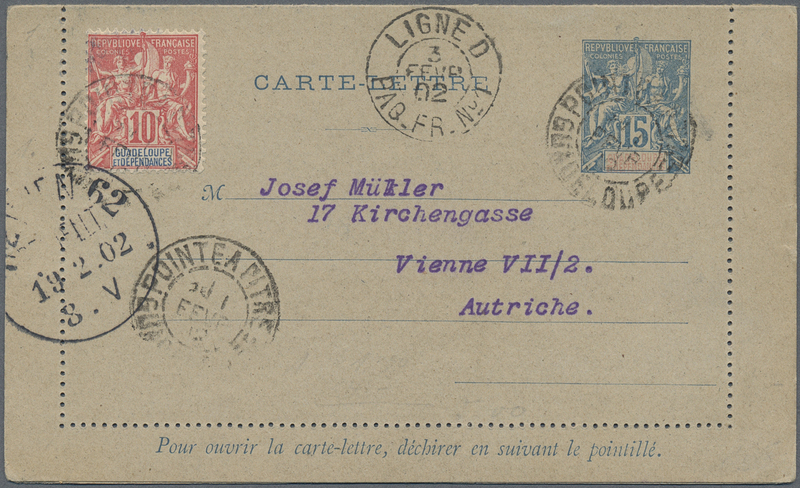 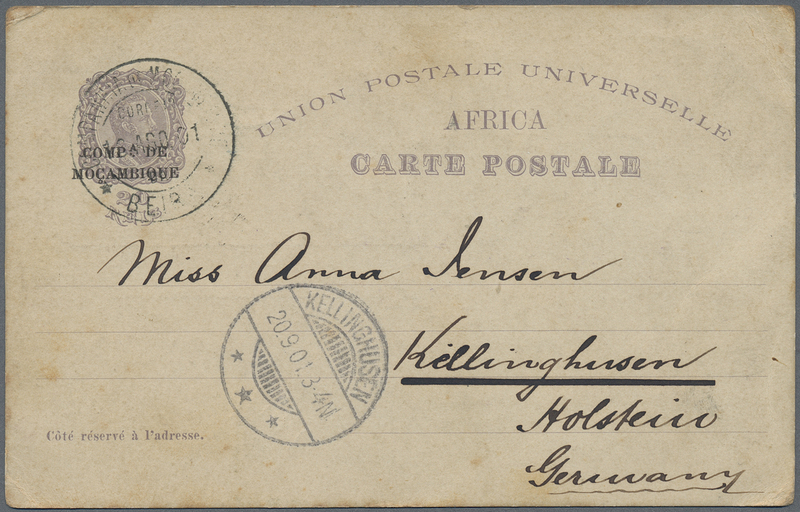 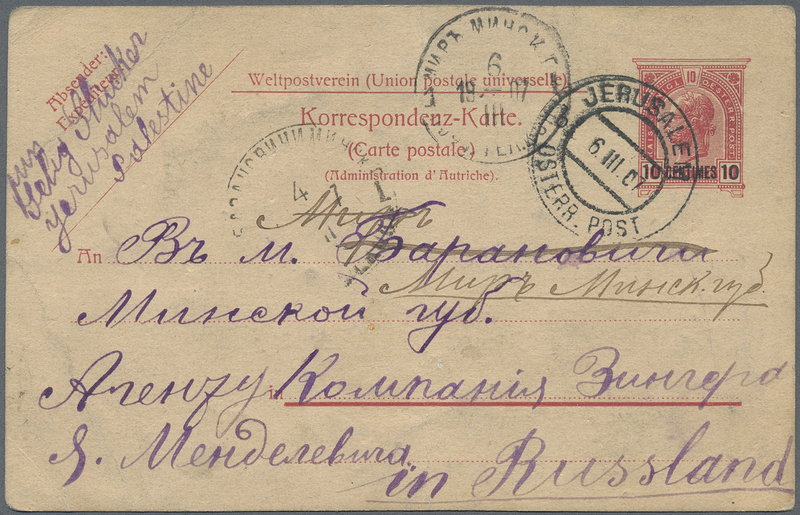 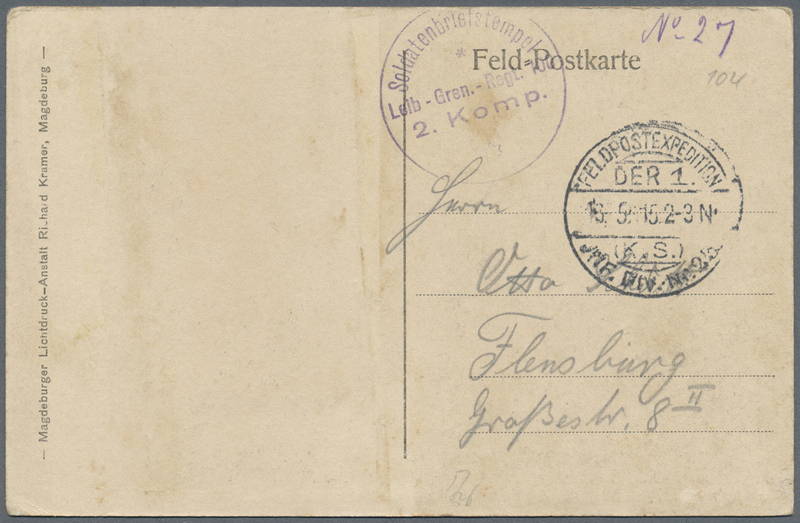 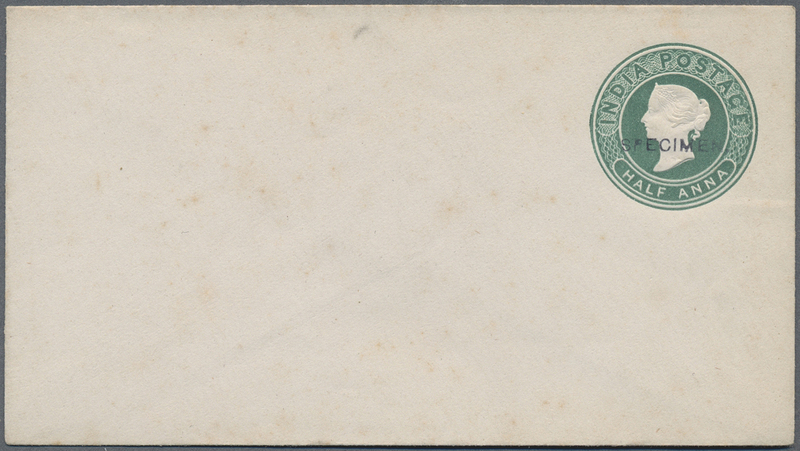 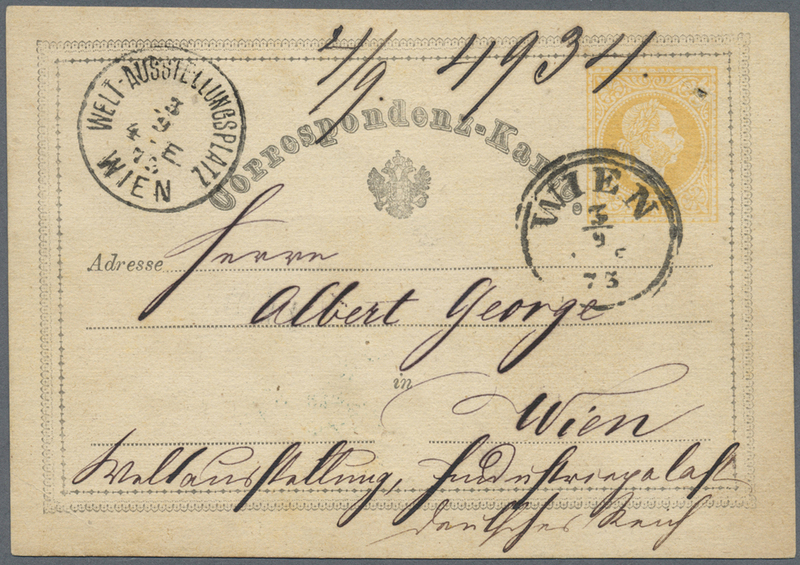 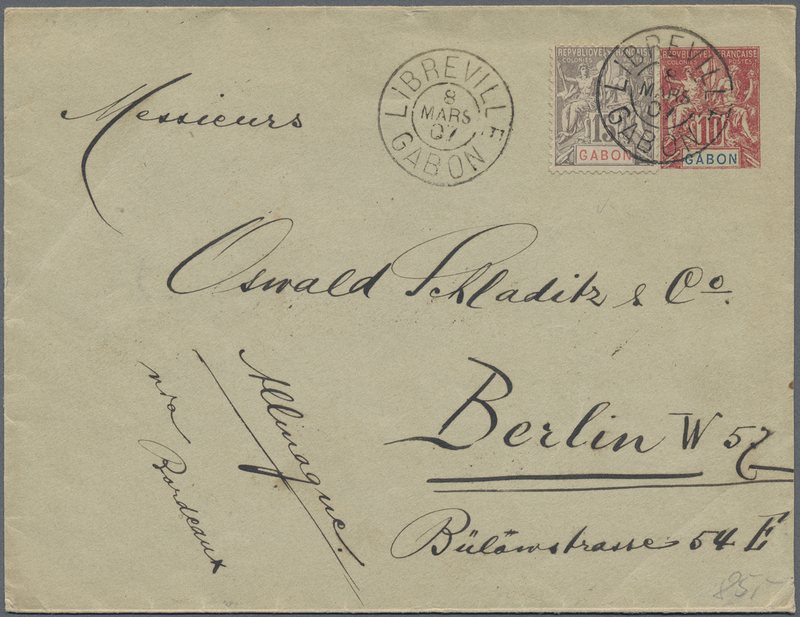 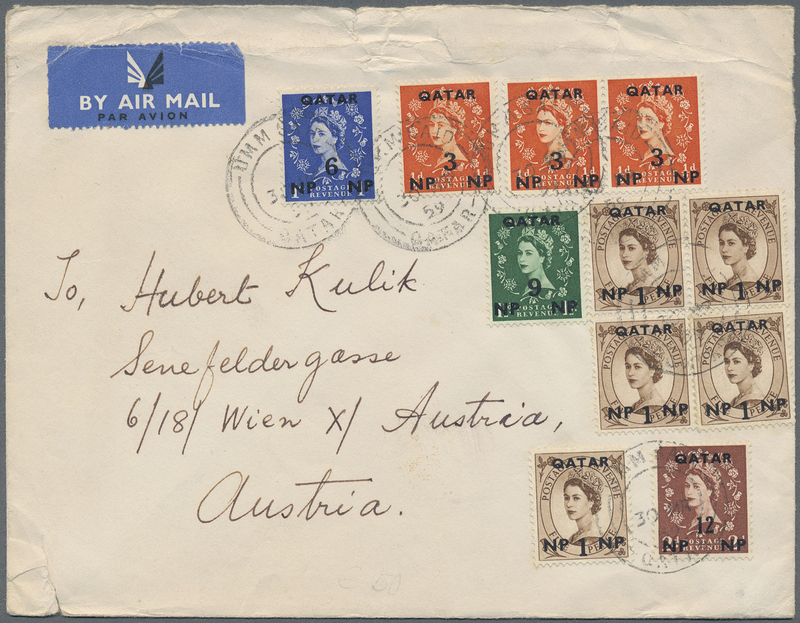 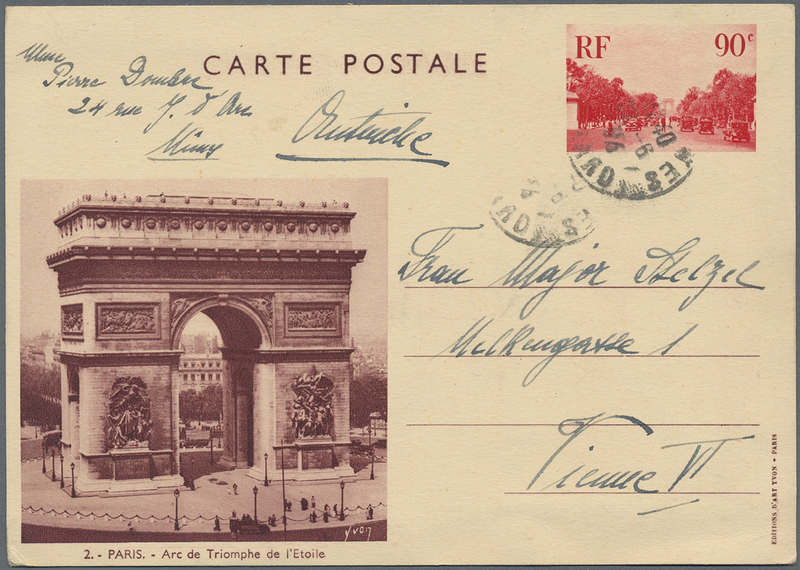 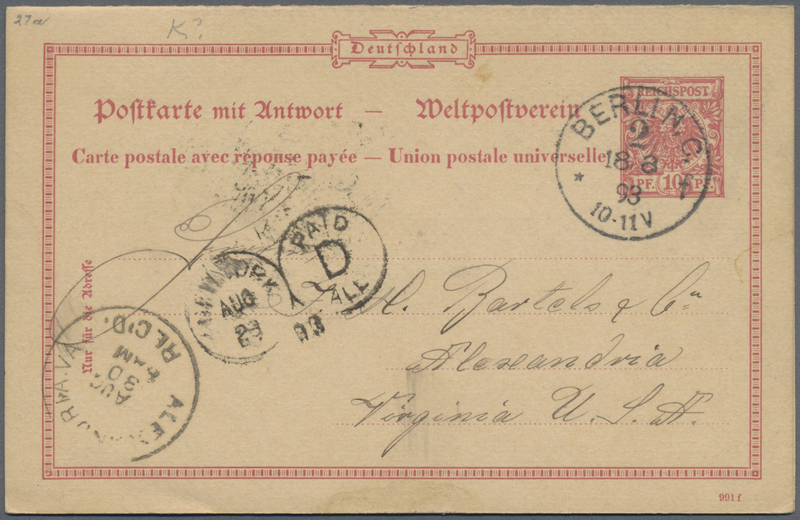 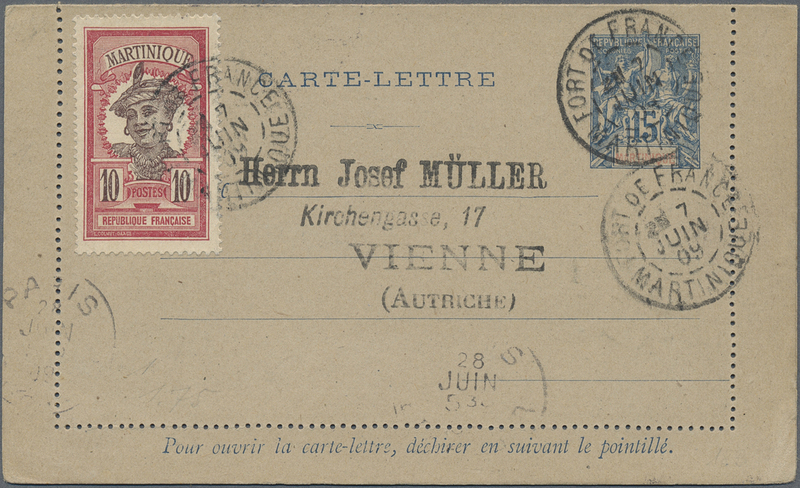 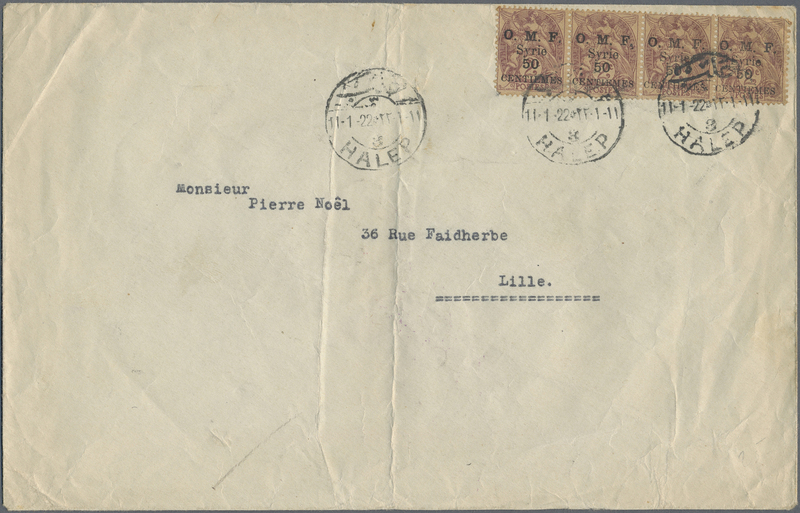 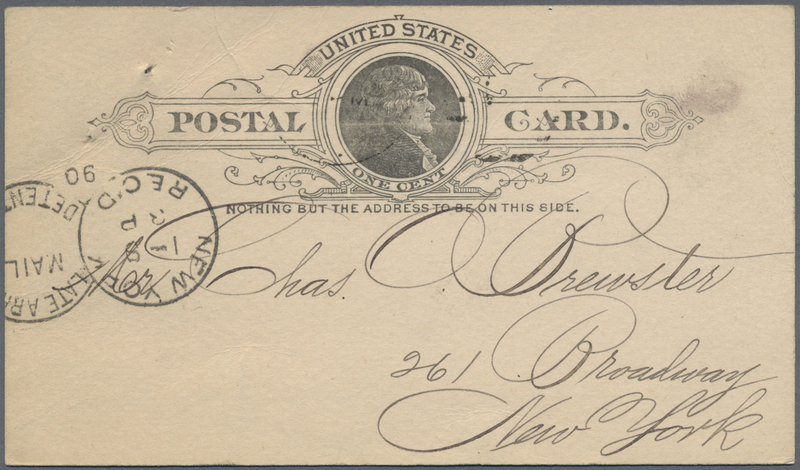 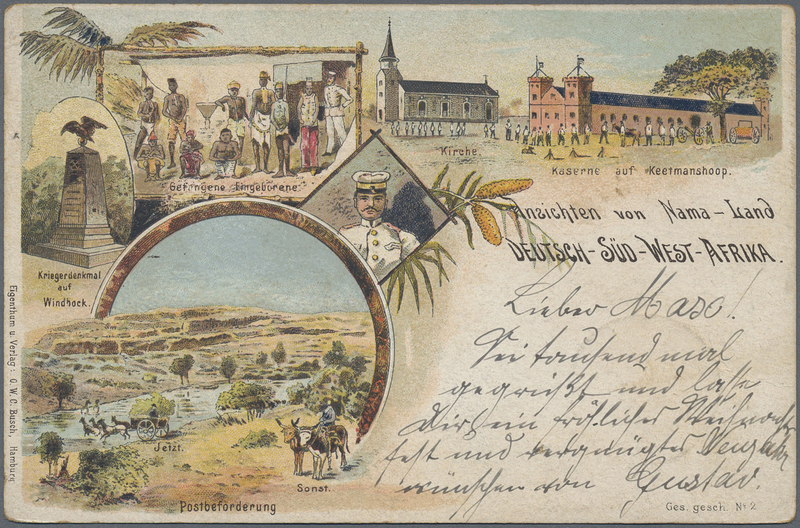 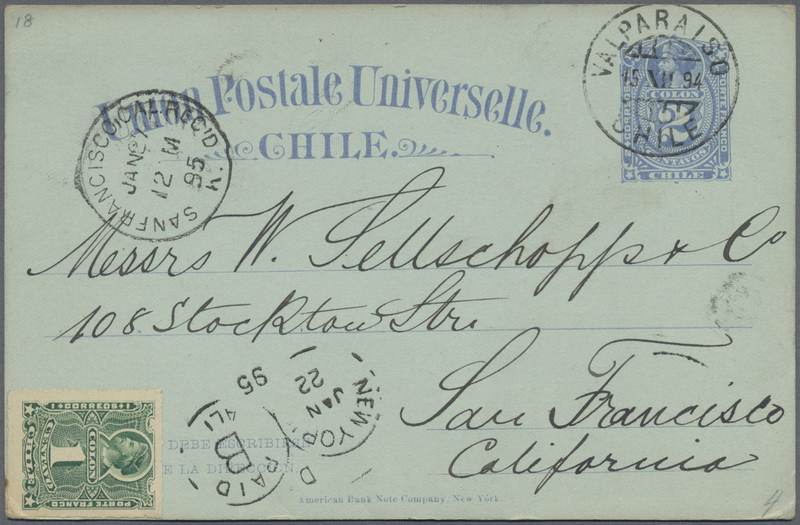 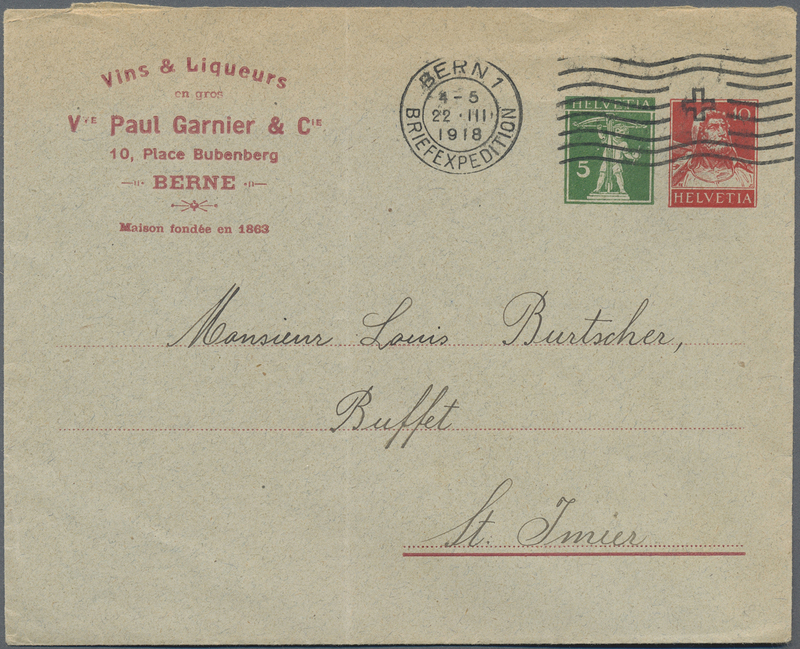 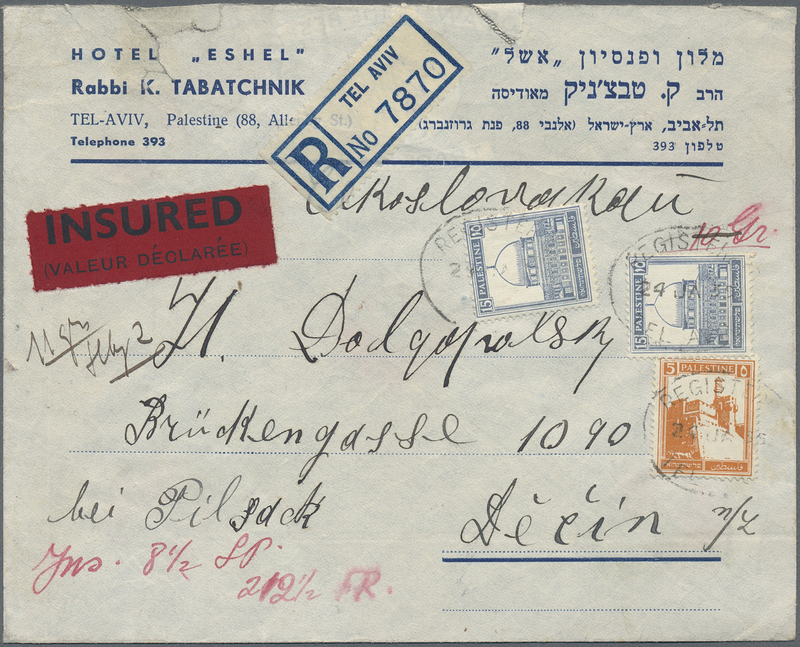 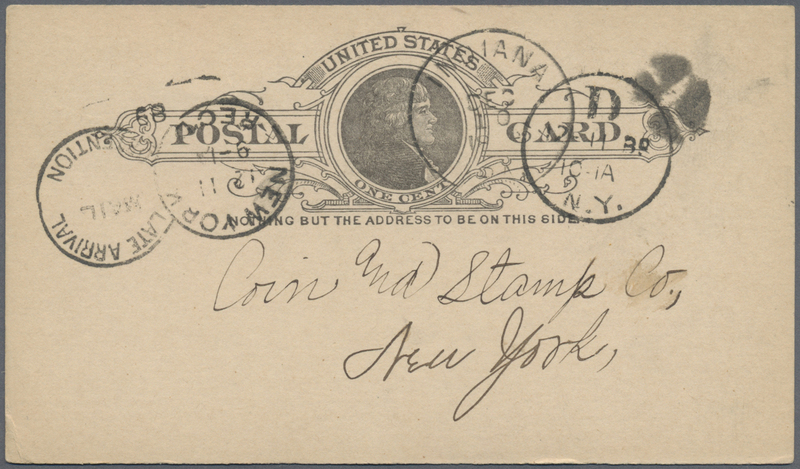 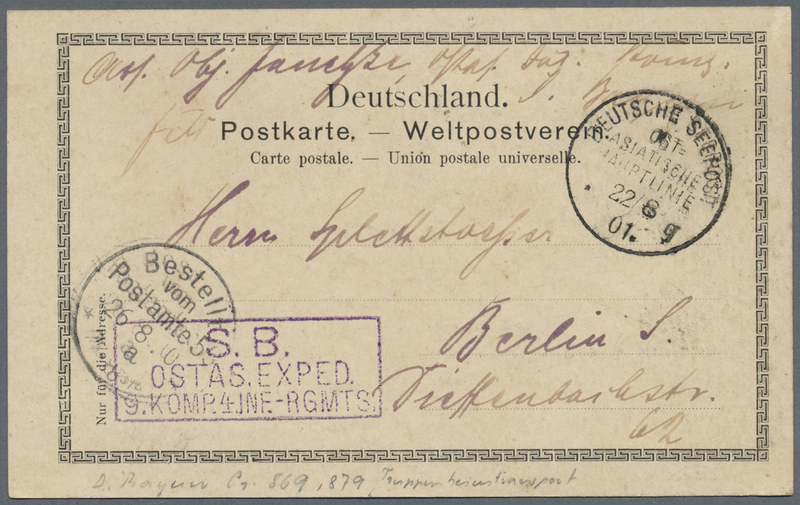 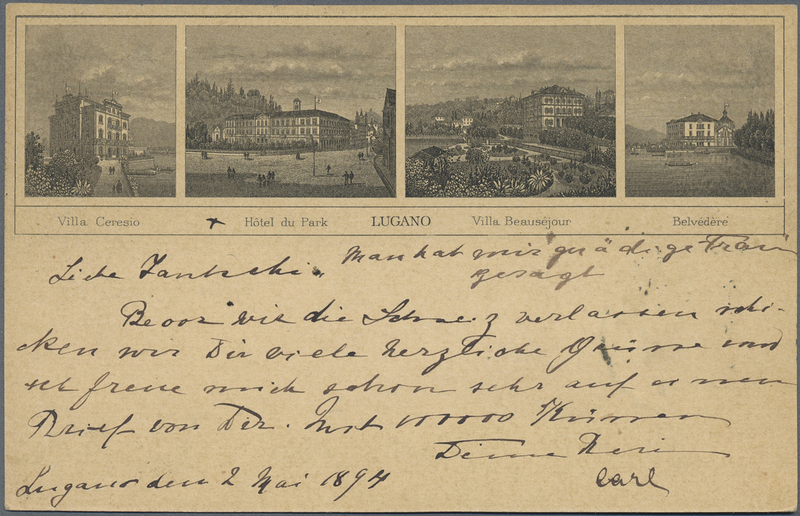 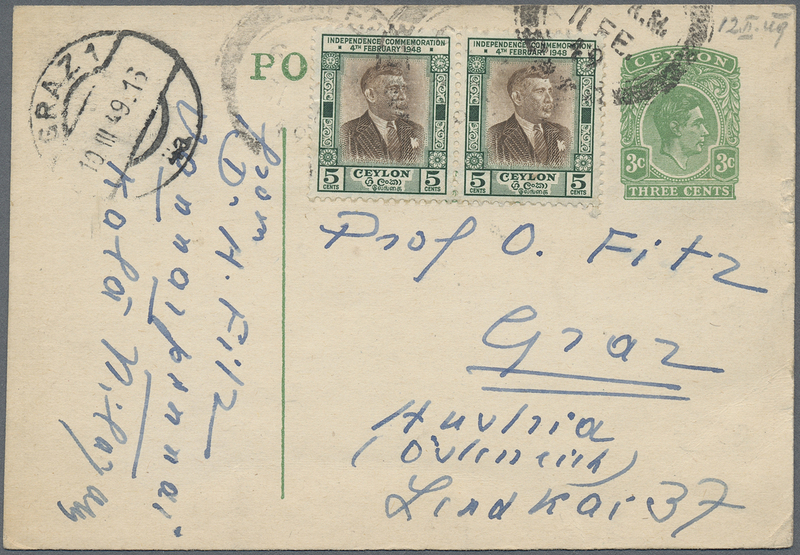 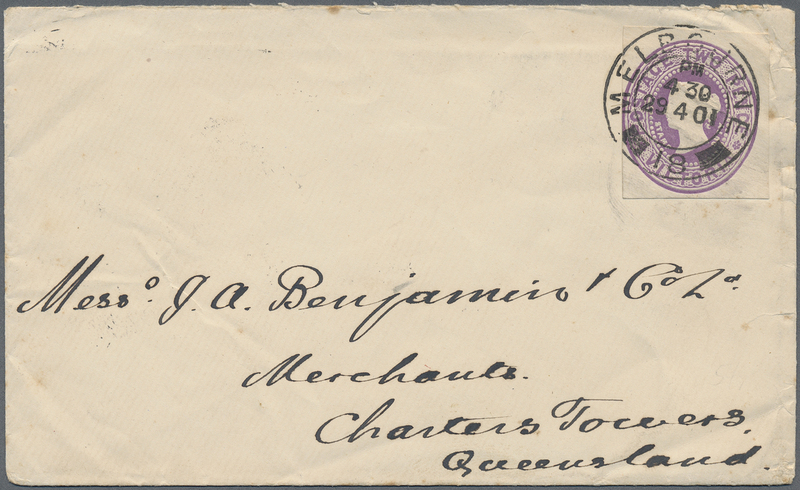 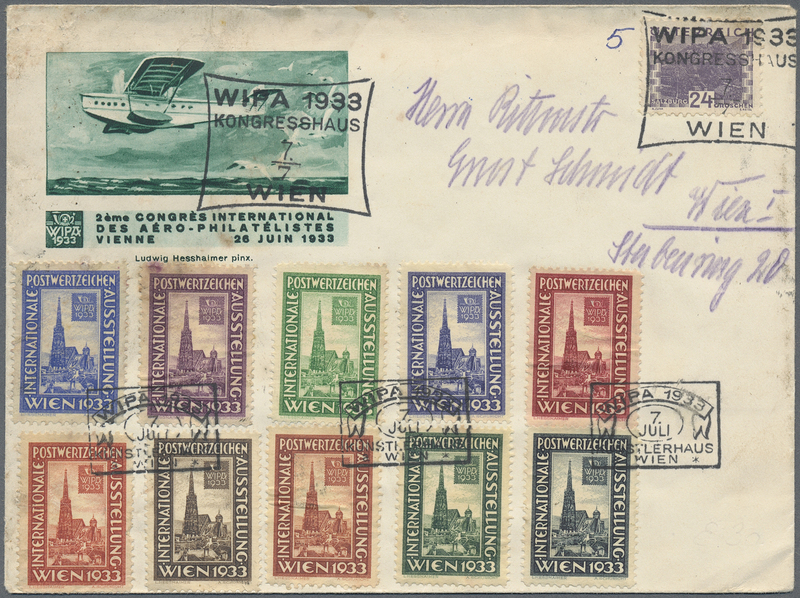 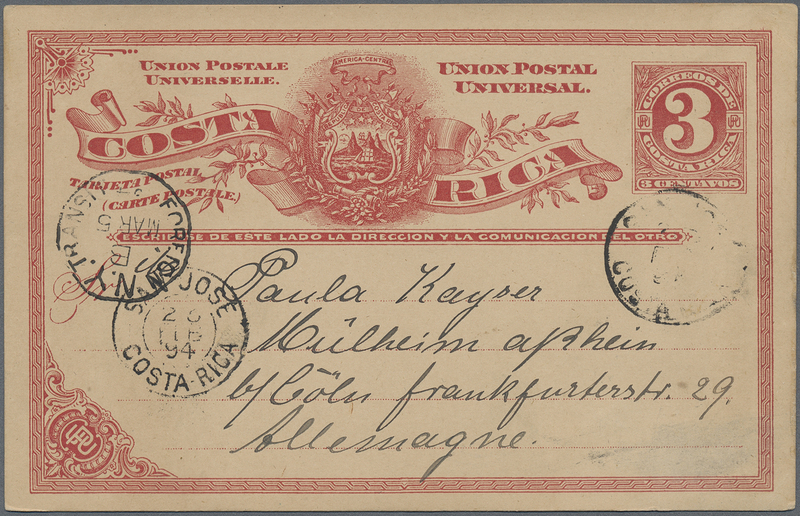 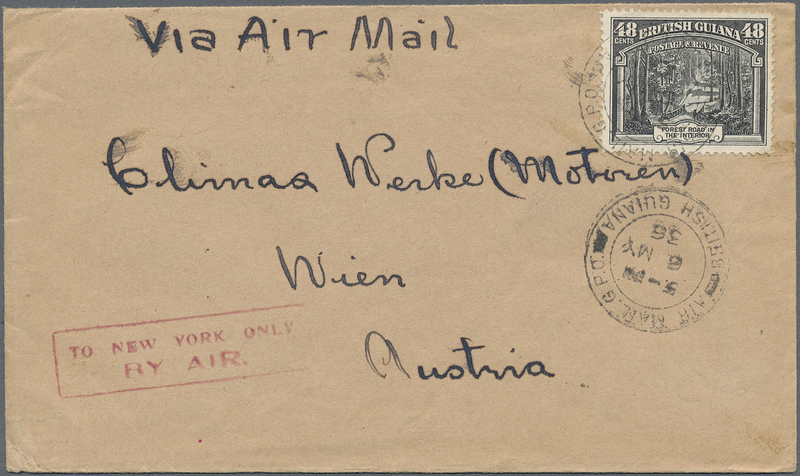 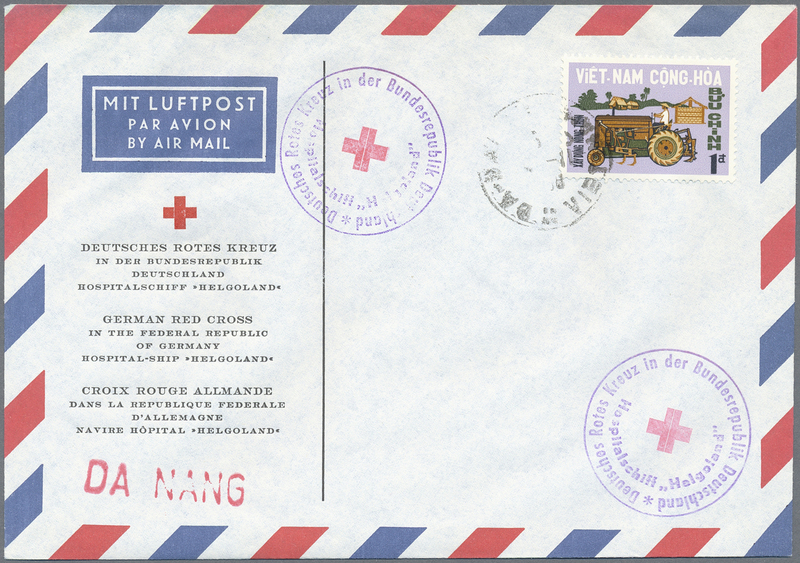 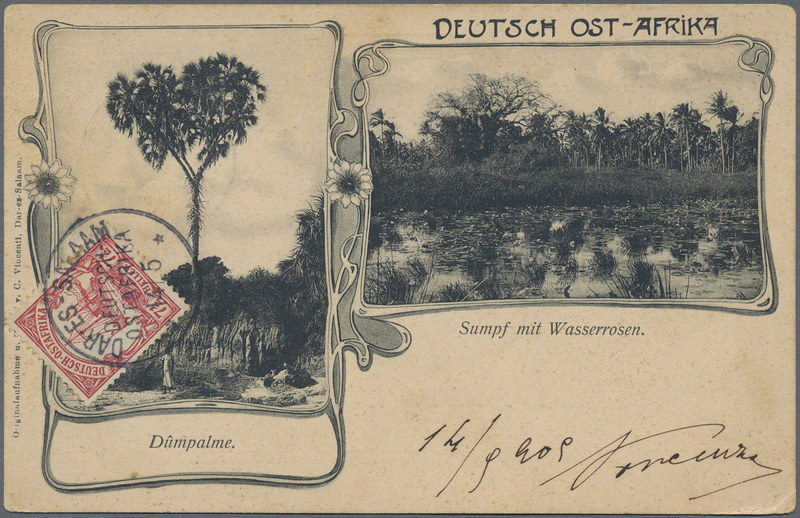 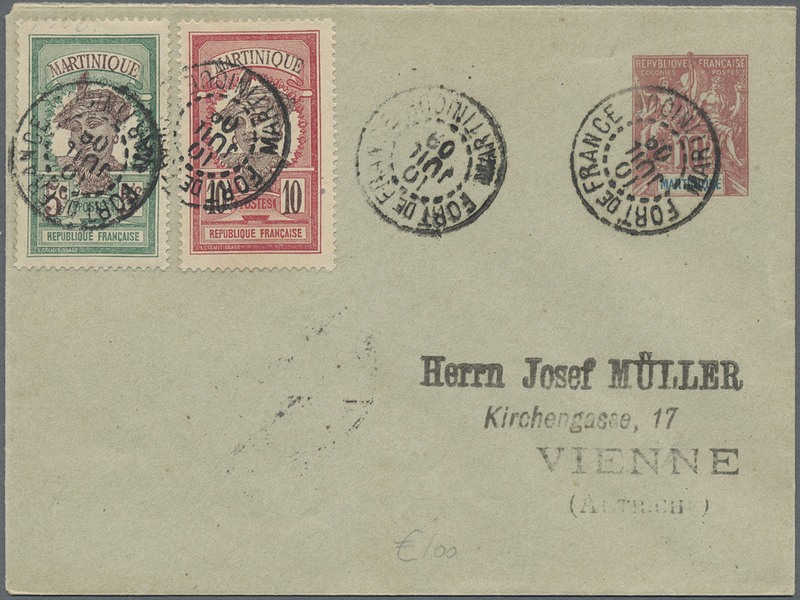 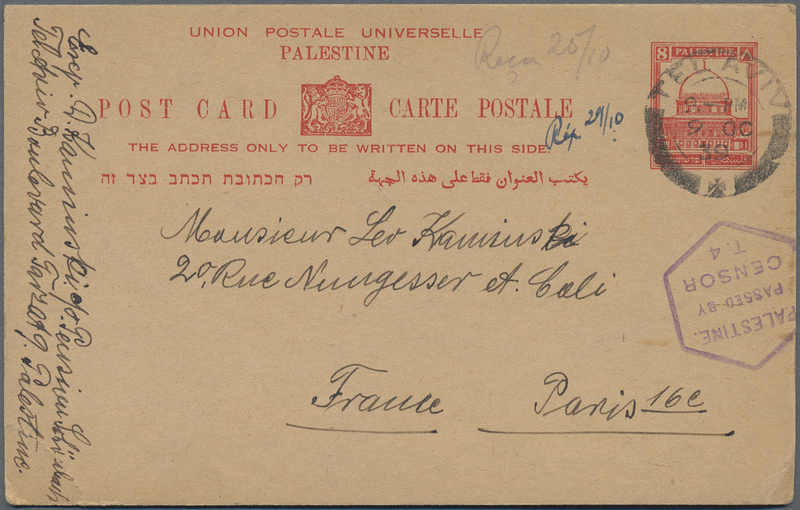 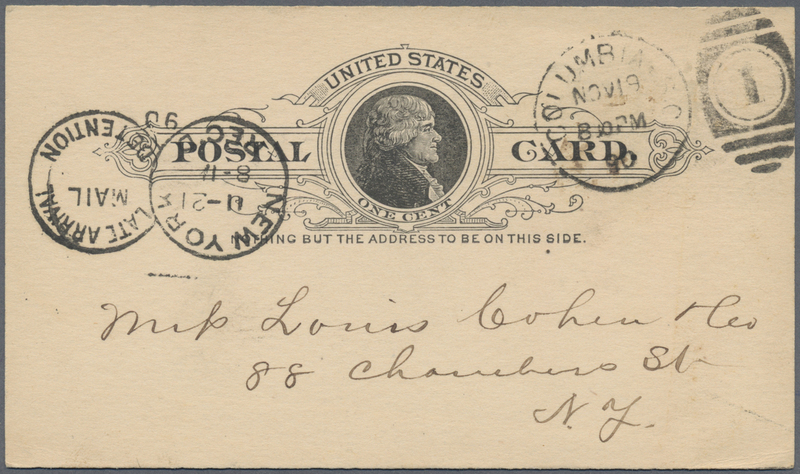 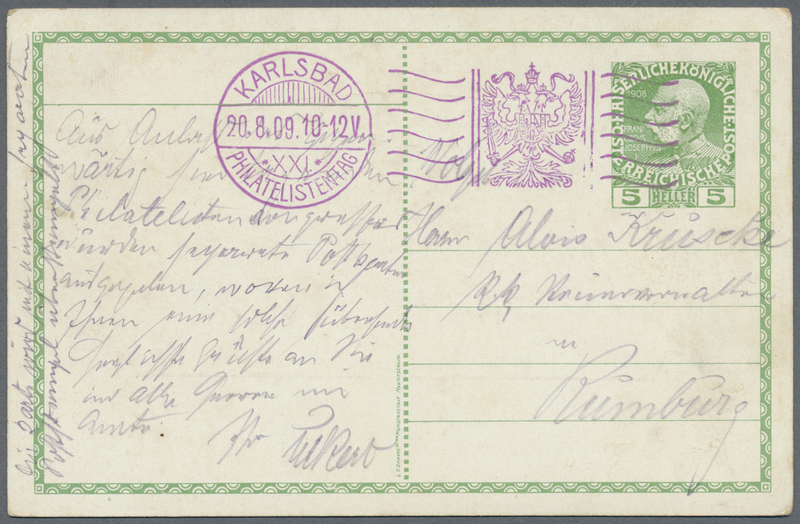 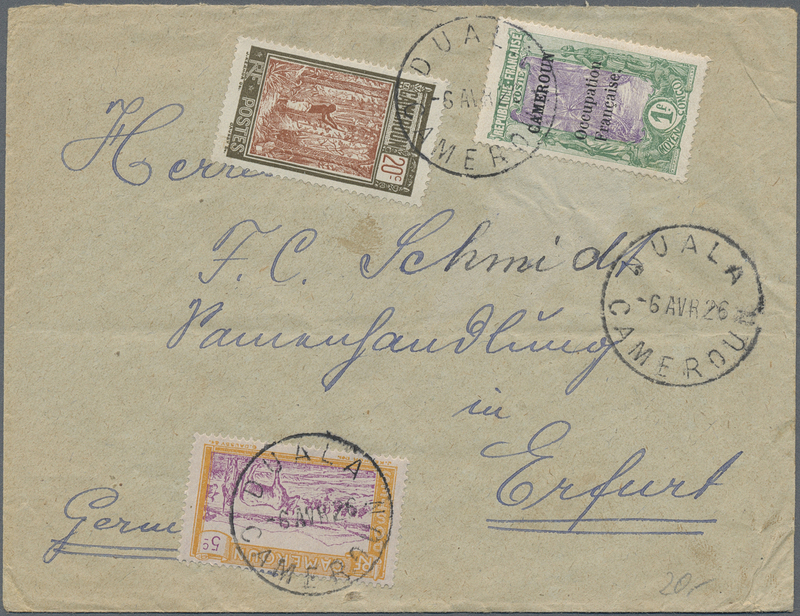 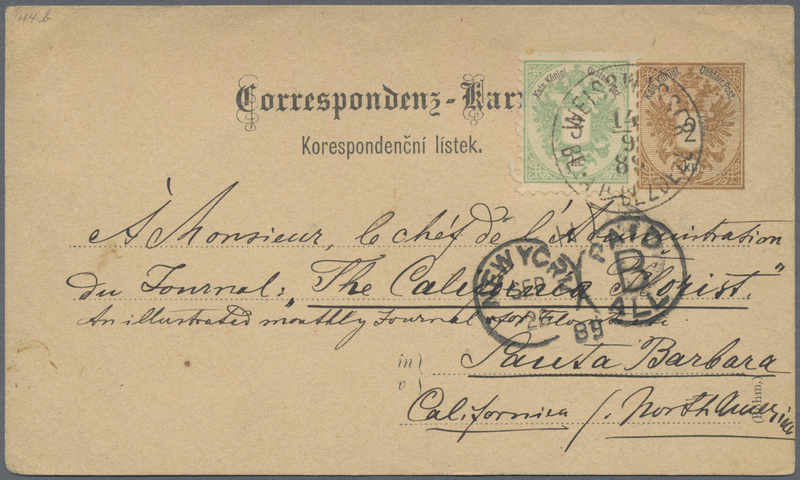 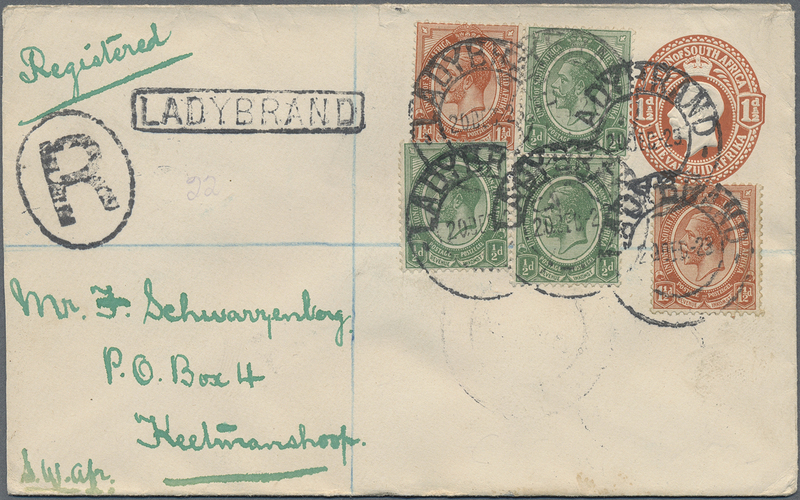 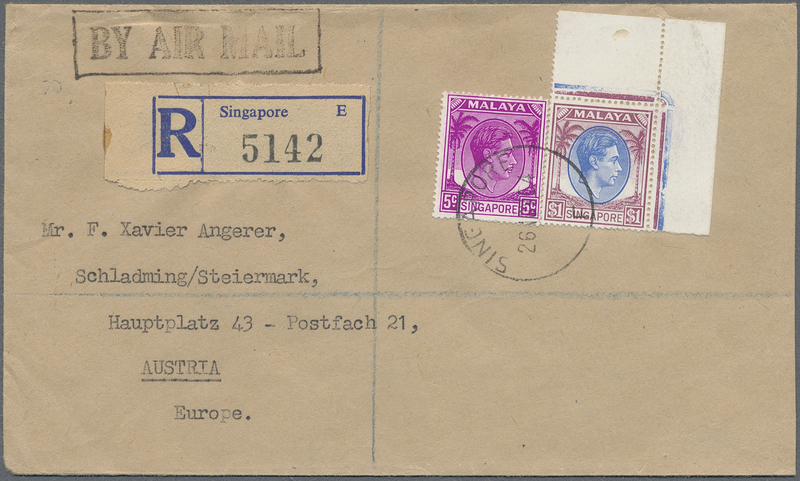 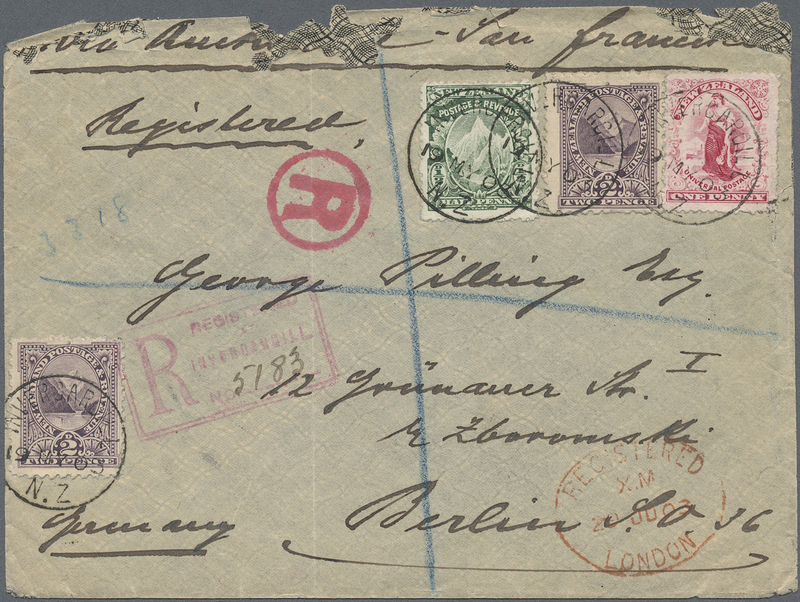 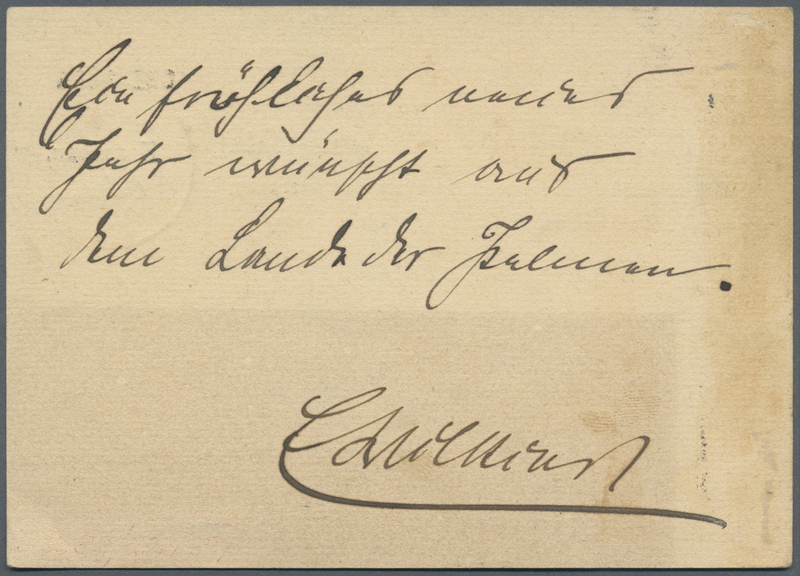 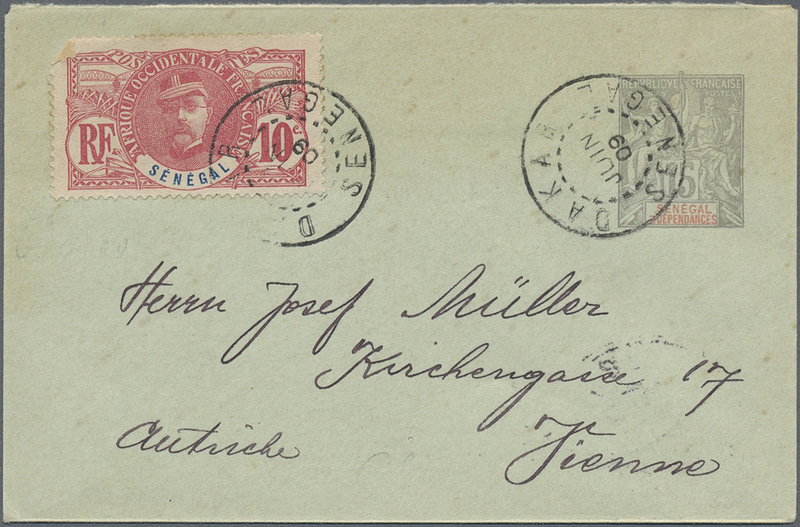 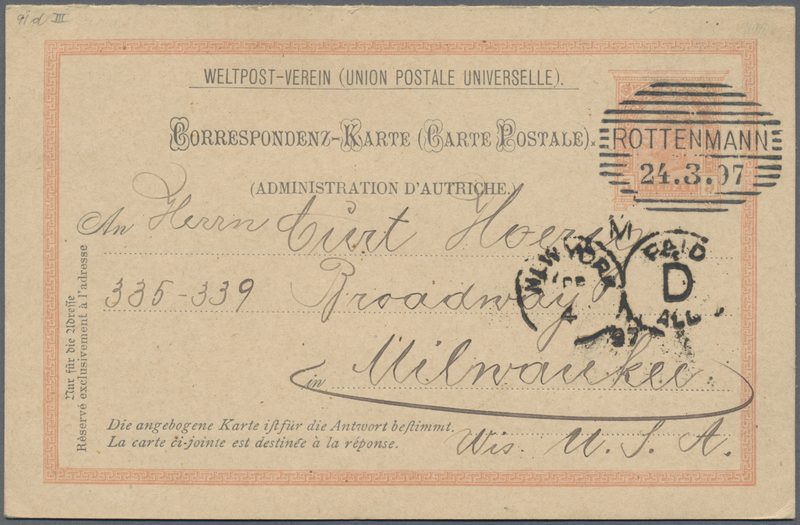 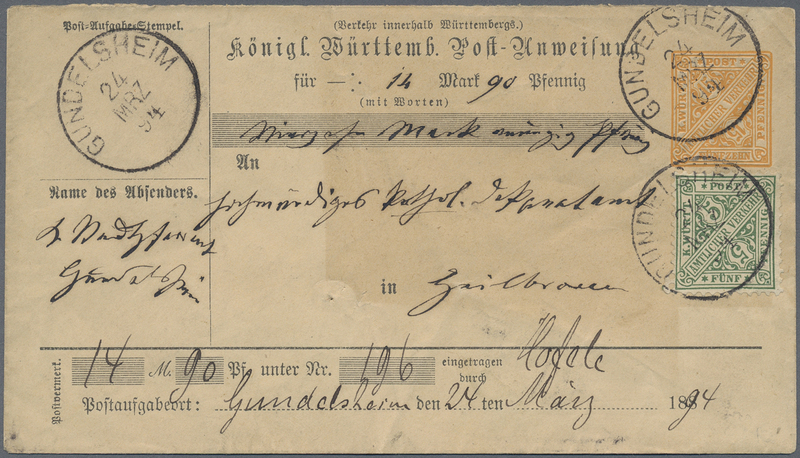 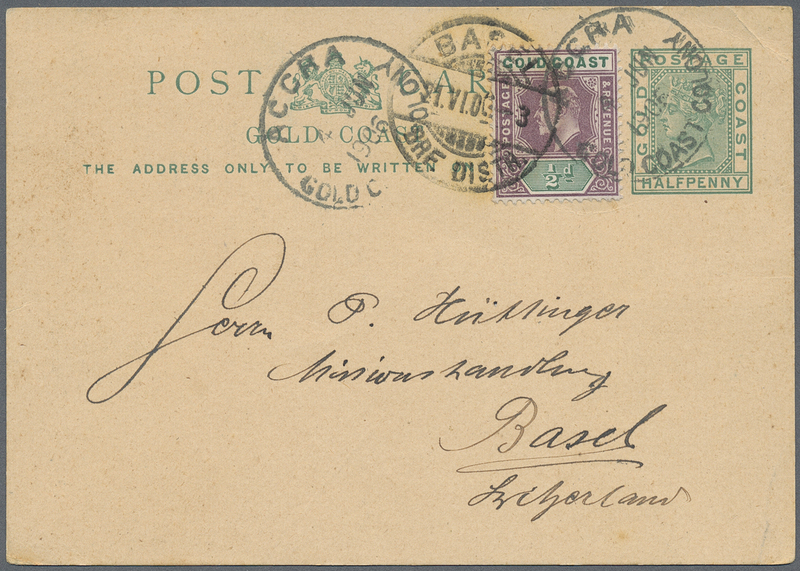 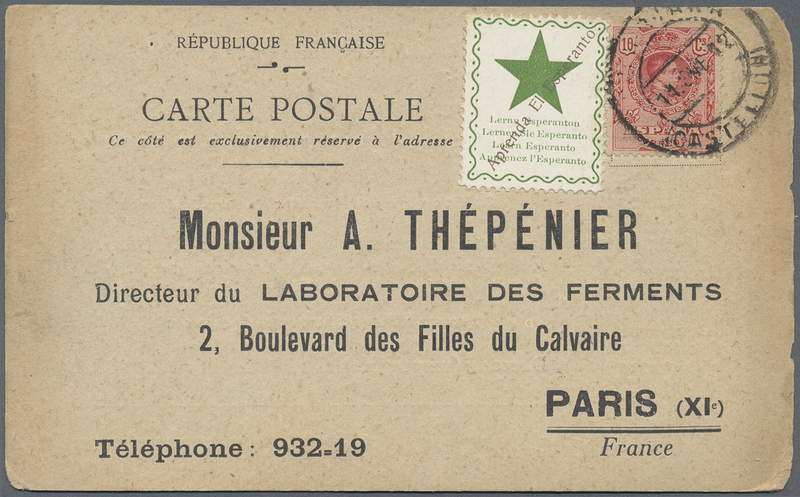 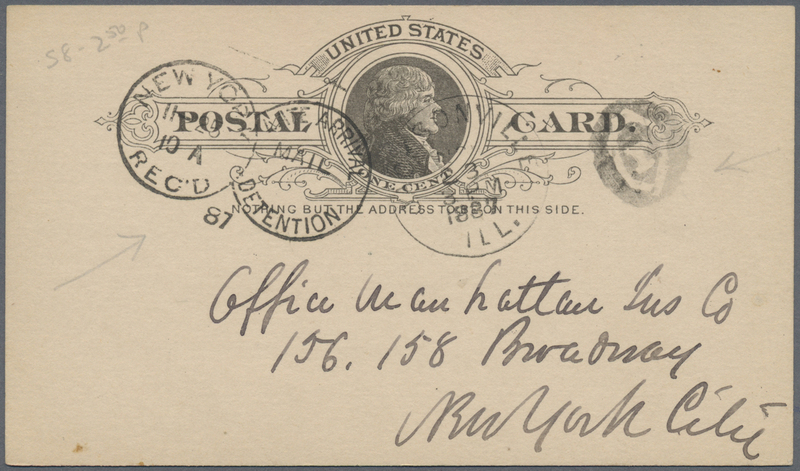 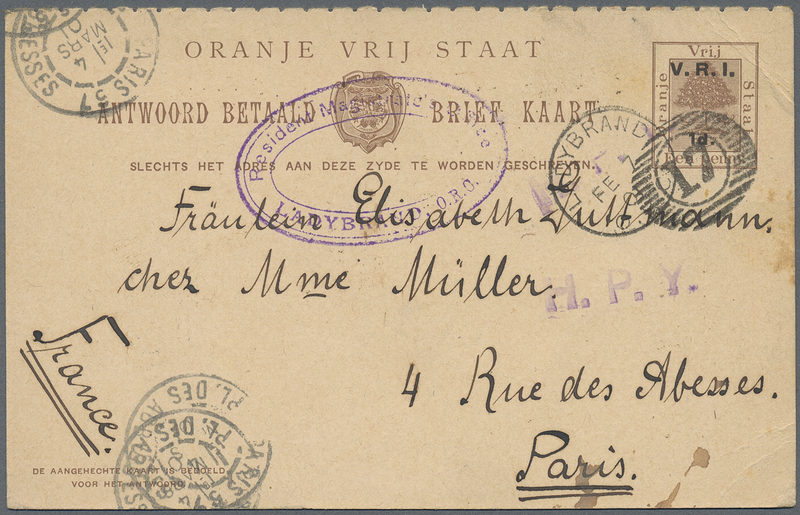 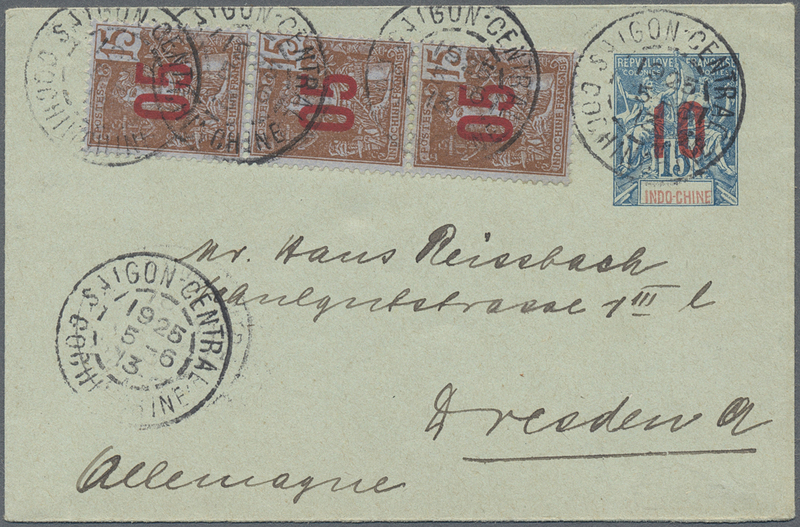 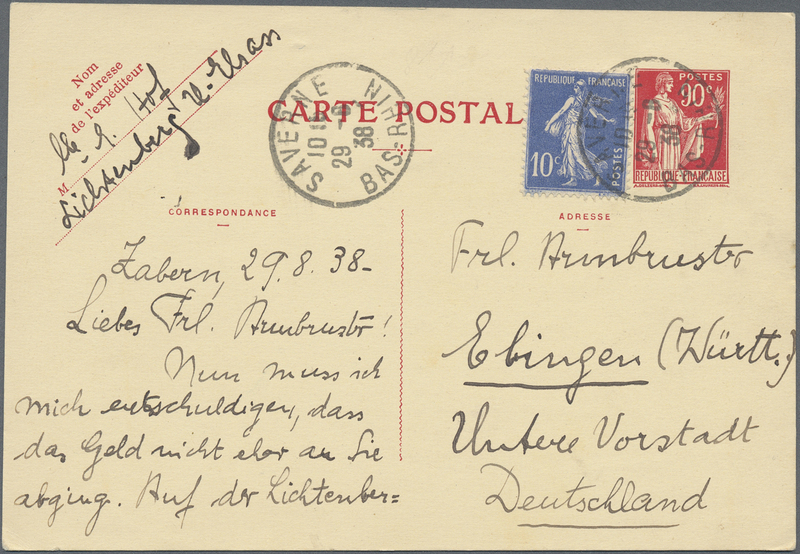 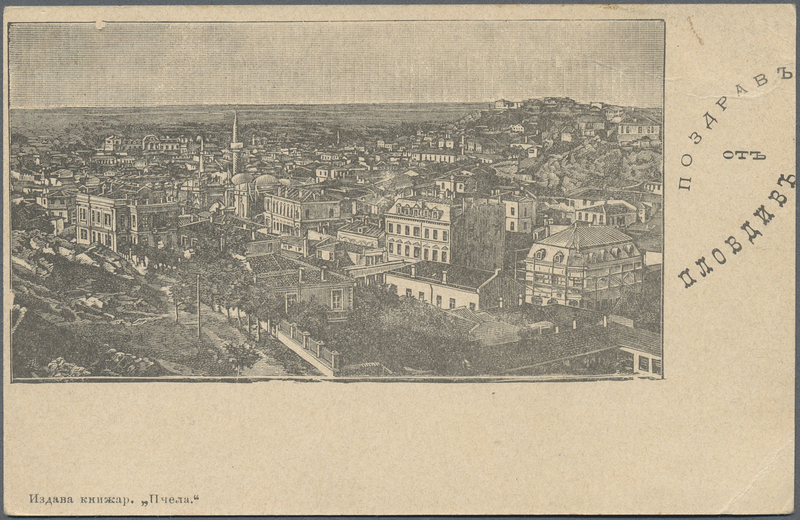 38281 postfrisch (never hinged) ** 1900/1985 (ca. 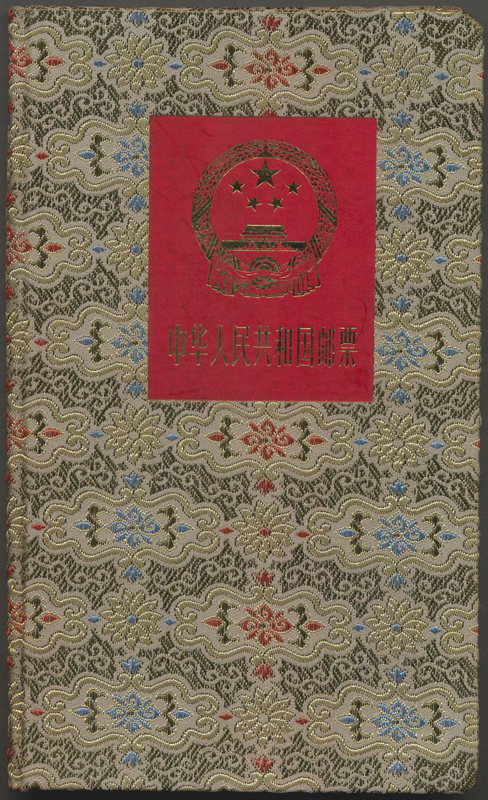 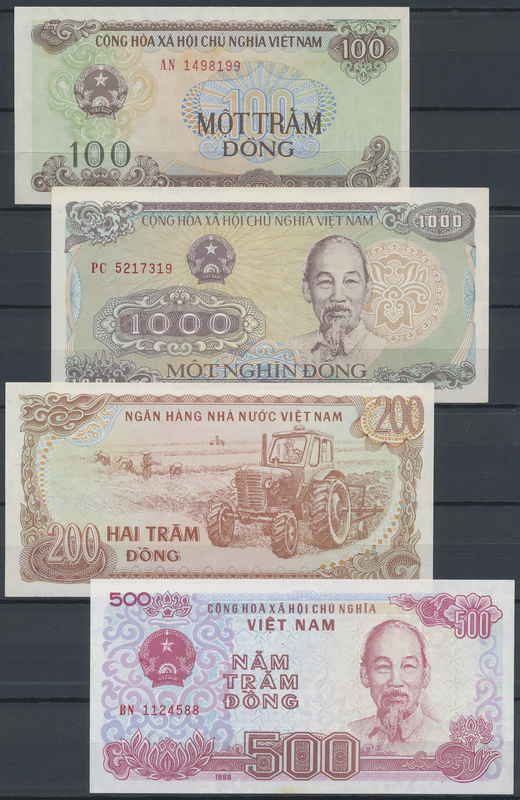 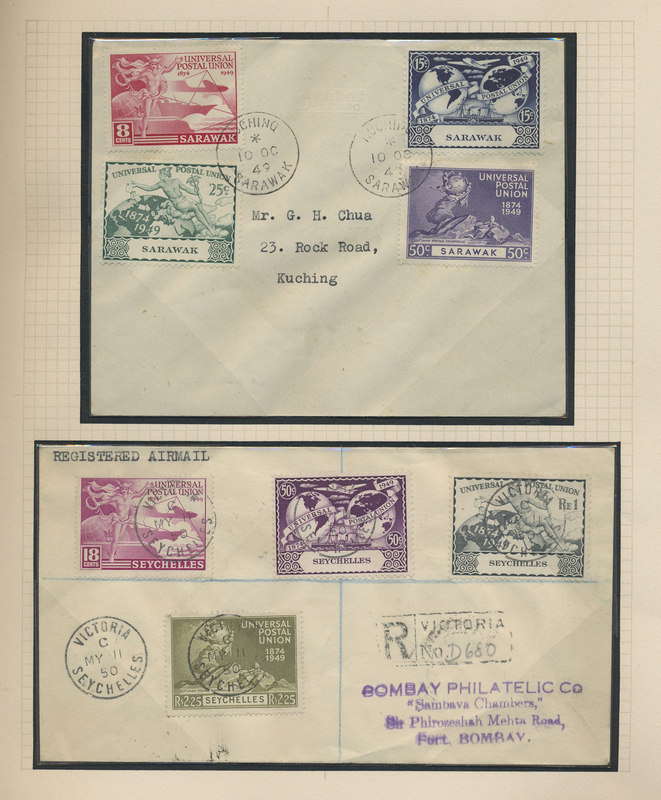 ), almost exclusively from 1950s, mainly u/m accumulation in stockbooks/in glassines with plenty of interesting material, attractive thematic sets, souvenir sheets, some better issues noted like India, Hongkong, Tristan da Chuna etc. 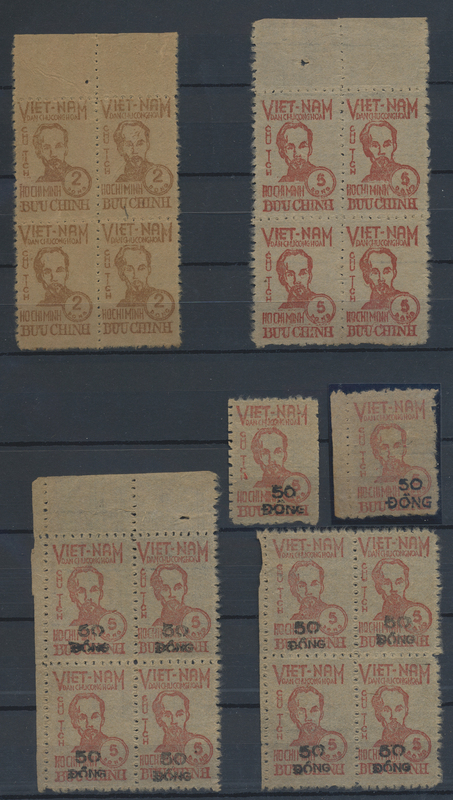 A lovely lot, needs careful calculation!